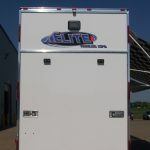 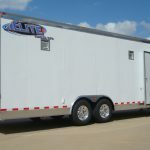 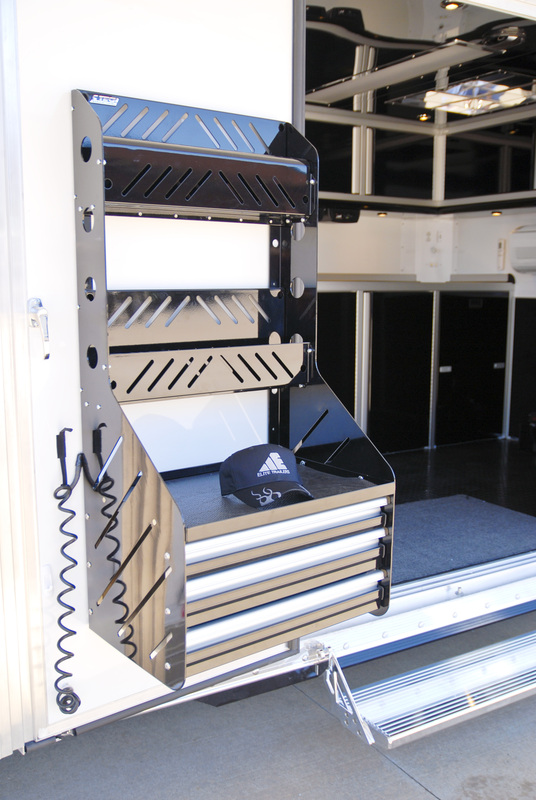 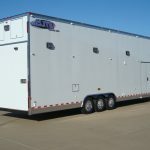 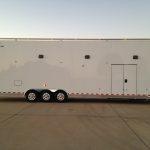 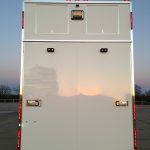 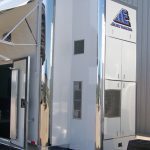 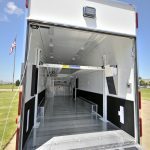 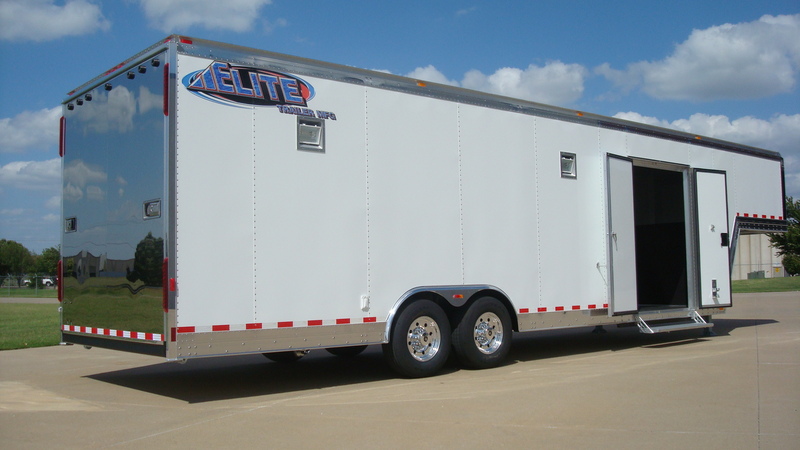 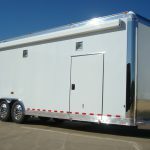 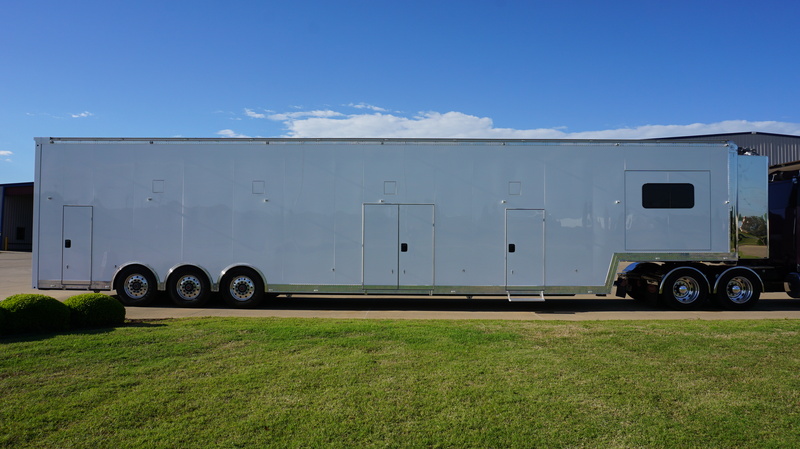 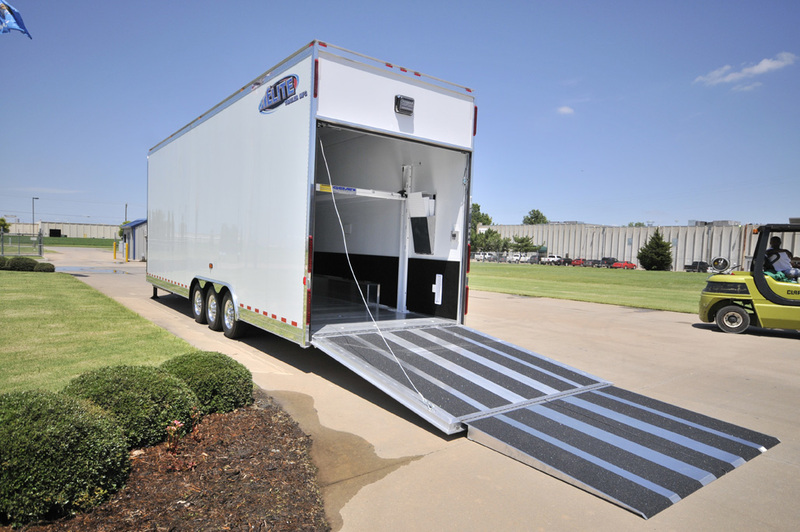 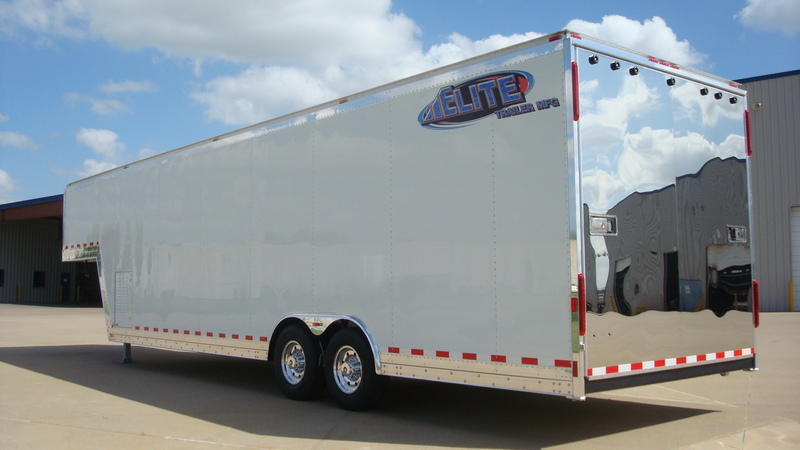 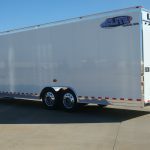 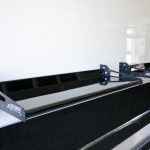 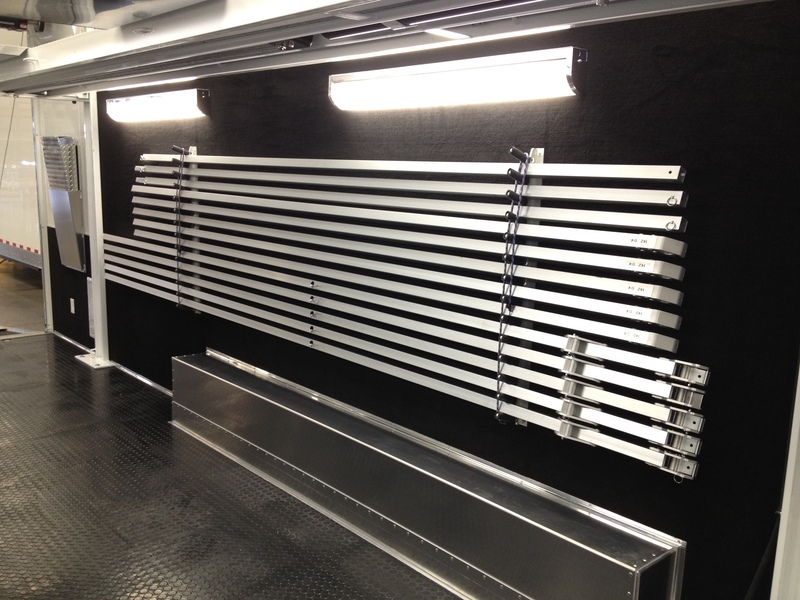 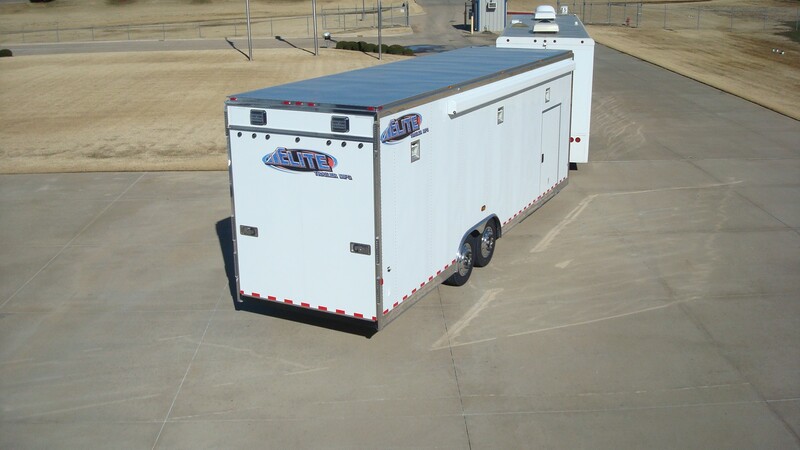 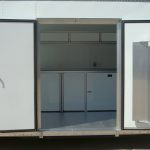 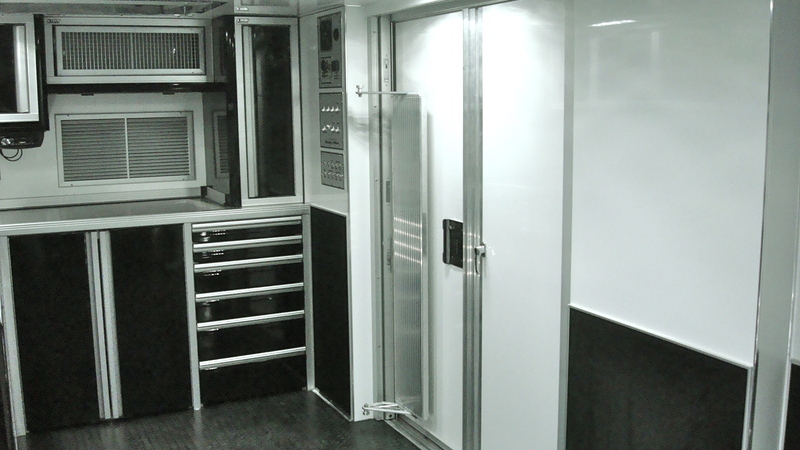 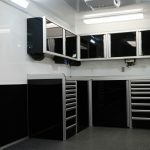 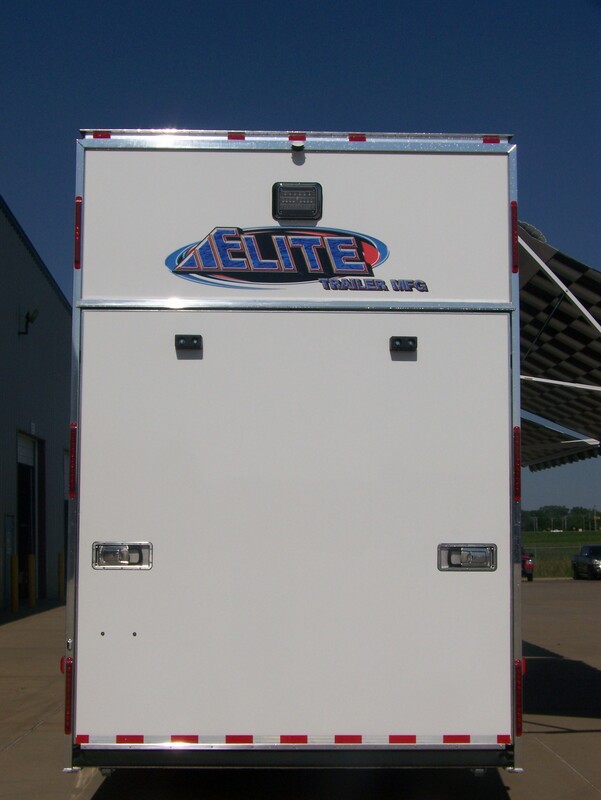 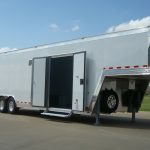 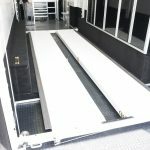 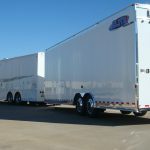 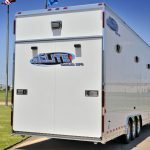 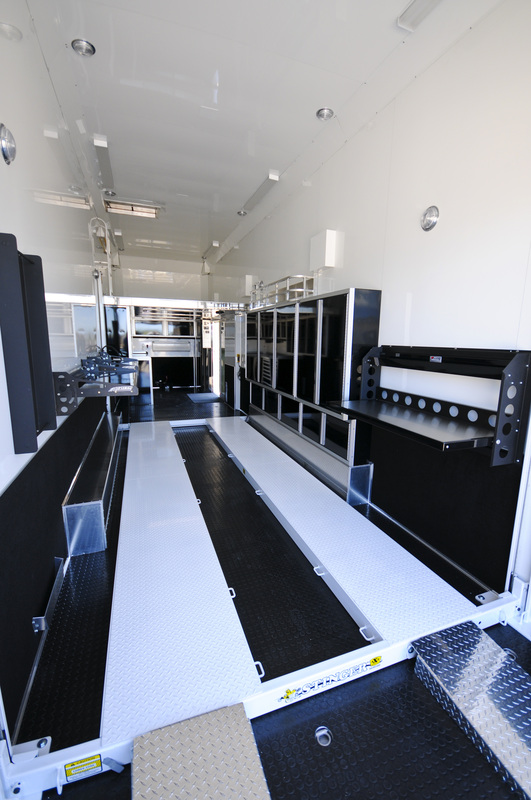 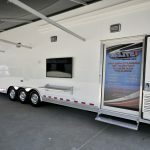 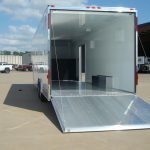 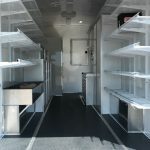 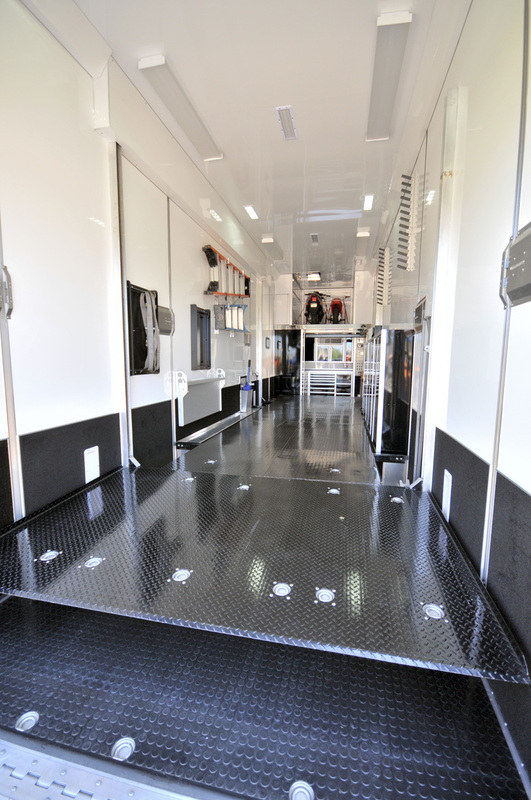 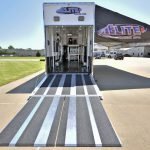 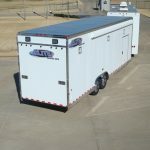 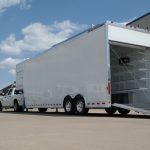 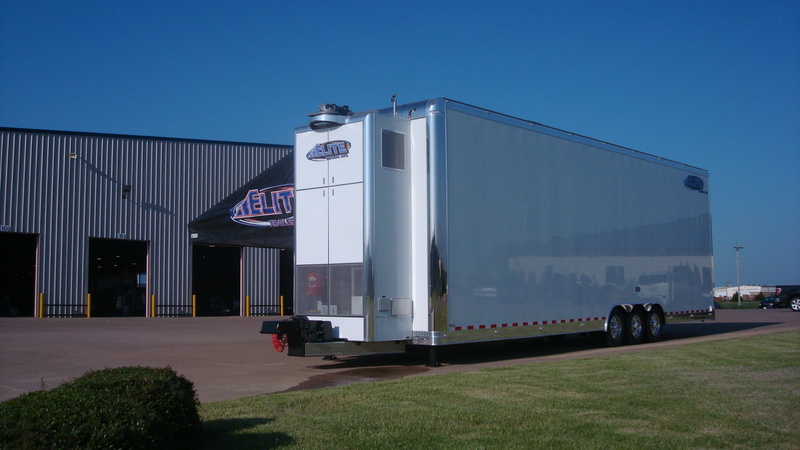 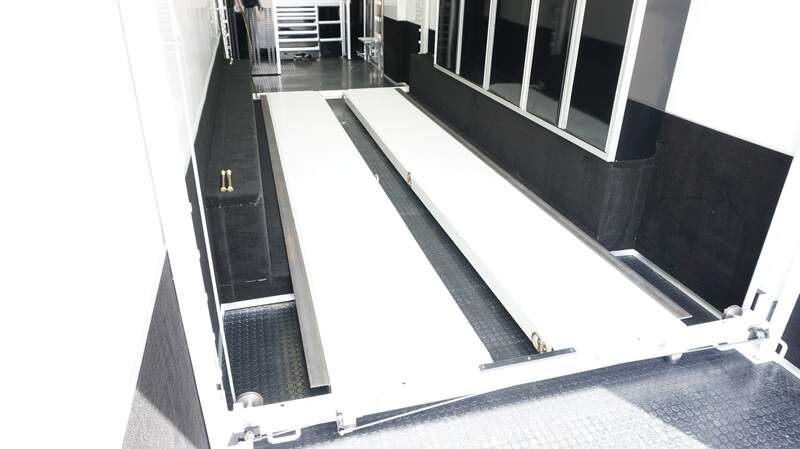 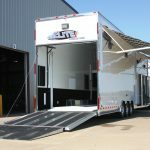 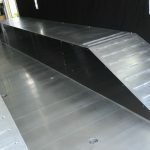 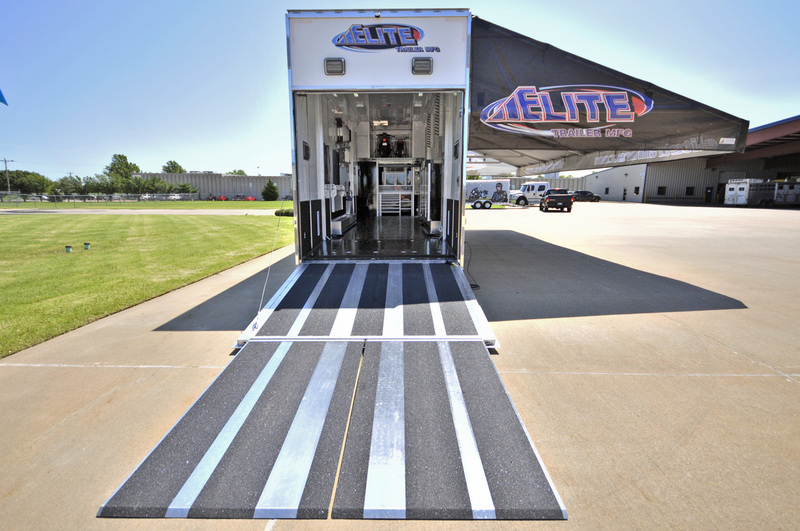 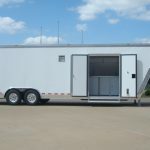 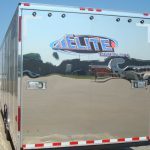 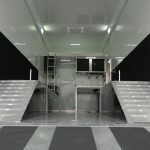 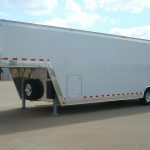 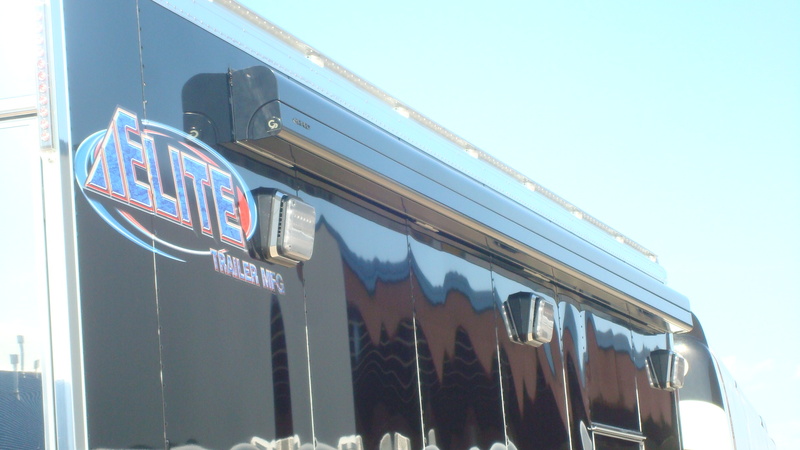 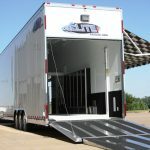 Elite Custom Aluminum Motorsport Trailers are the elite of motorsports trailers. 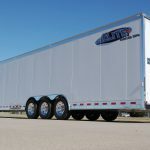 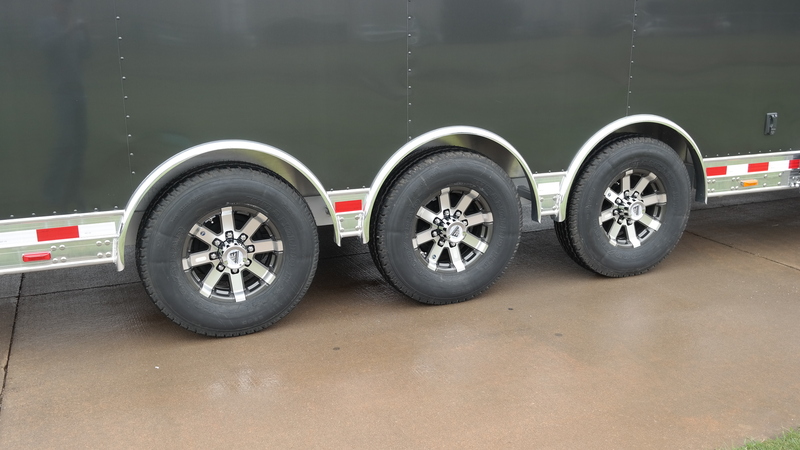 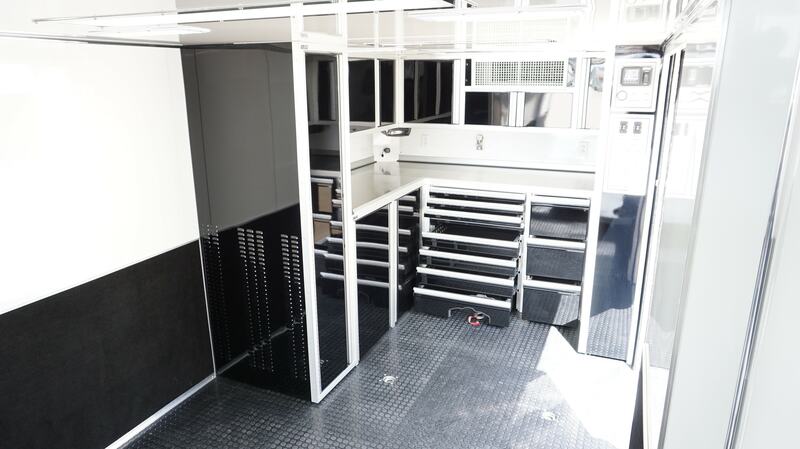 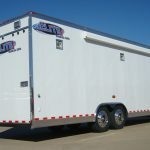 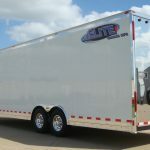 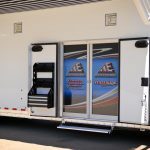 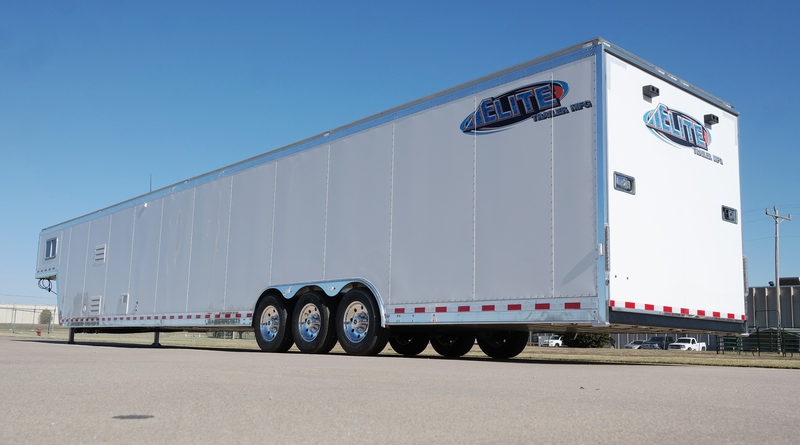 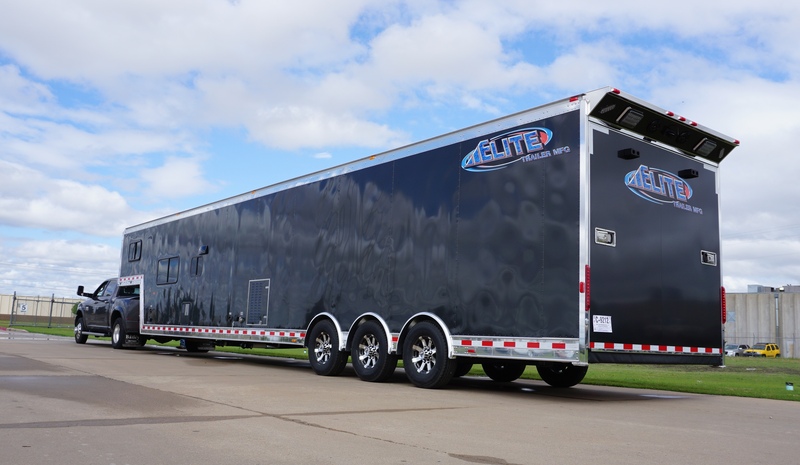 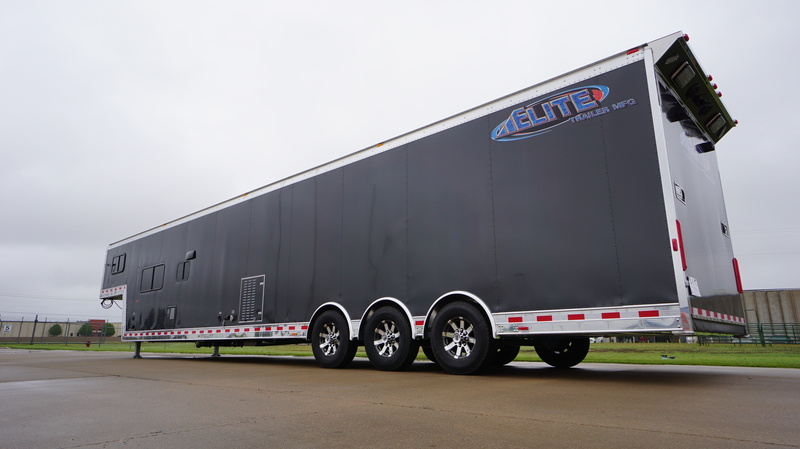 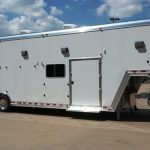 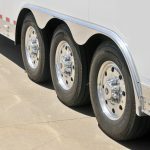 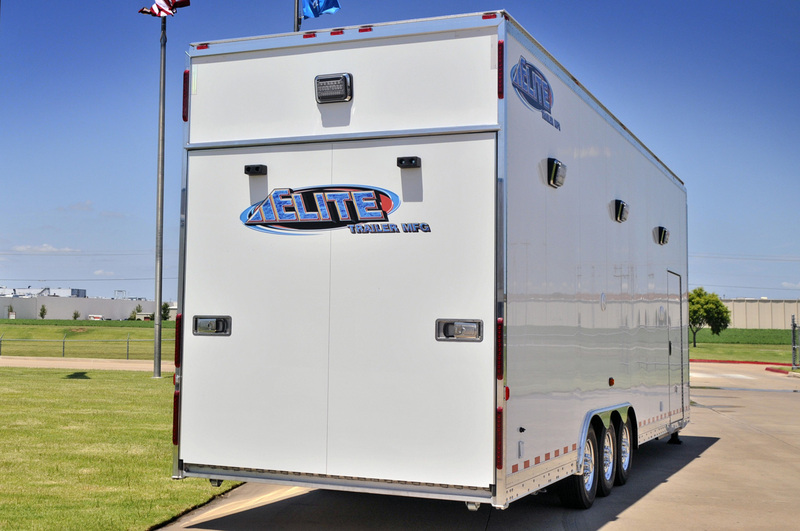 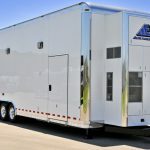 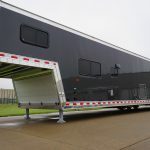 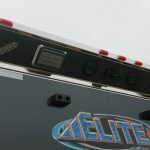 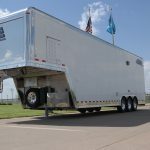 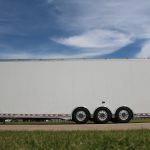 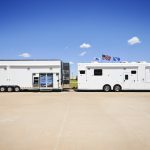 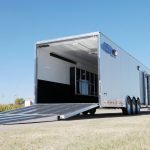 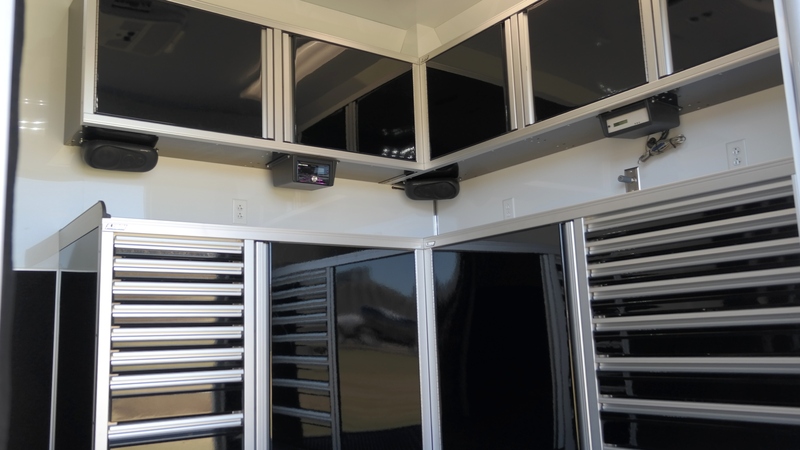 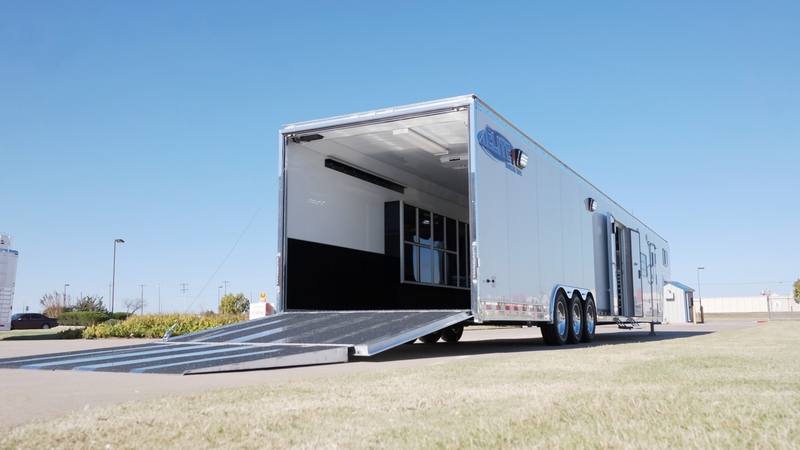 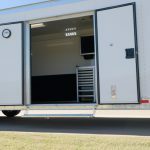 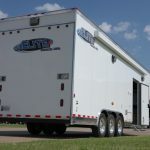 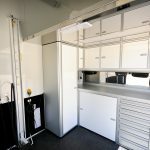 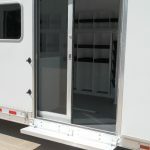 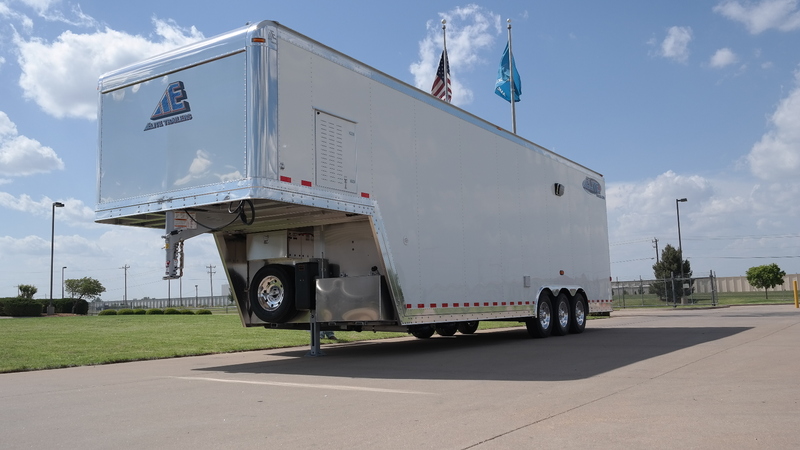 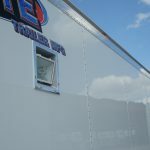 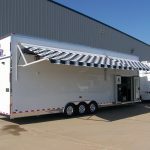 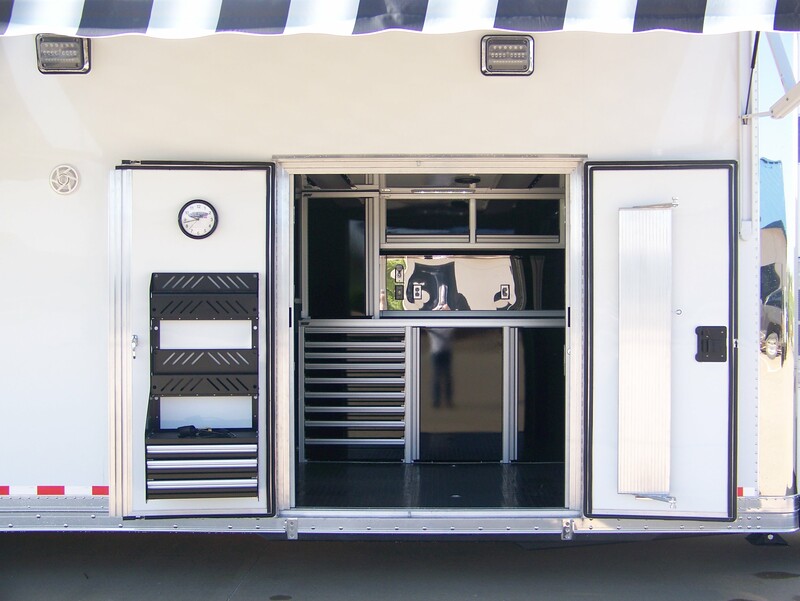 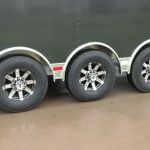 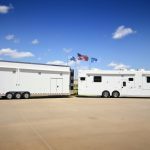 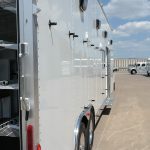 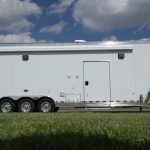 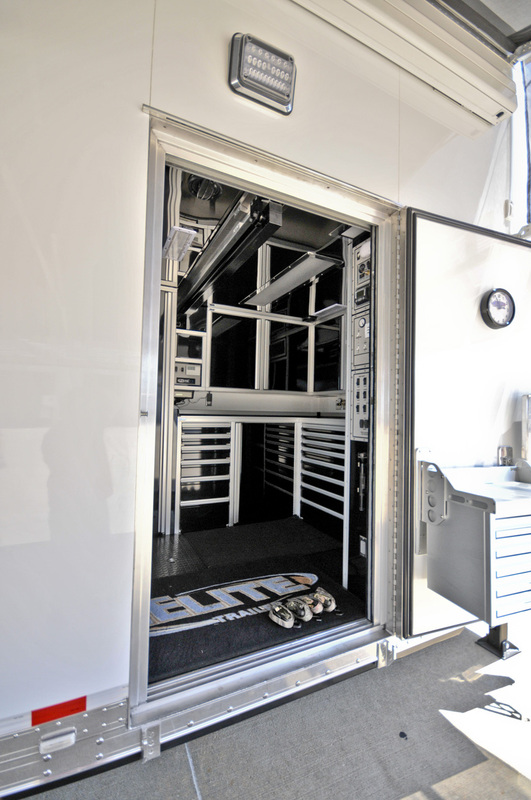 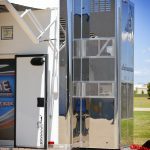 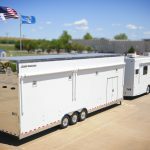 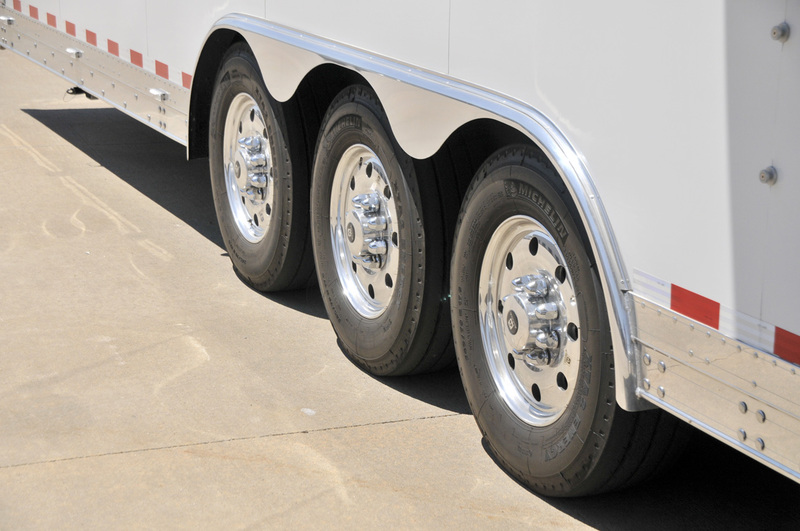 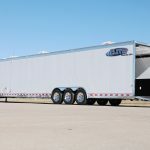 Individually designed, engineered and constructed for specific owner needs, Elite Custom Aluminum Motorsports Trailers have the character, aesthetics and nuts-and-bolts functionality with the fit and finish racers want and deserve. 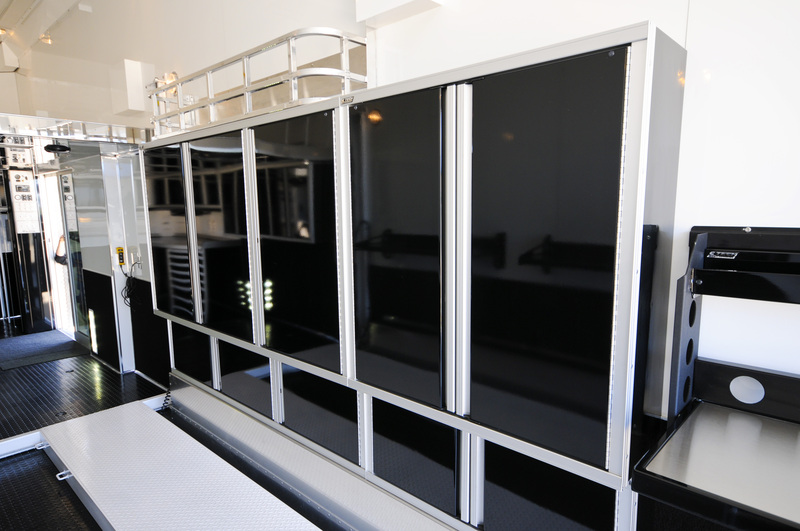 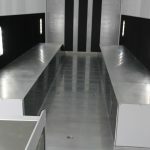 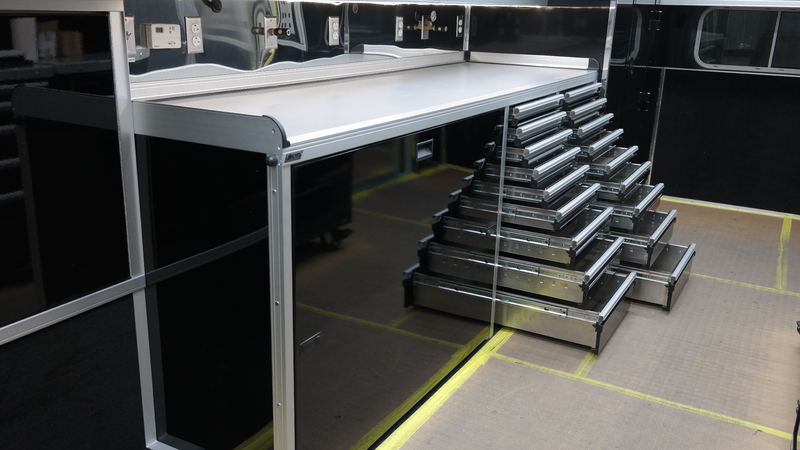 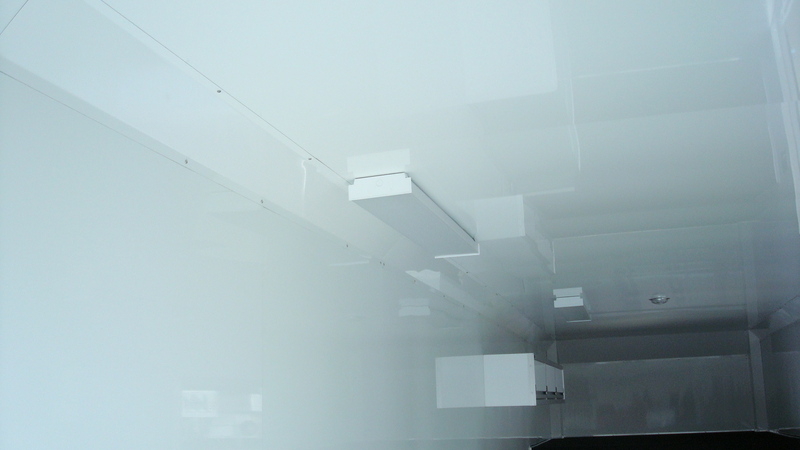 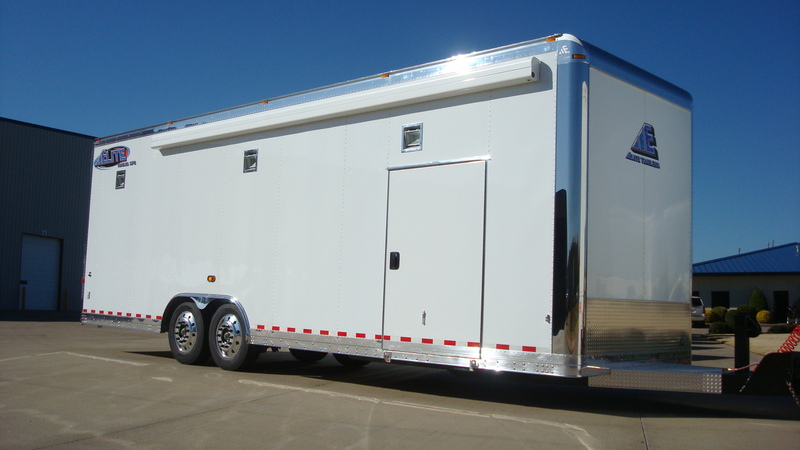 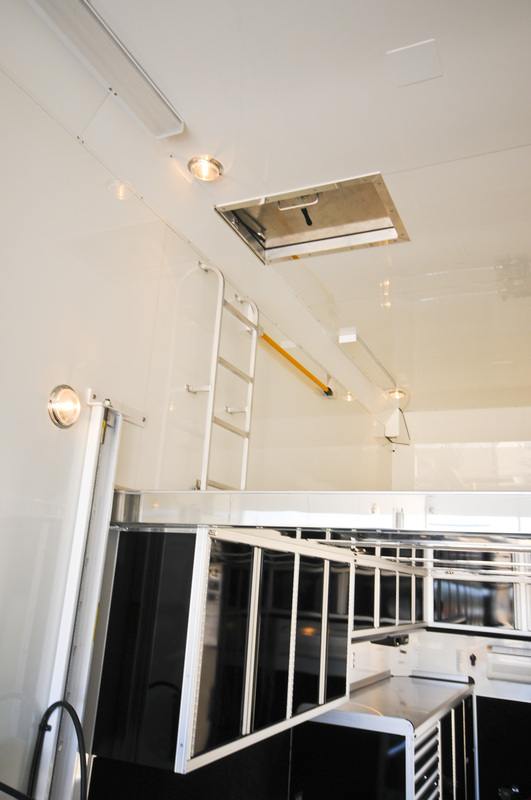 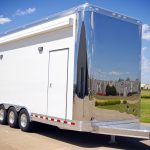 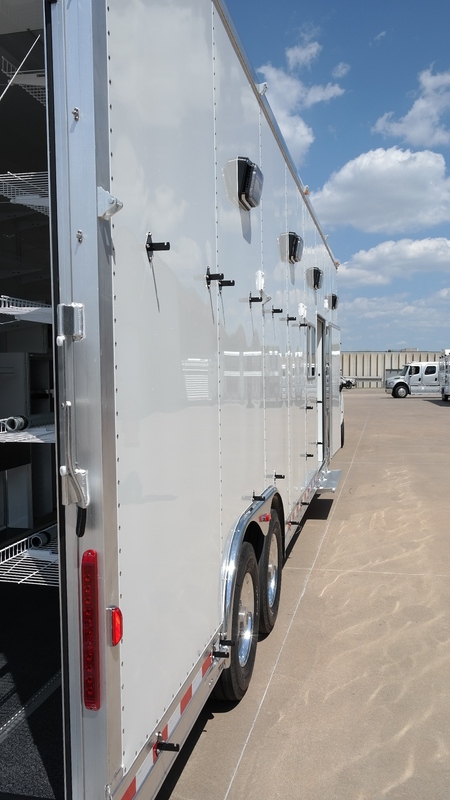 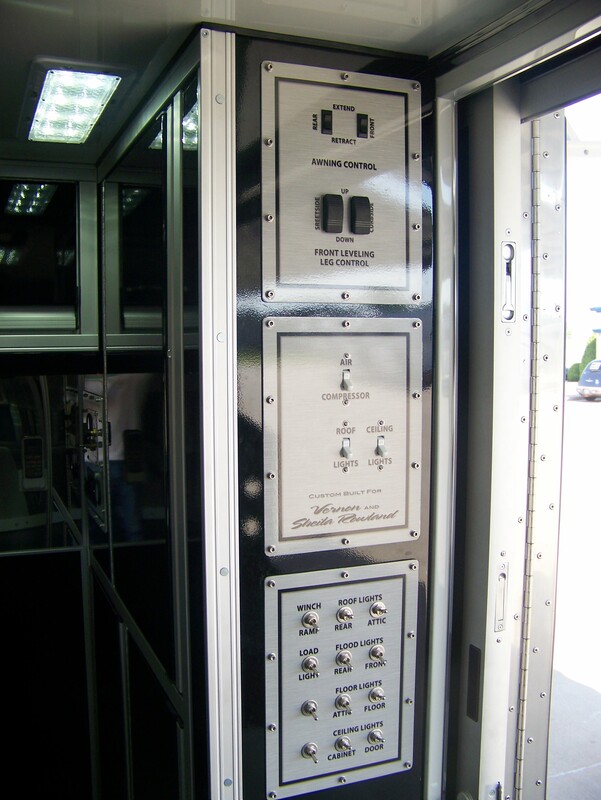 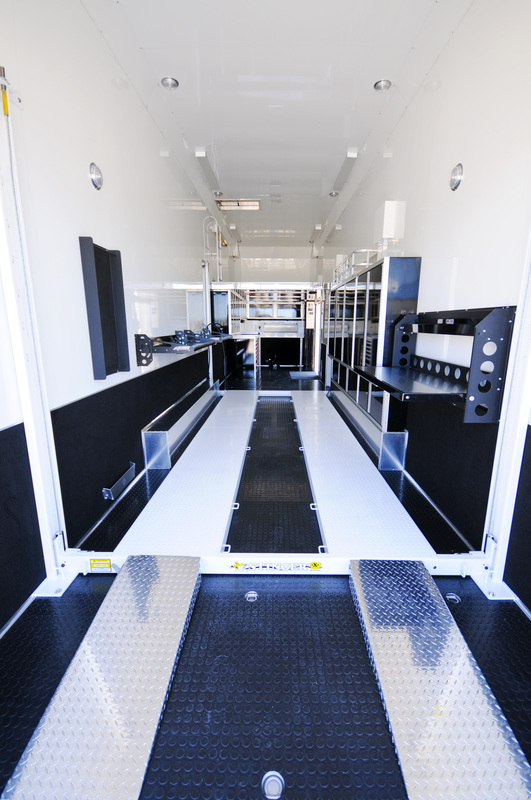 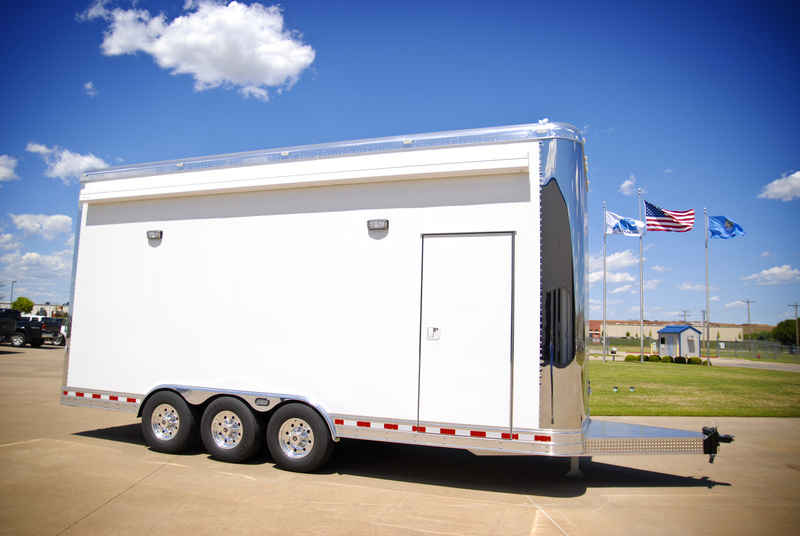 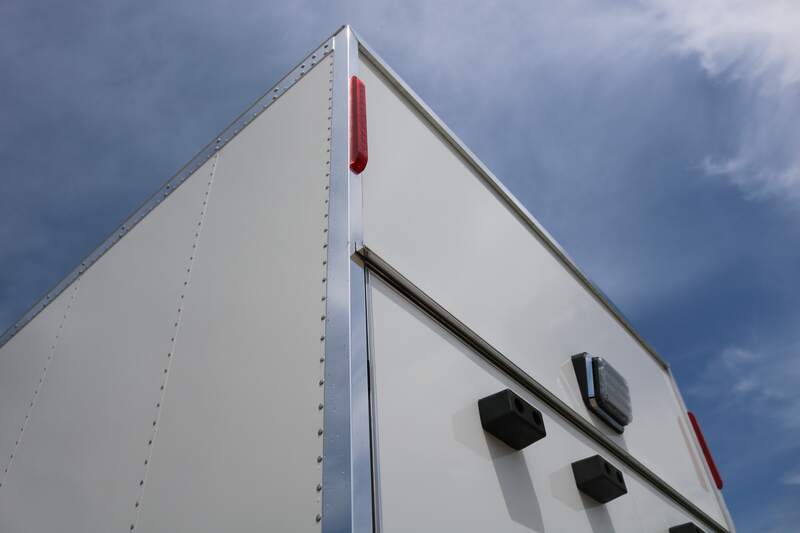 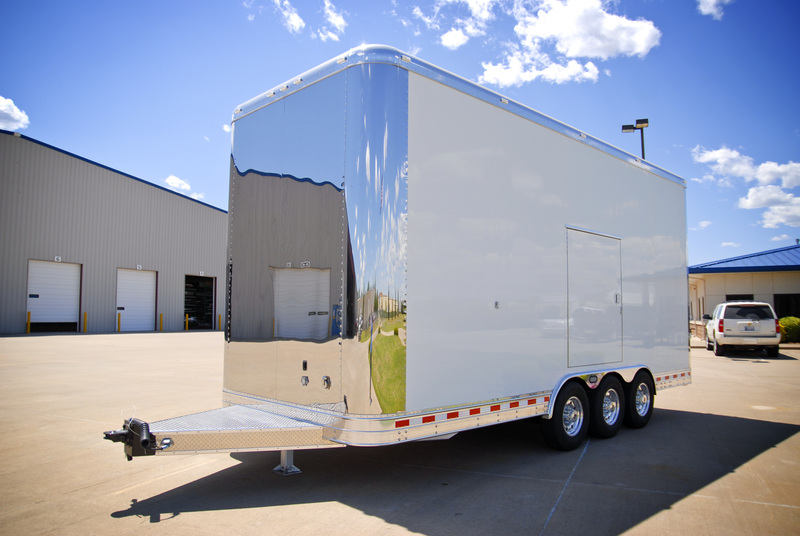 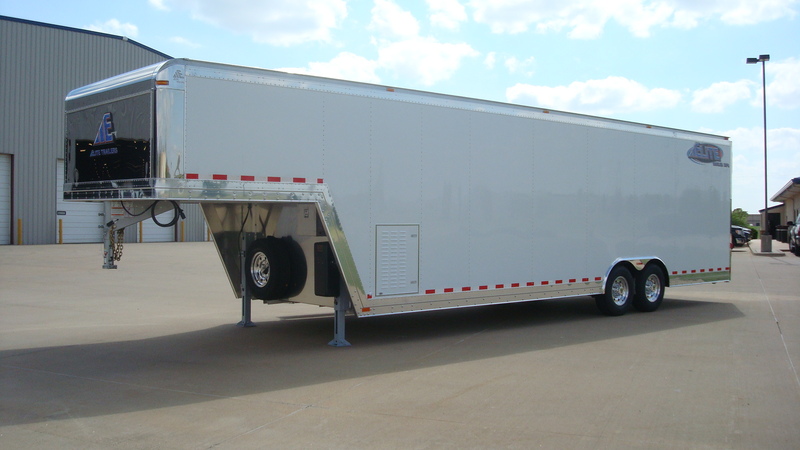 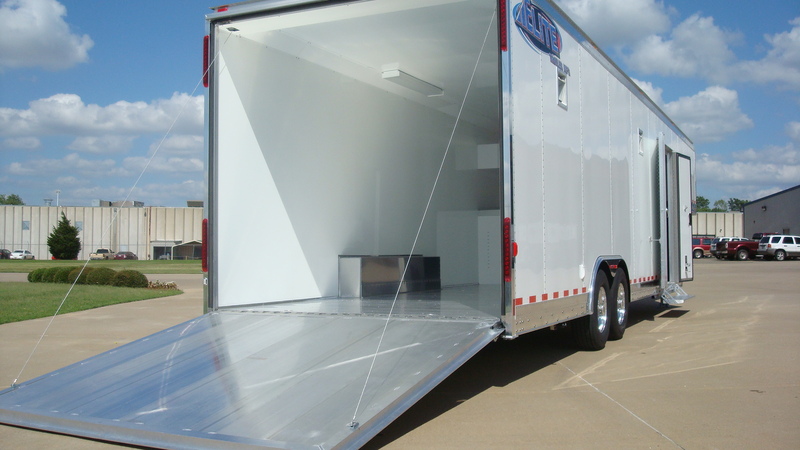 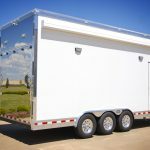 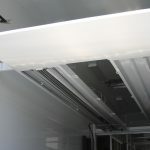 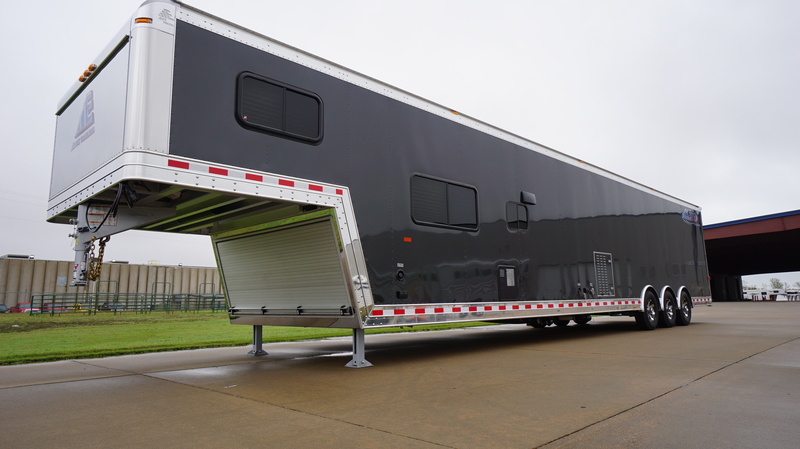 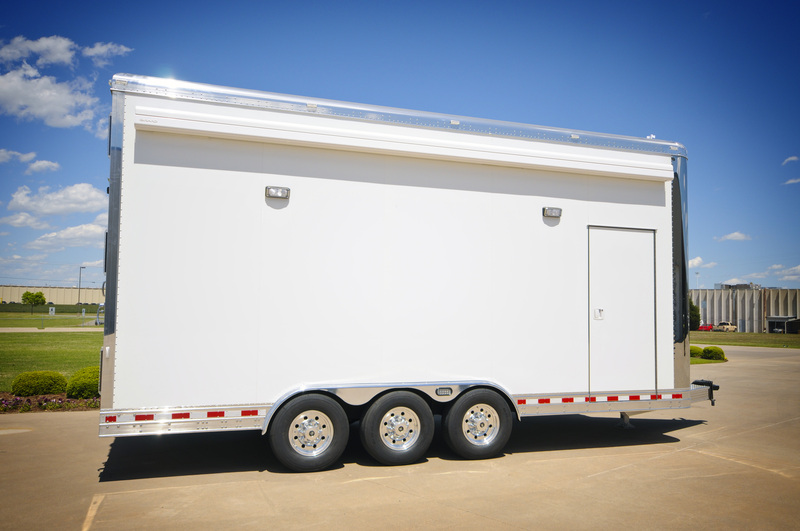 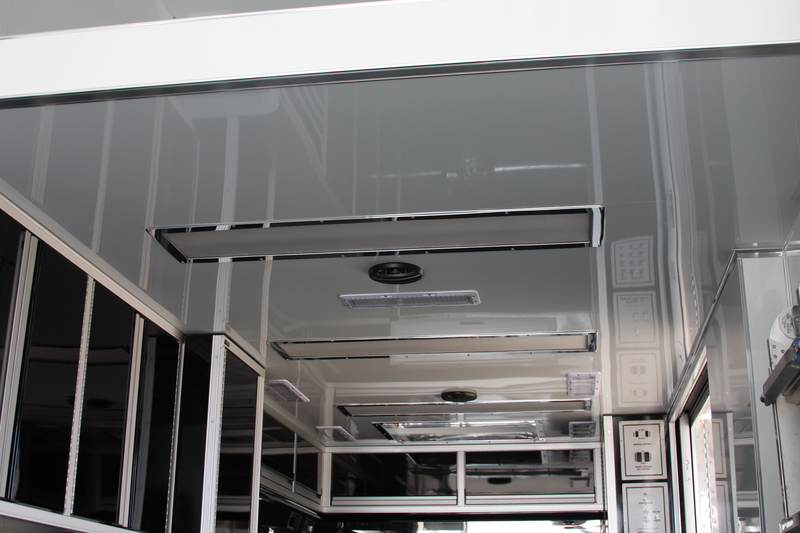 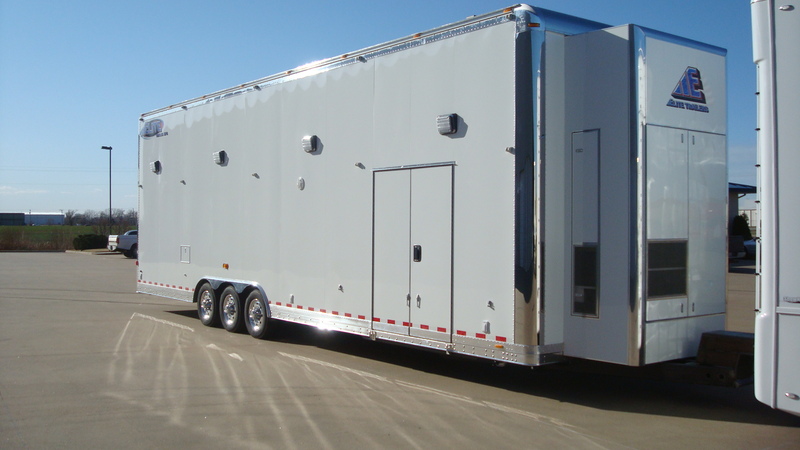 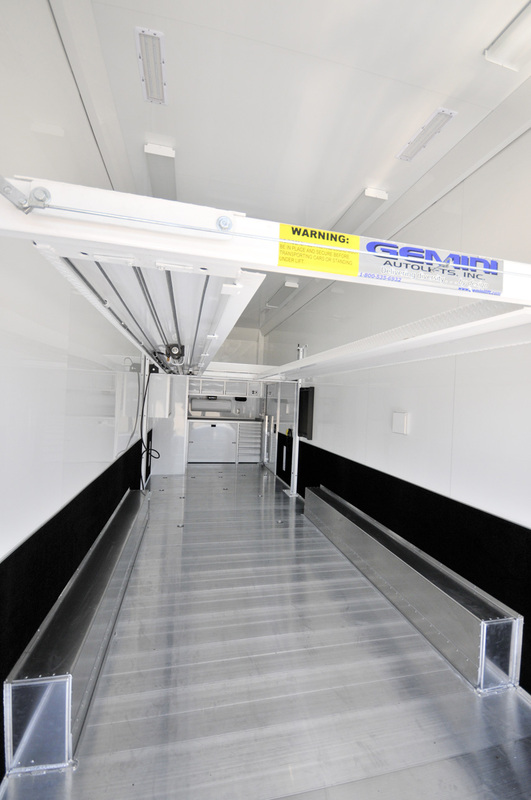 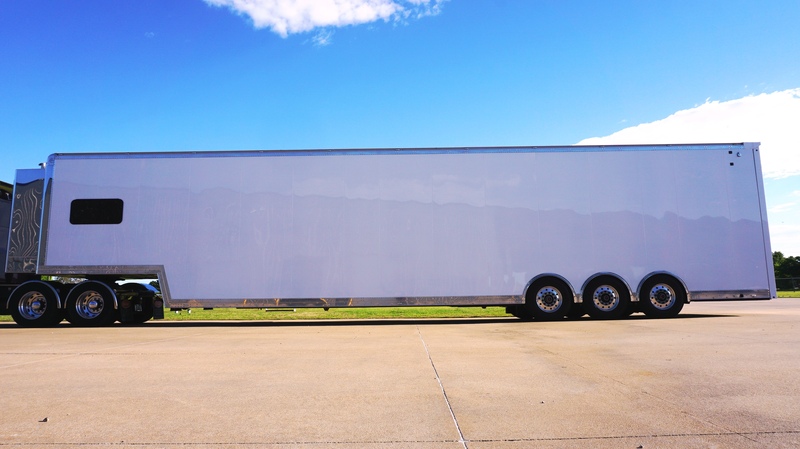 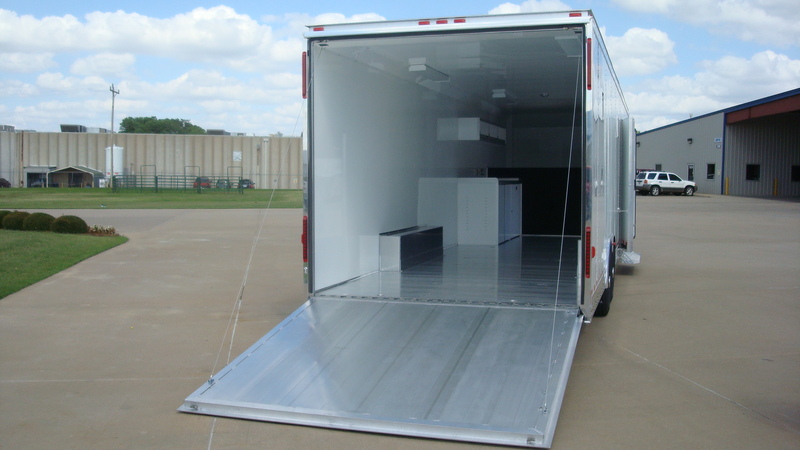 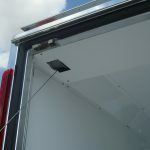 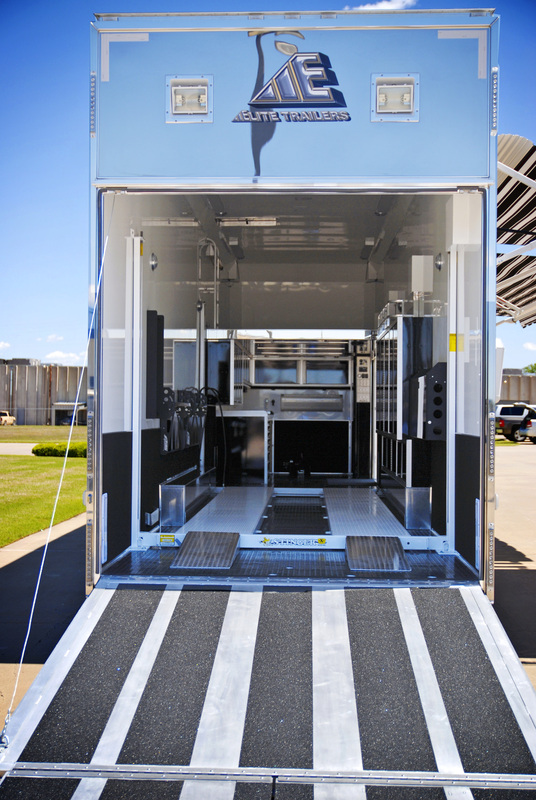 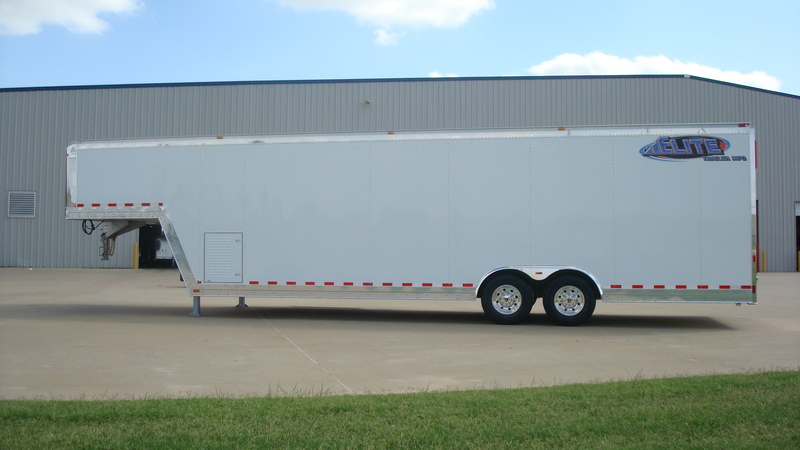 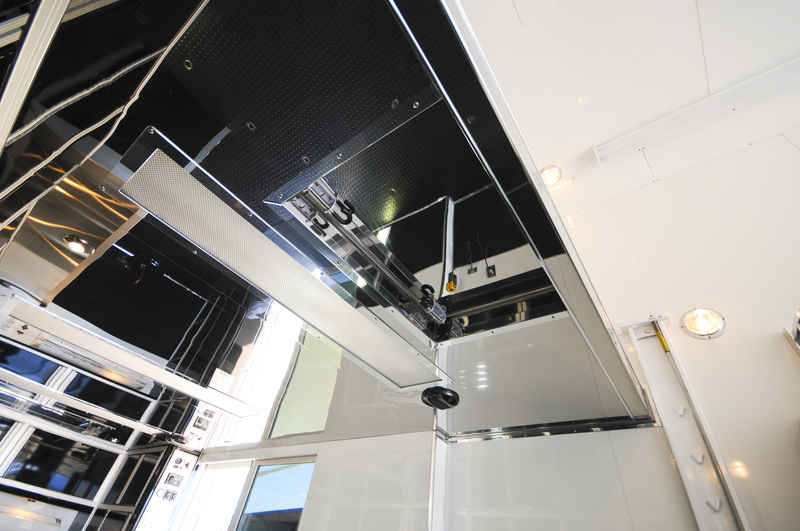 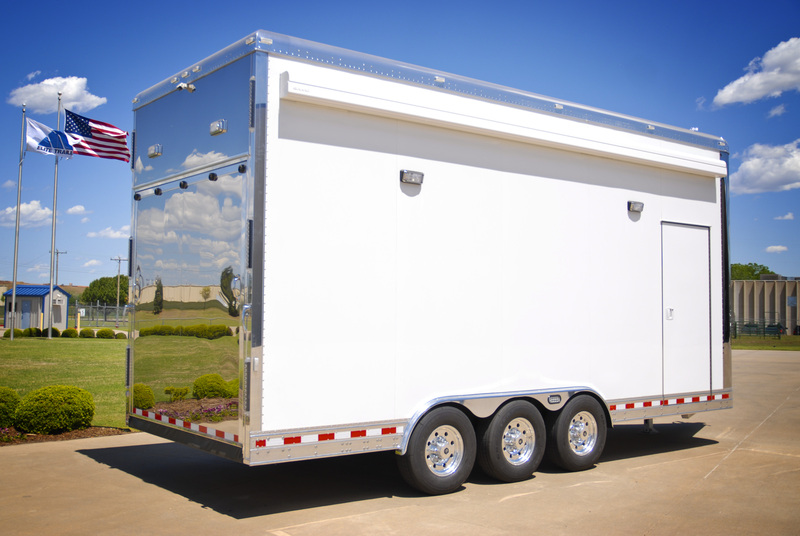 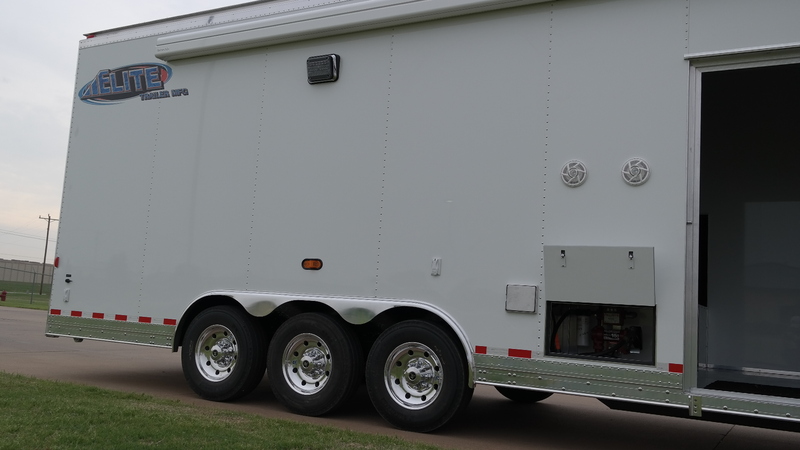 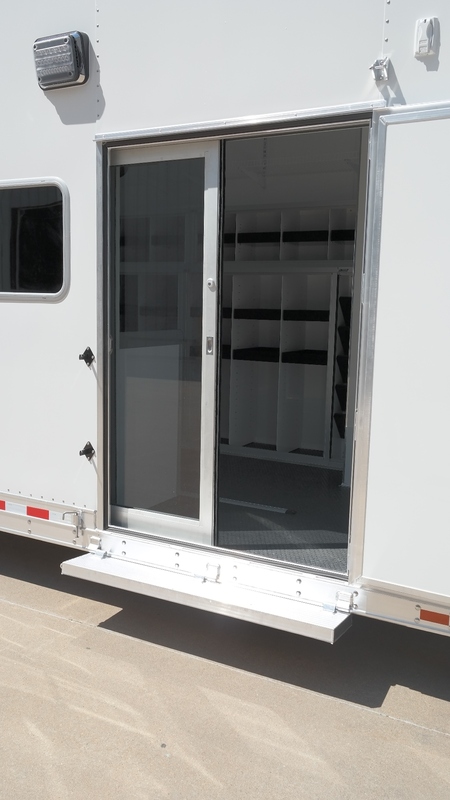 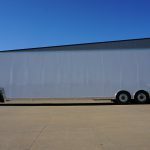 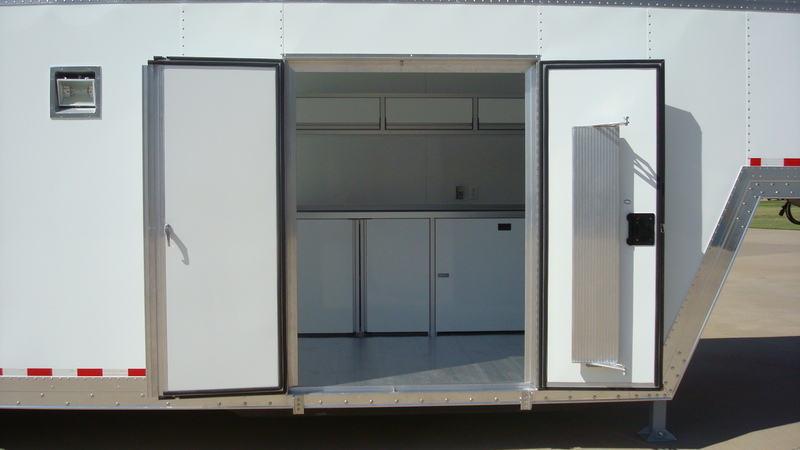 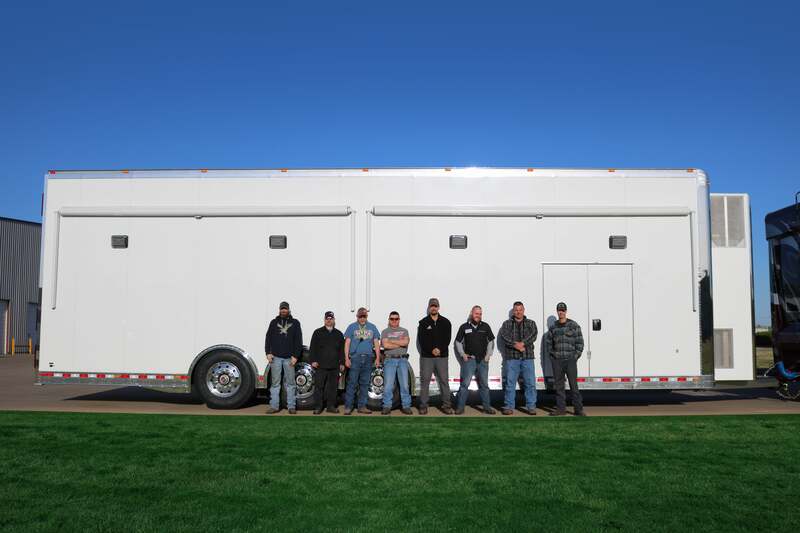 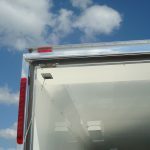 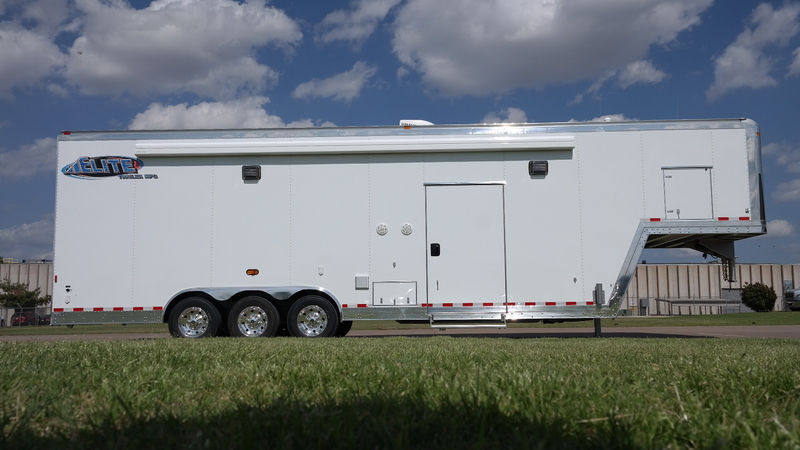 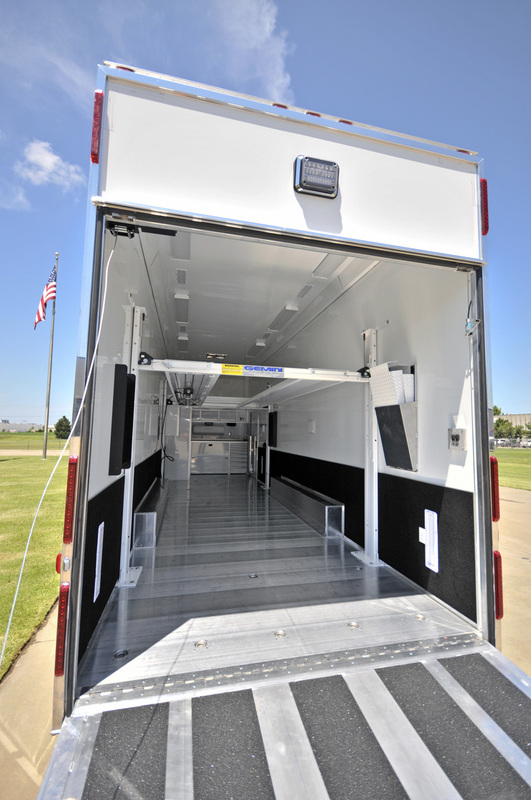 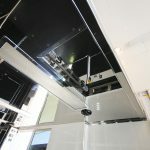 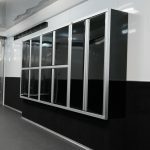 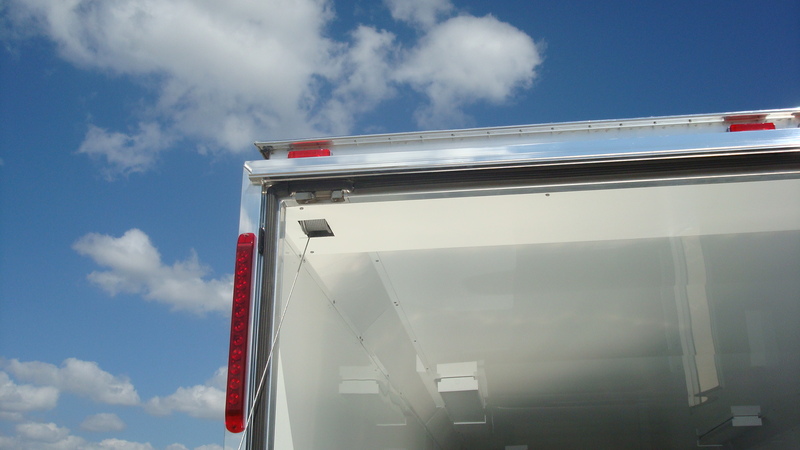 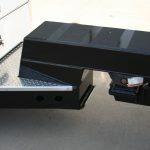 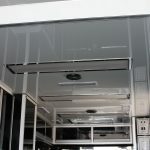 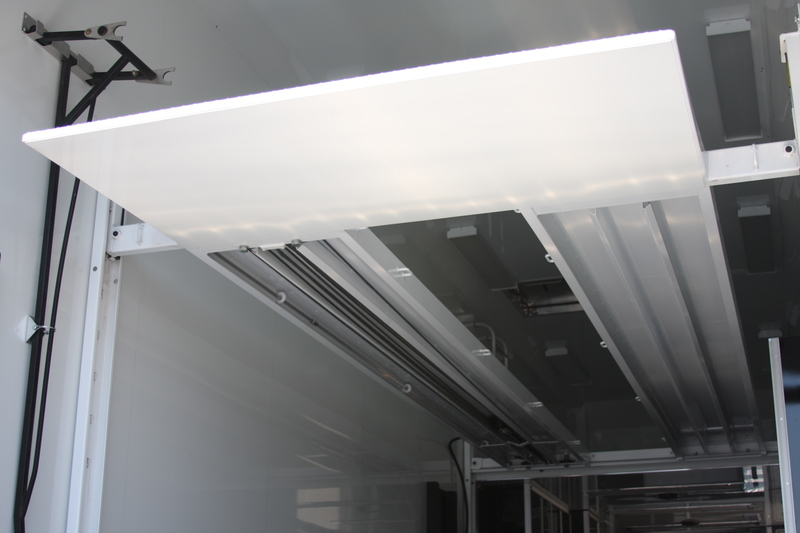 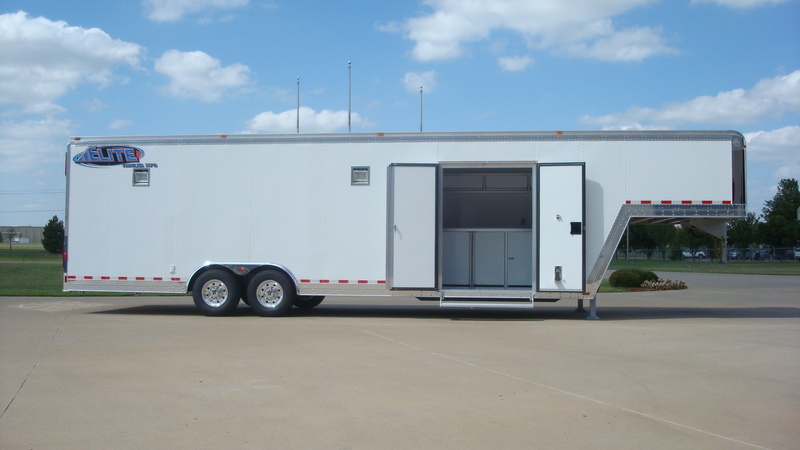 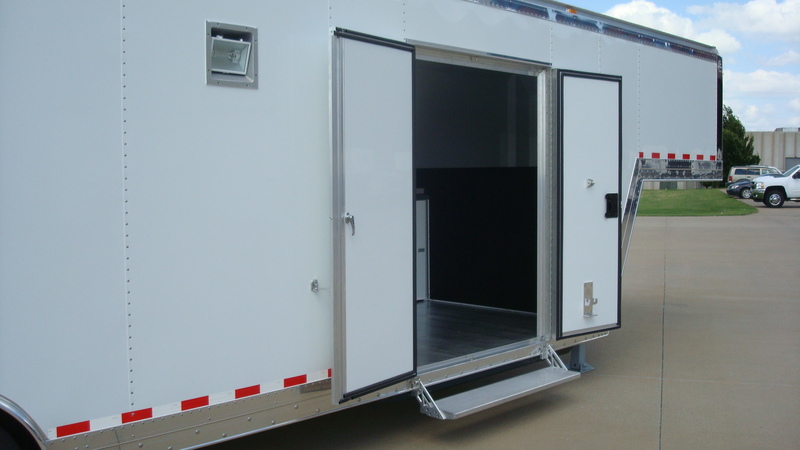 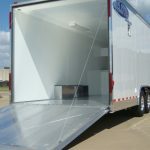 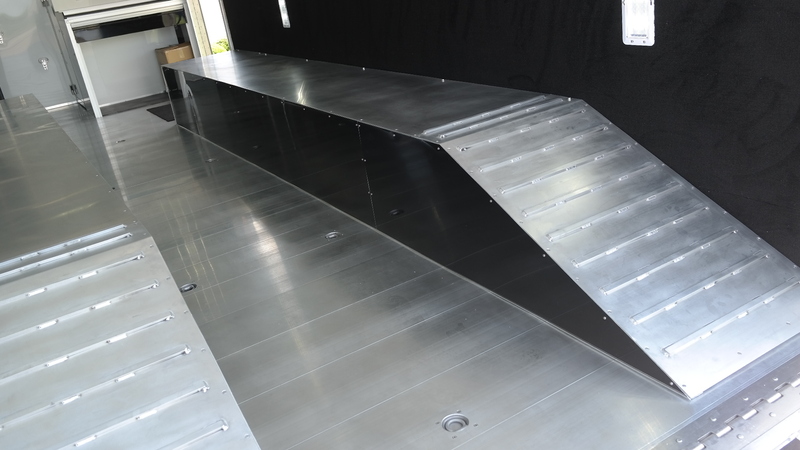 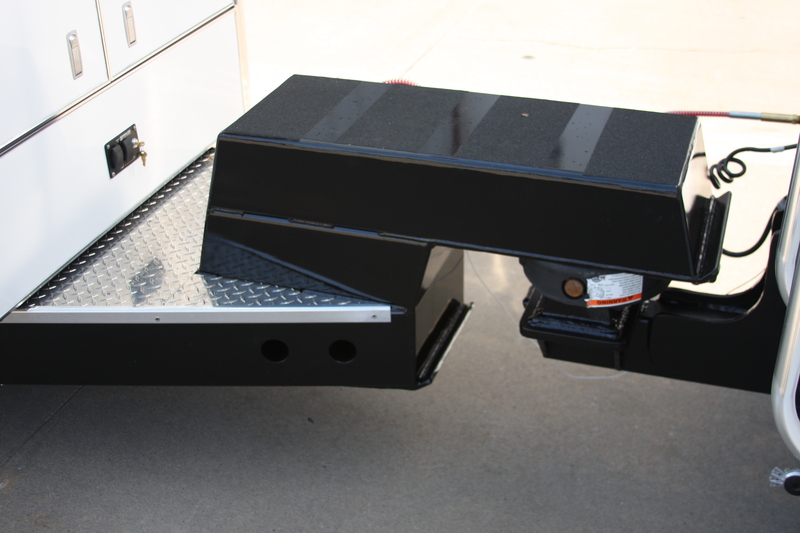 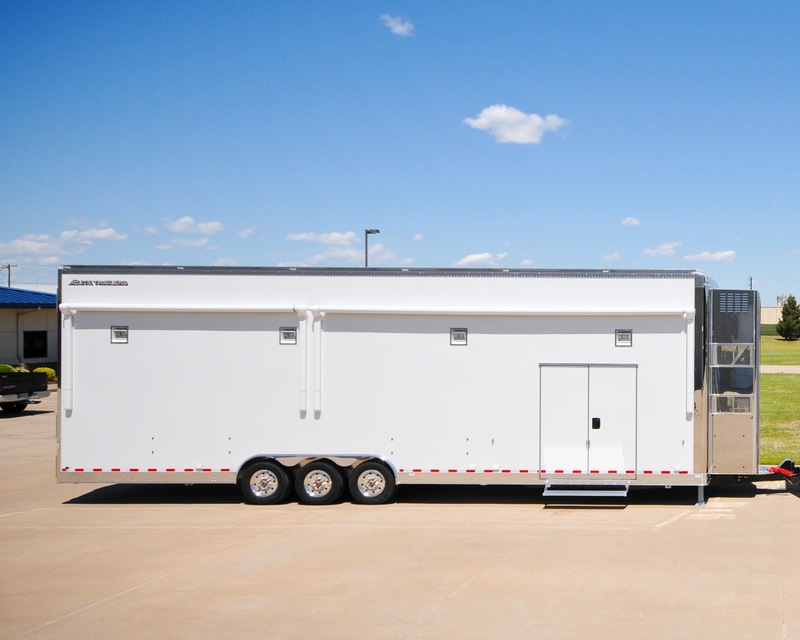 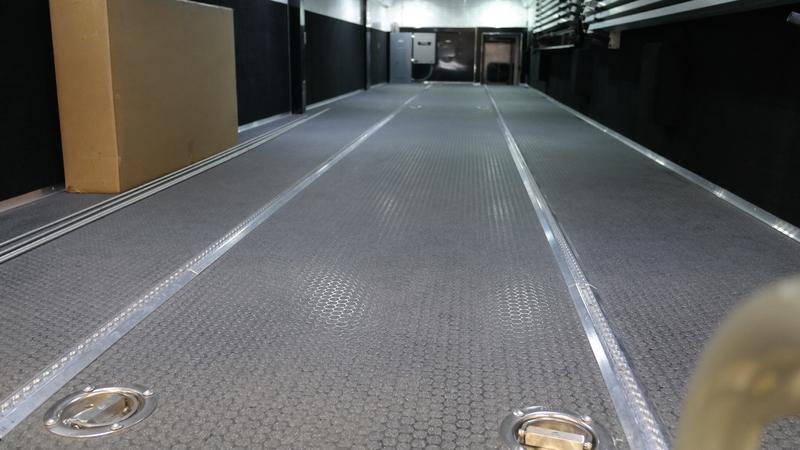 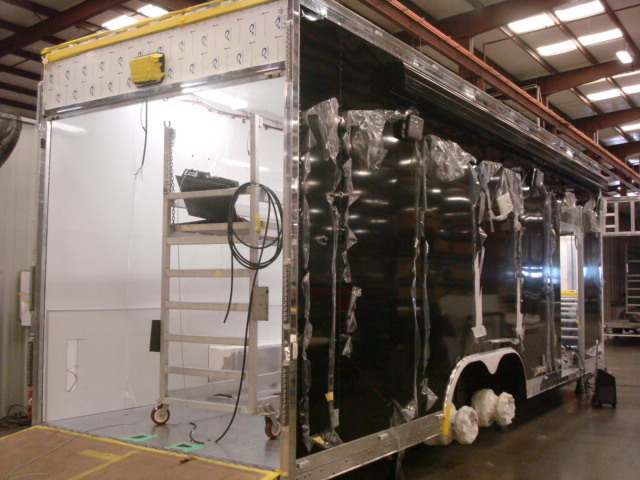 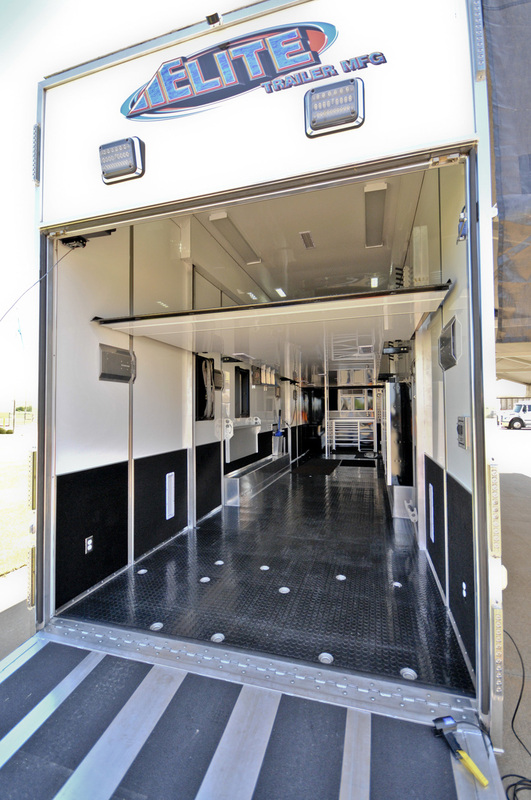 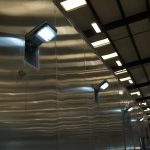 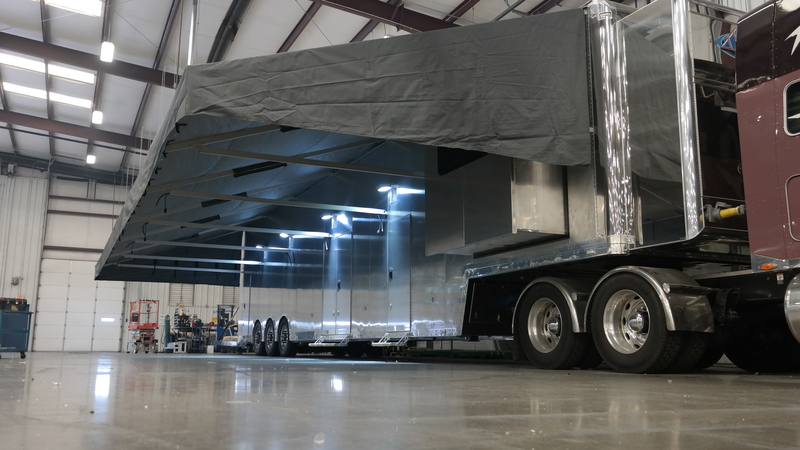 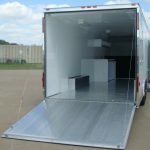 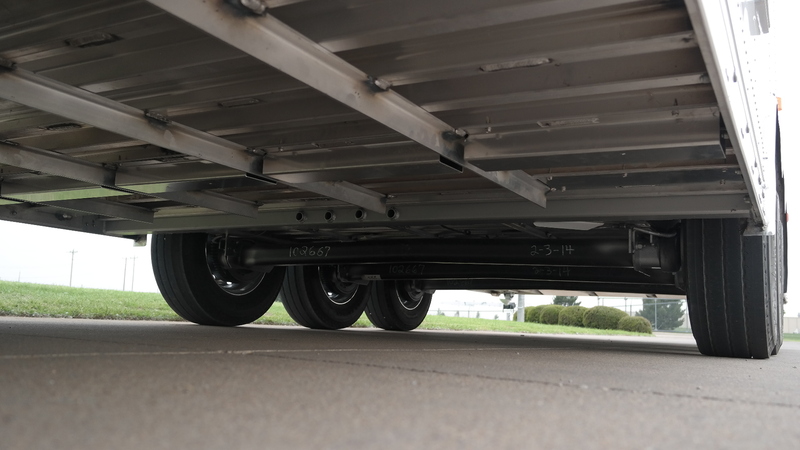 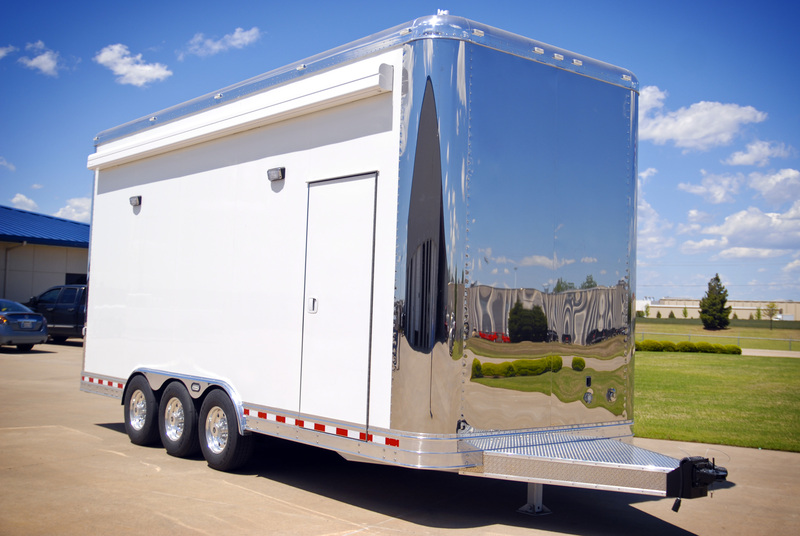 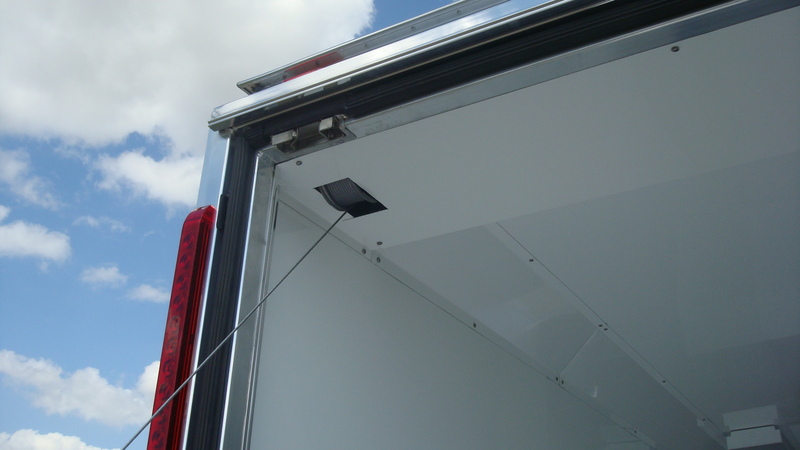 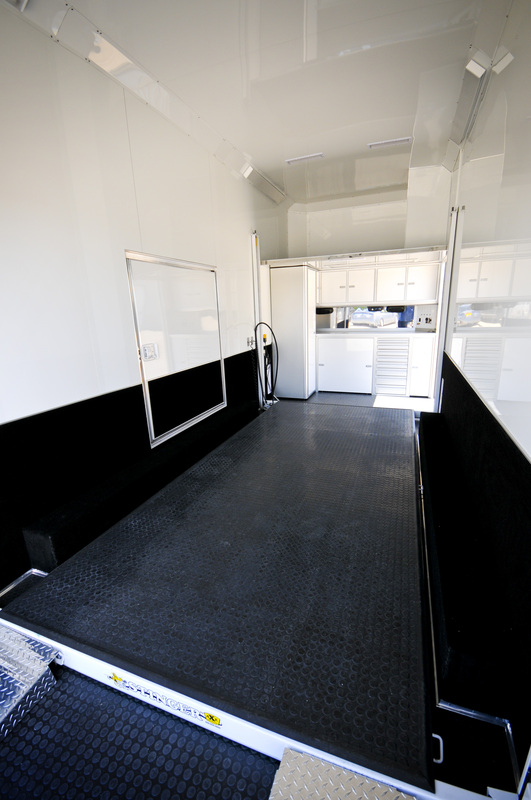 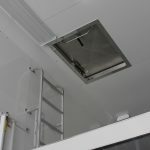 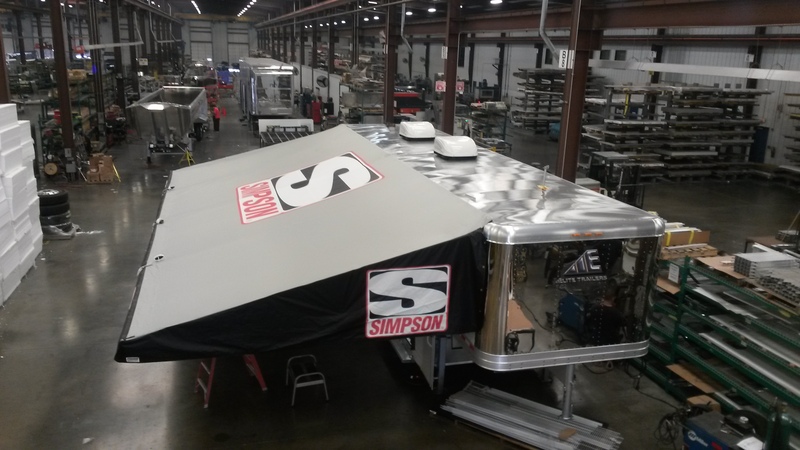 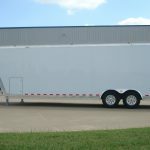 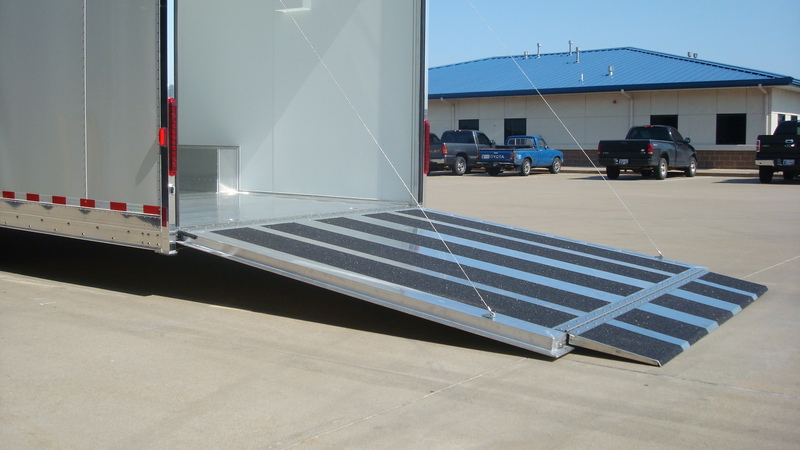 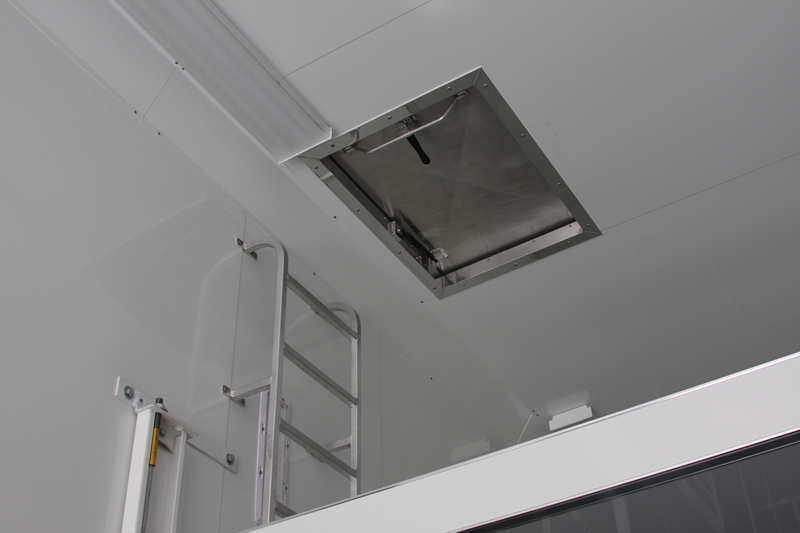 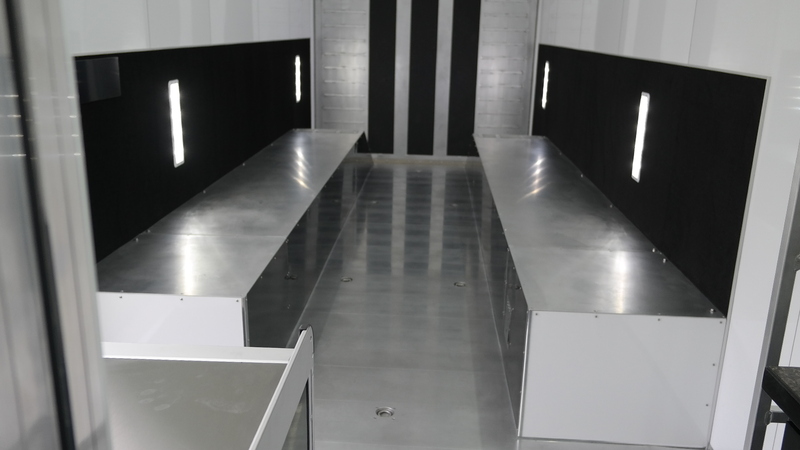 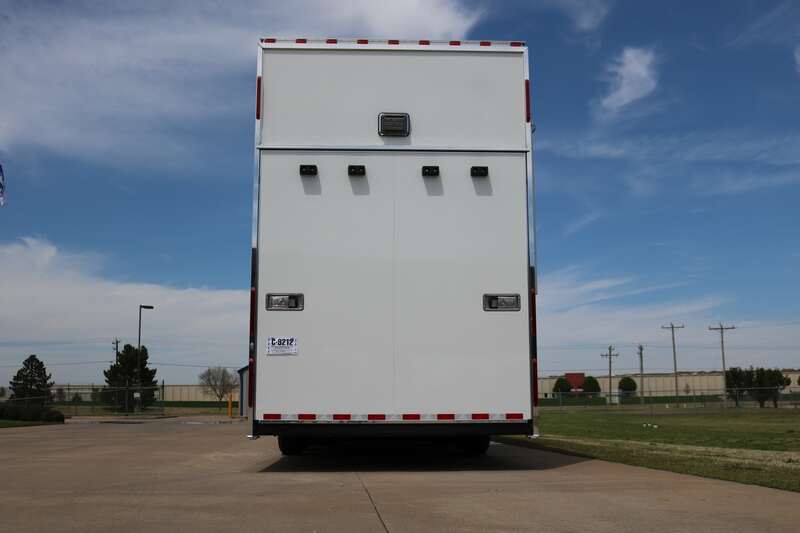 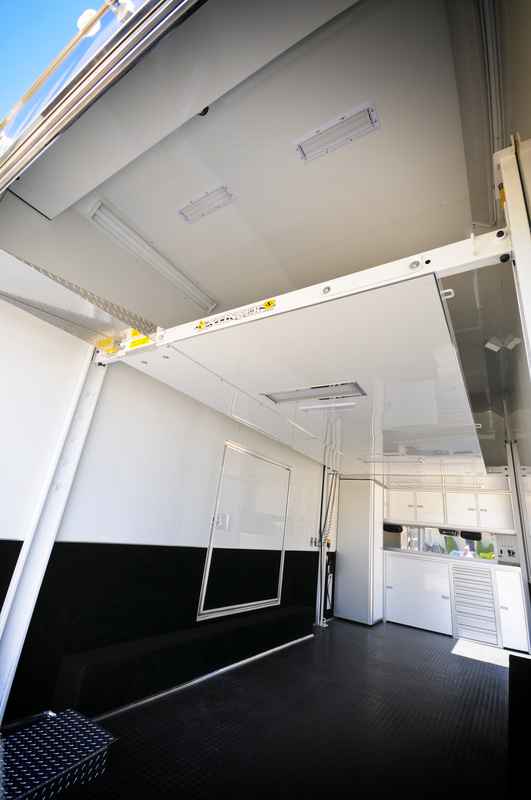 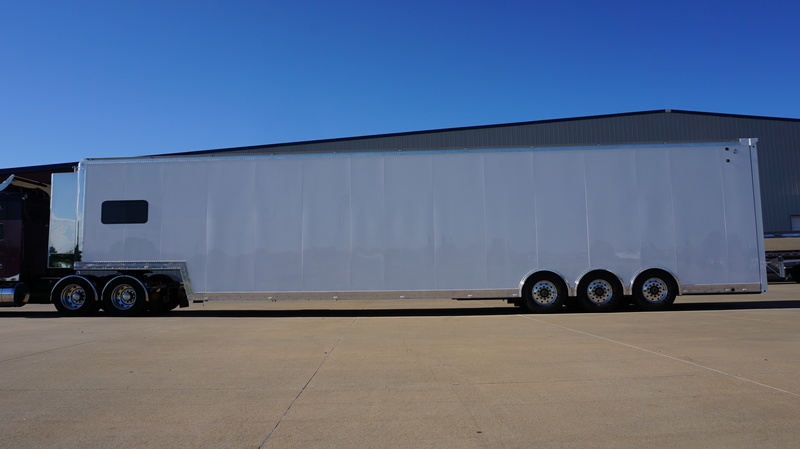 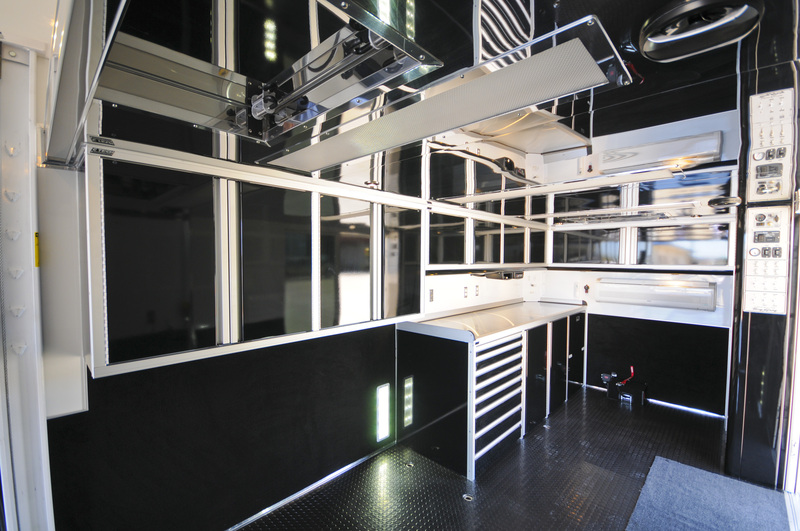 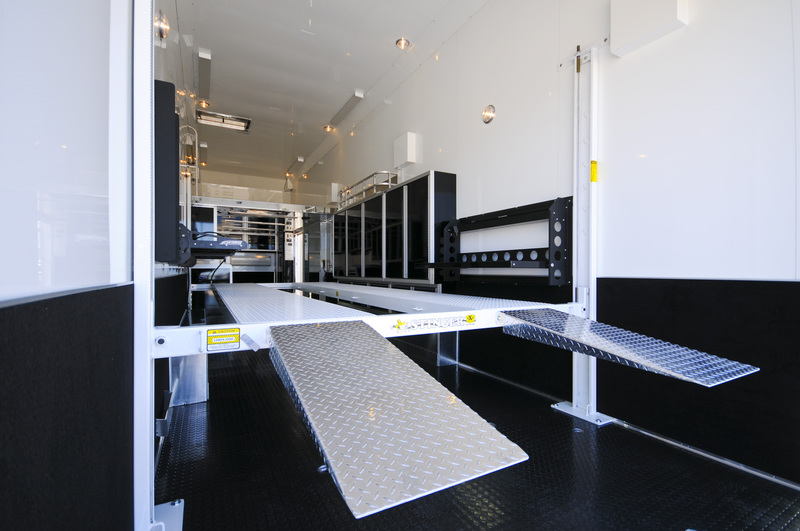 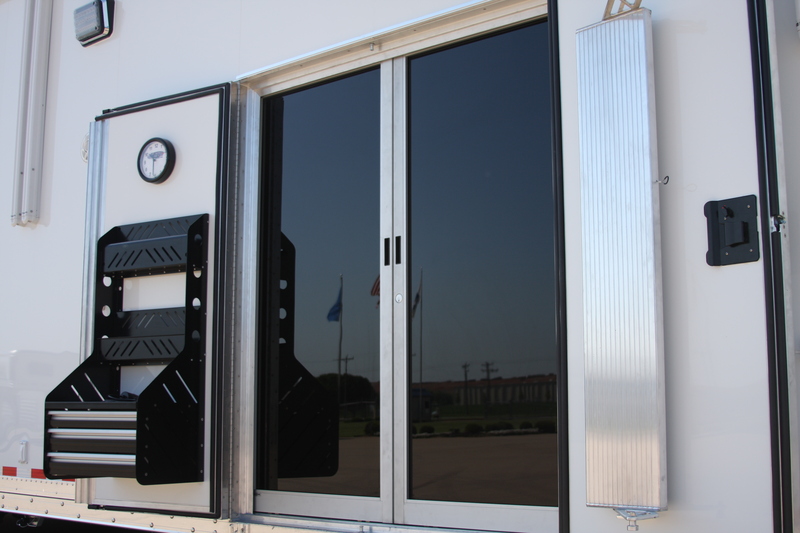 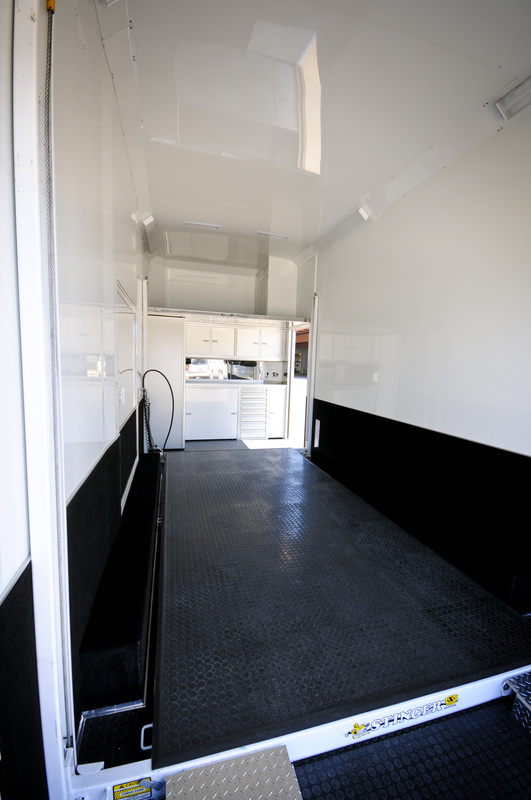 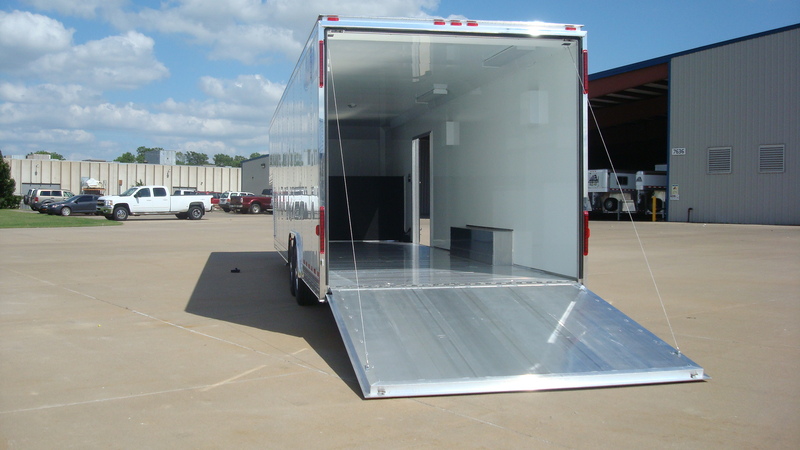 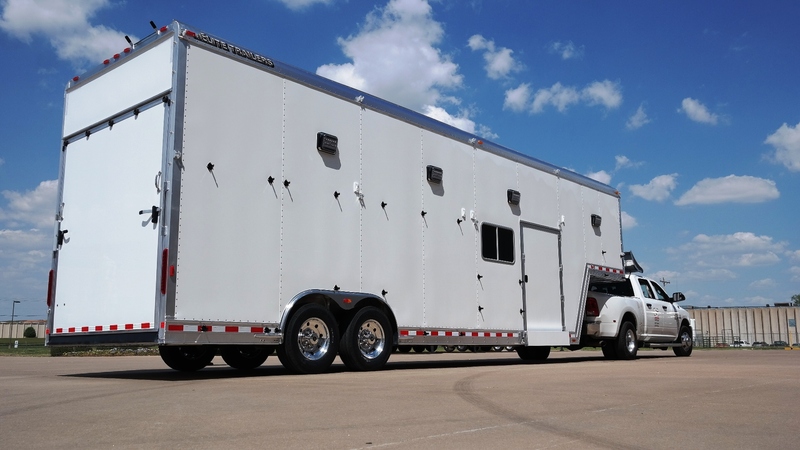 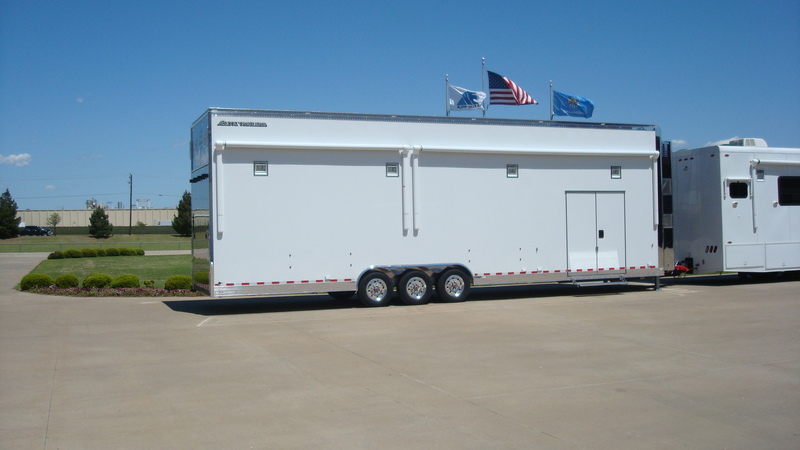 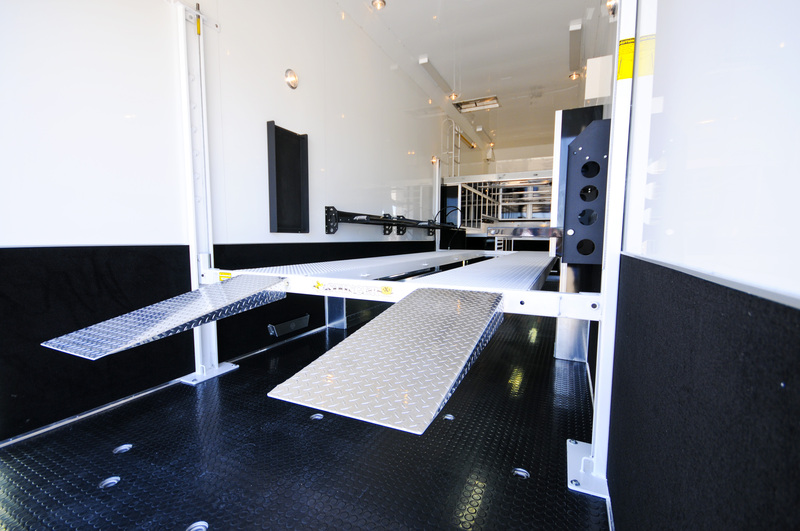 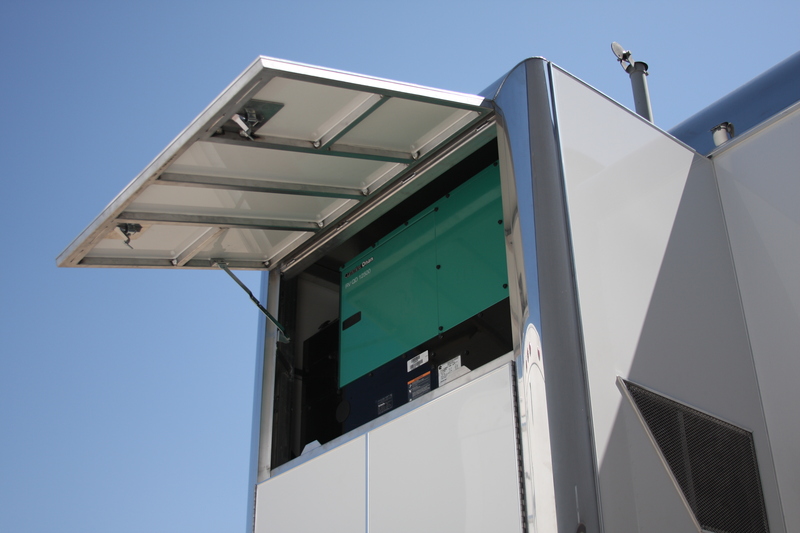 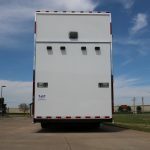 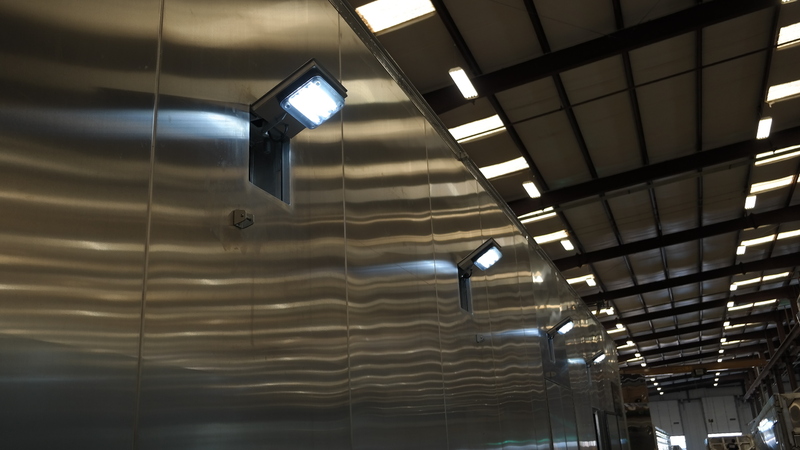 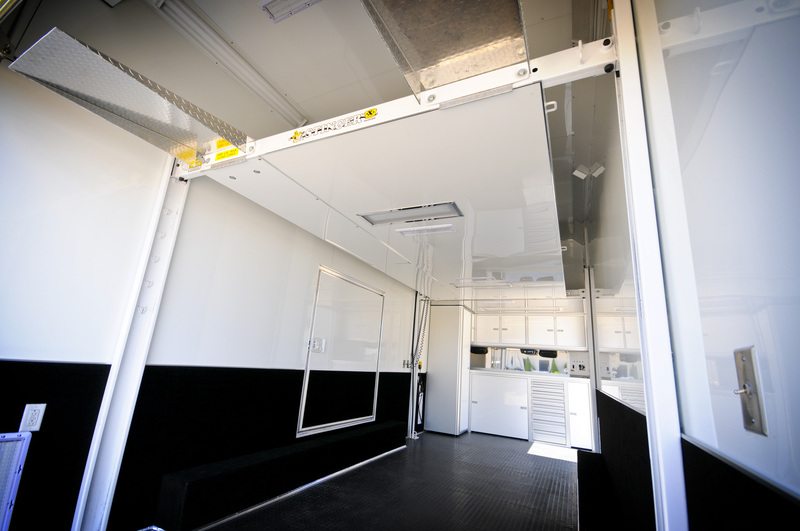 Inside and out, our trailers are fabricated to deliver long-lasting durability and good looks. 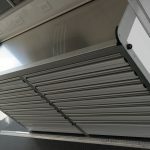 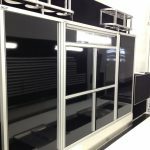 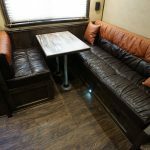 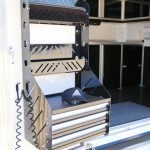 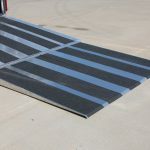 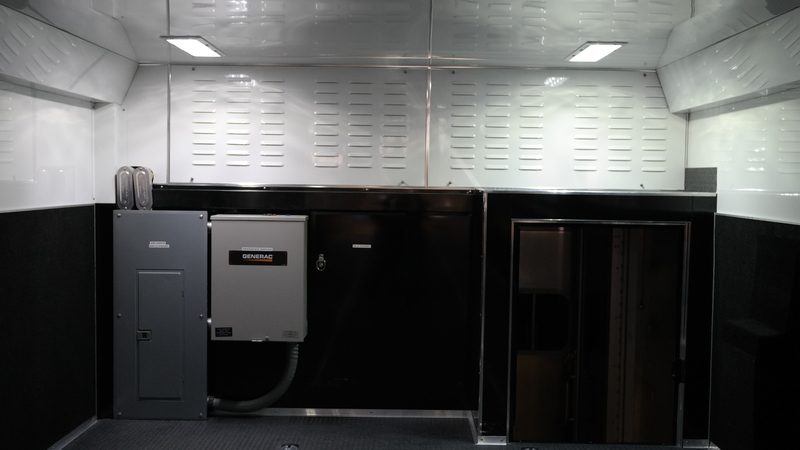 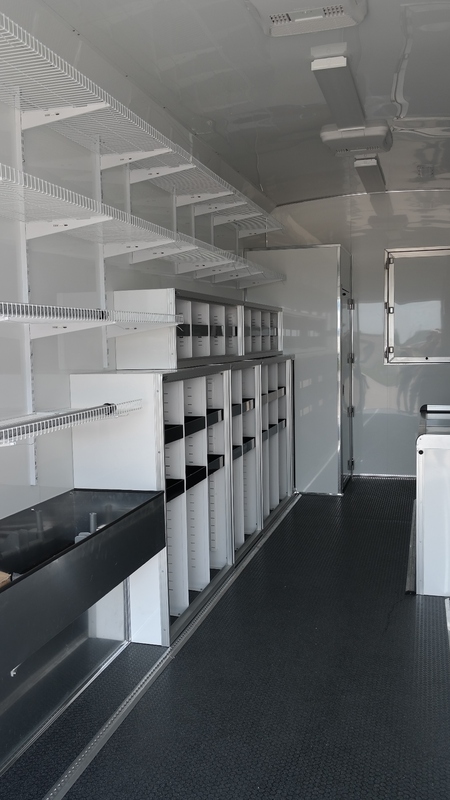 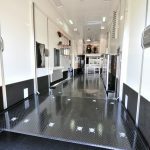 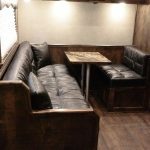 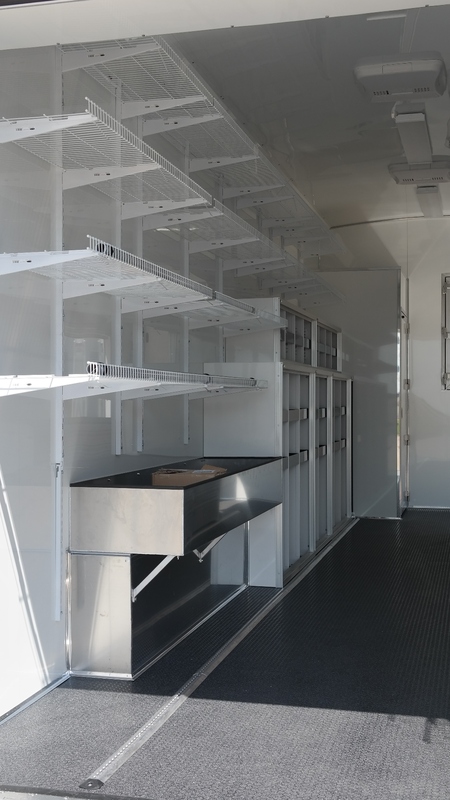 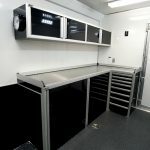 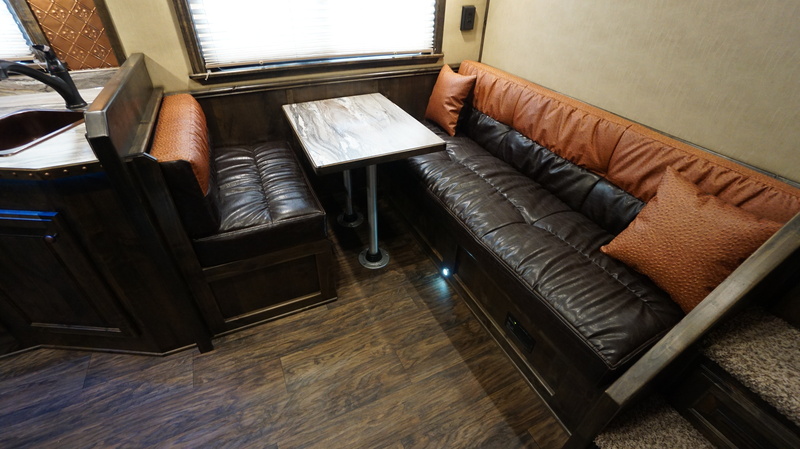 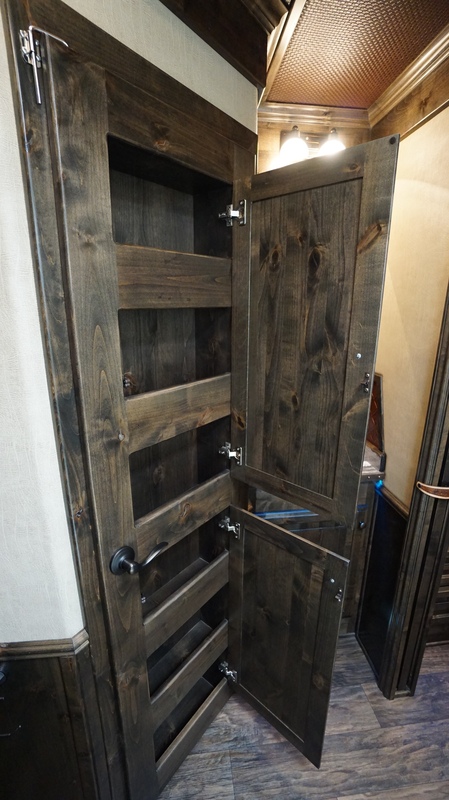 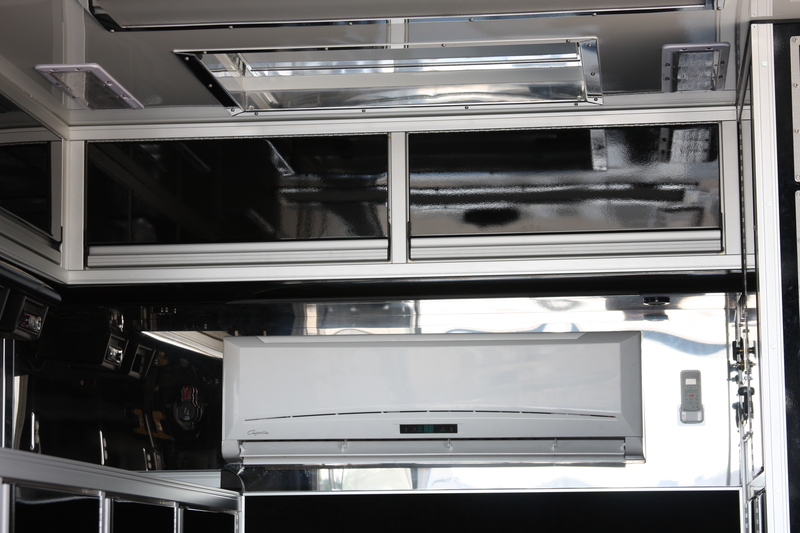 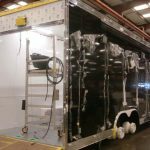 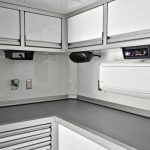 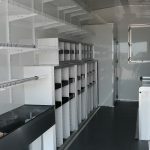 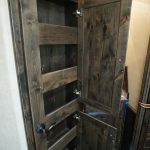 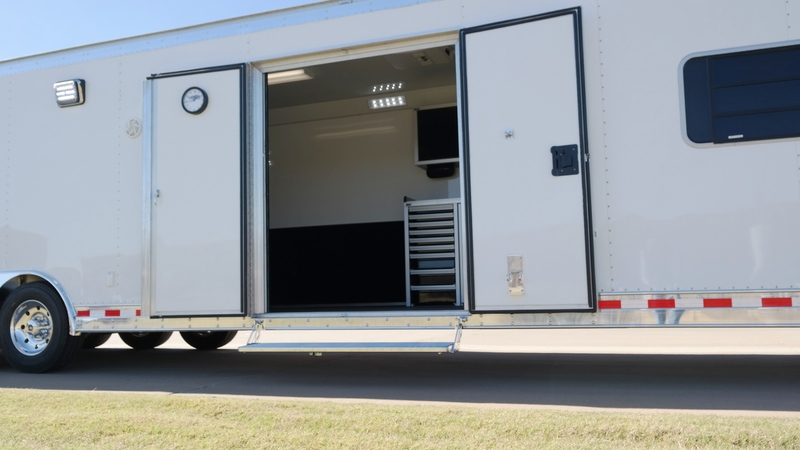 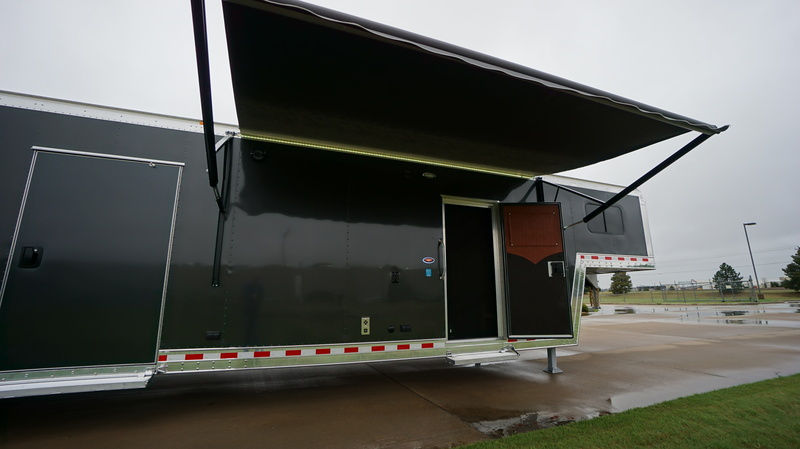 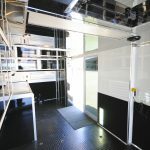 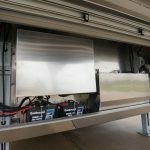 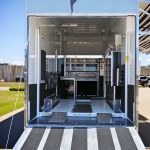 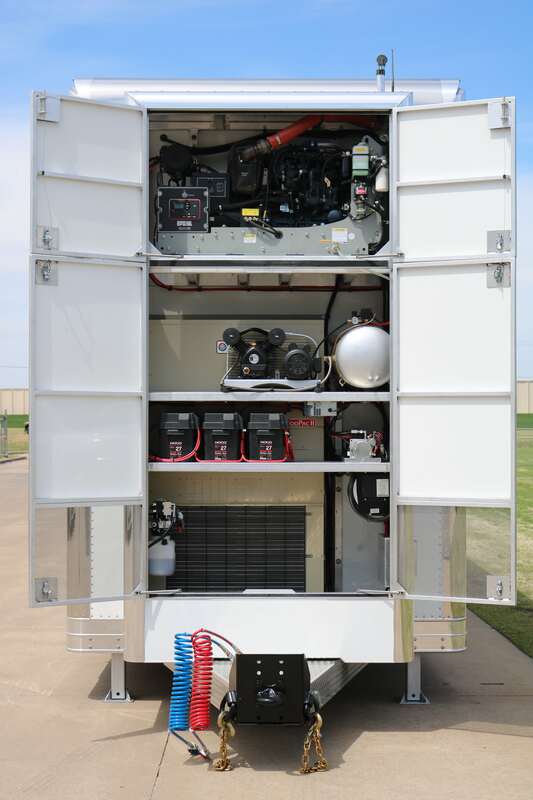 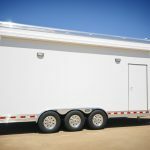 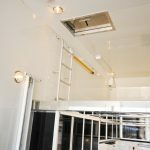 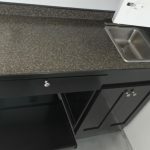 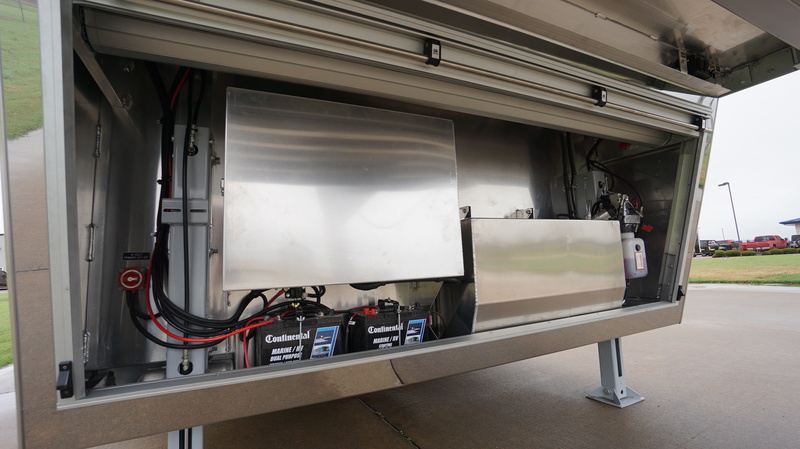 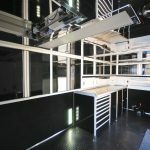 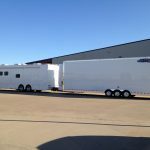 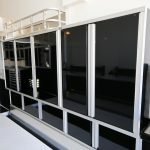 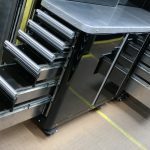 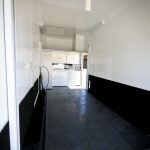 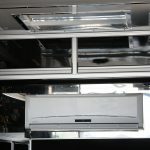 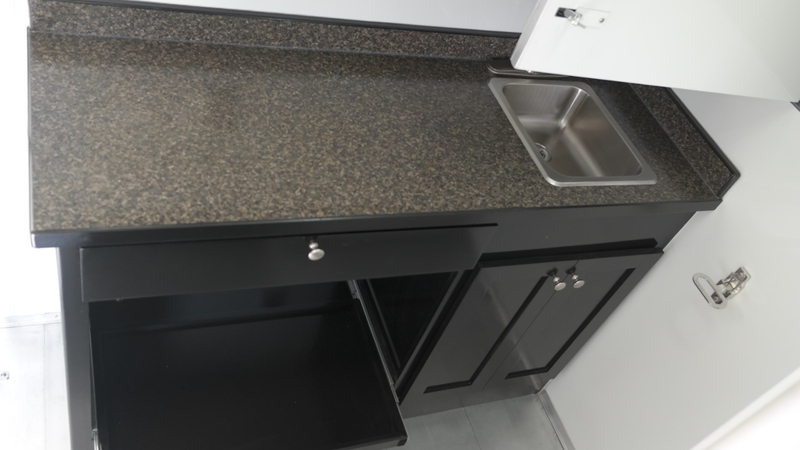 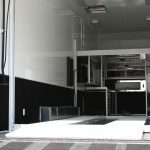 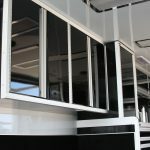 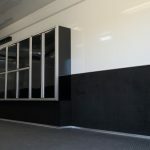 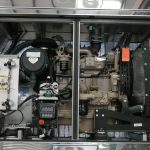 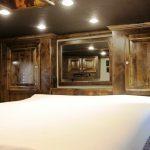 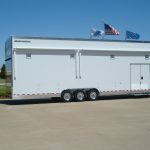 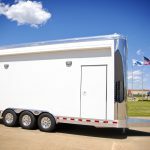 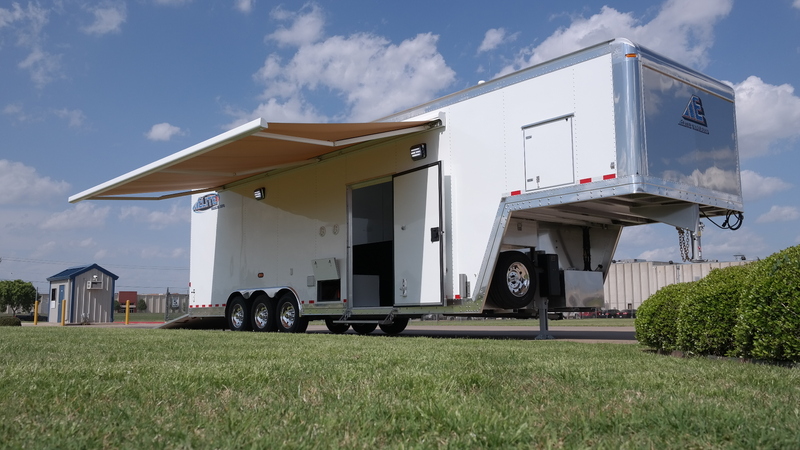 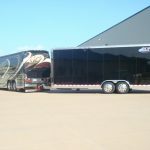 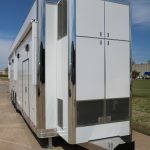 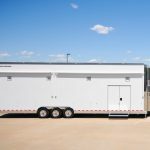 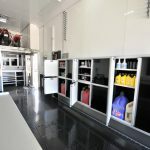 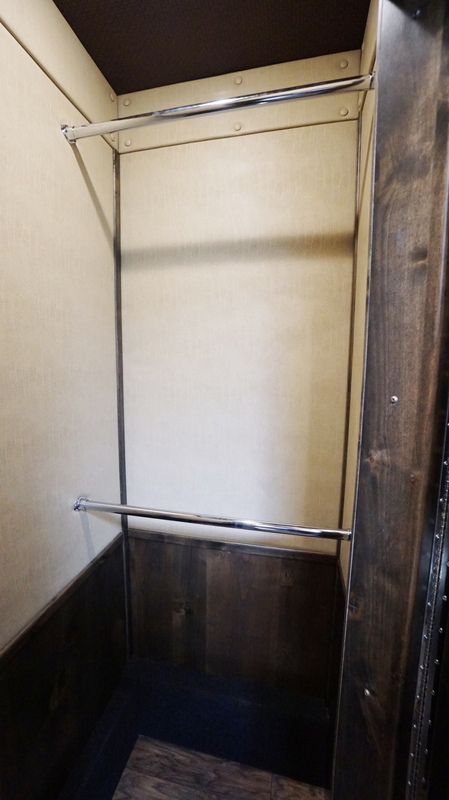 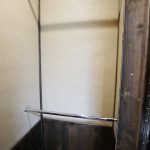 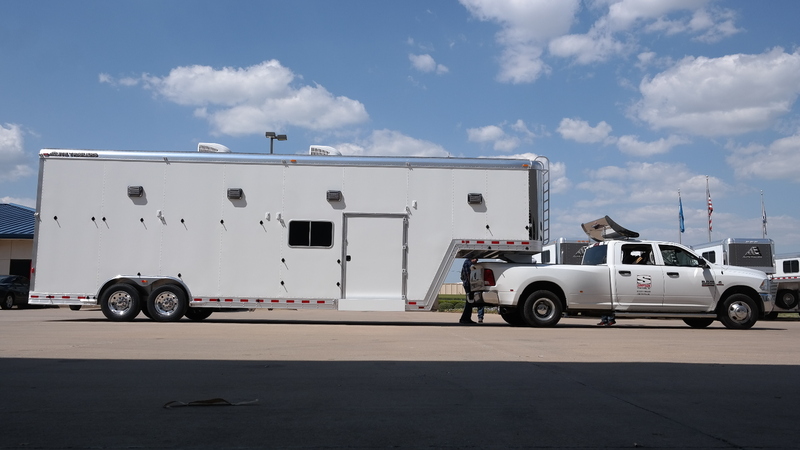 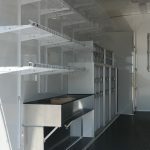 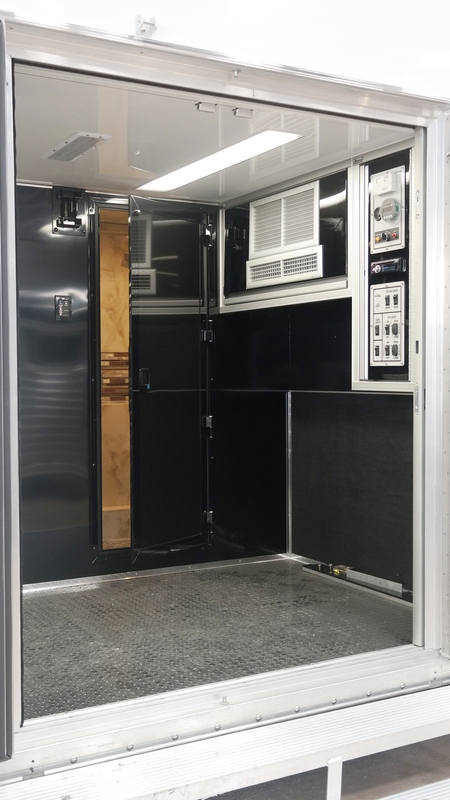 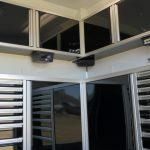 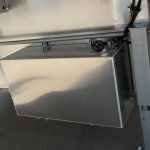 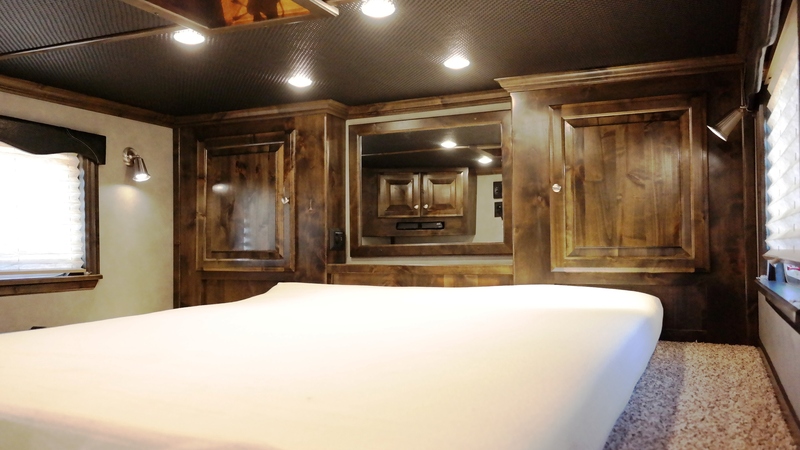 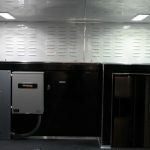 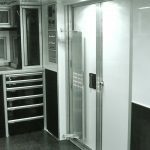 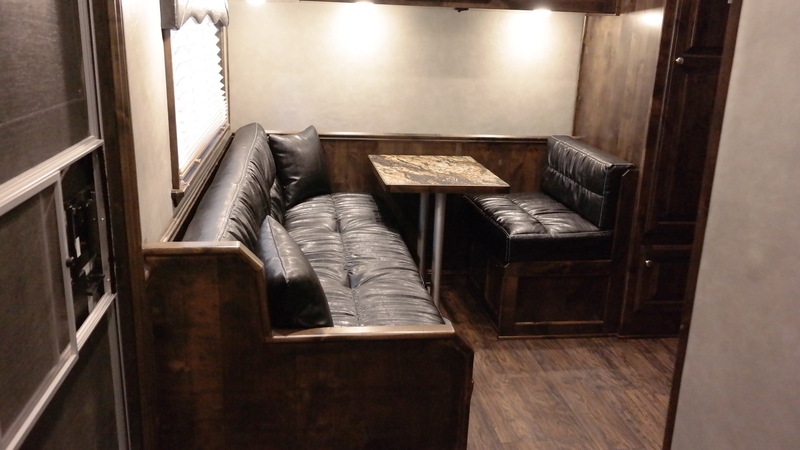 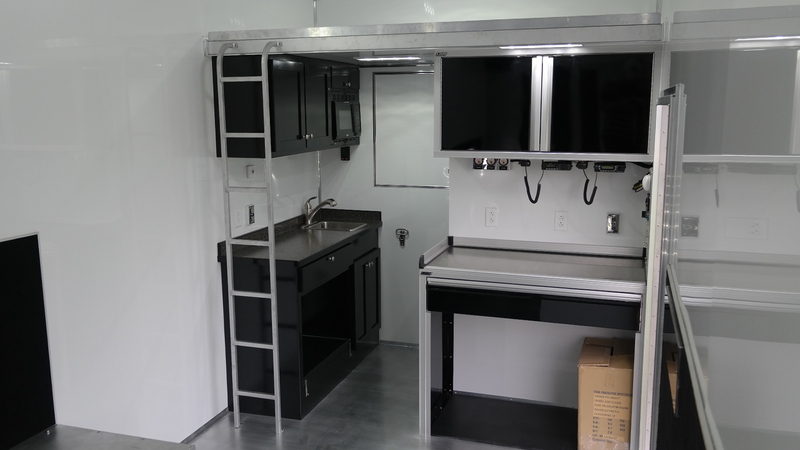 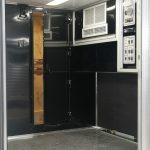 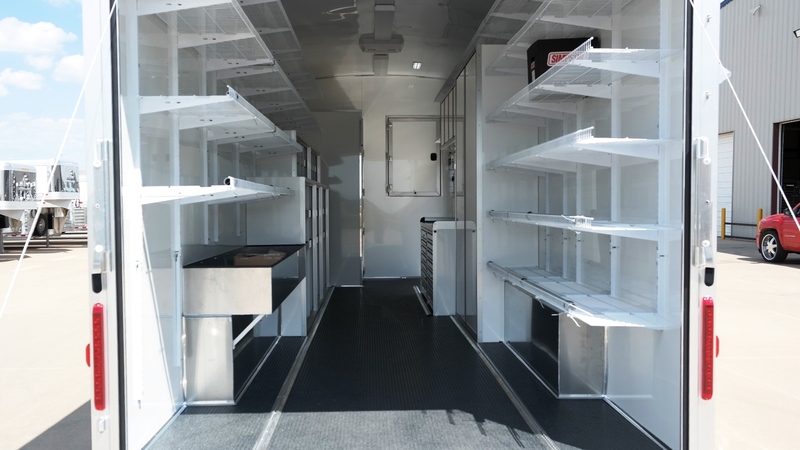 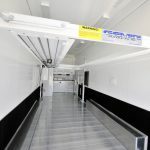 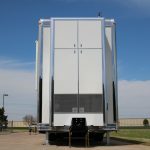 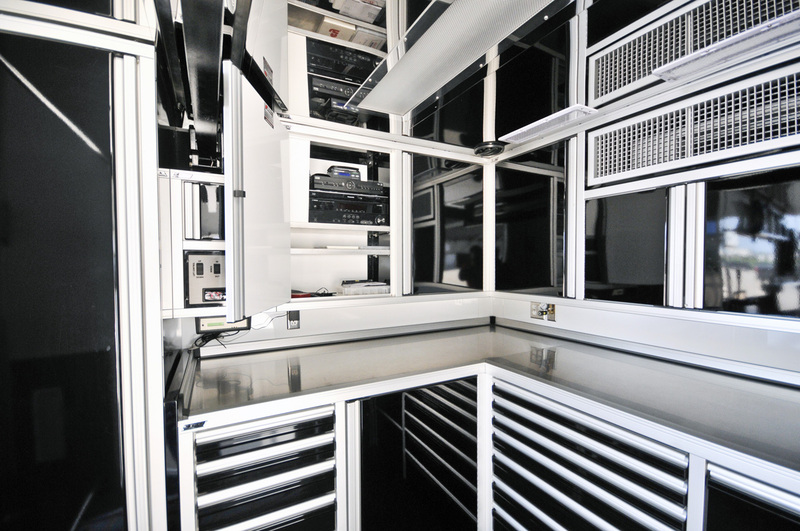 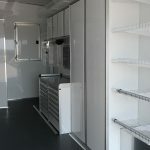 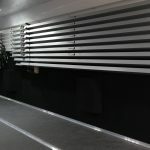 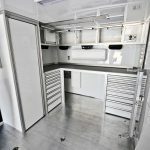 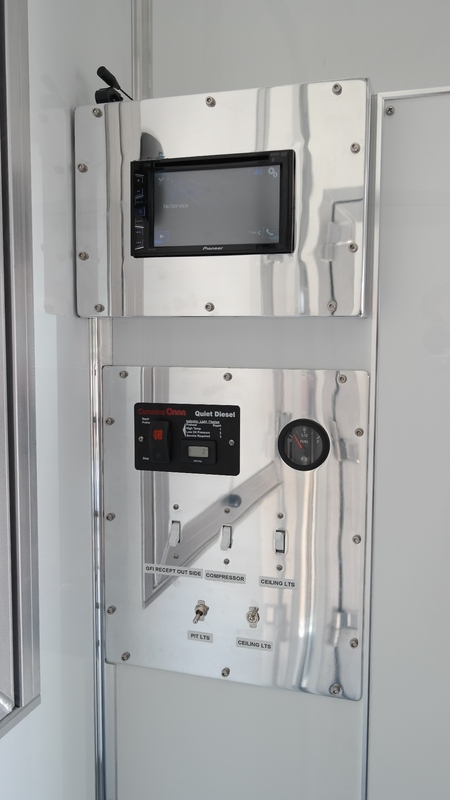 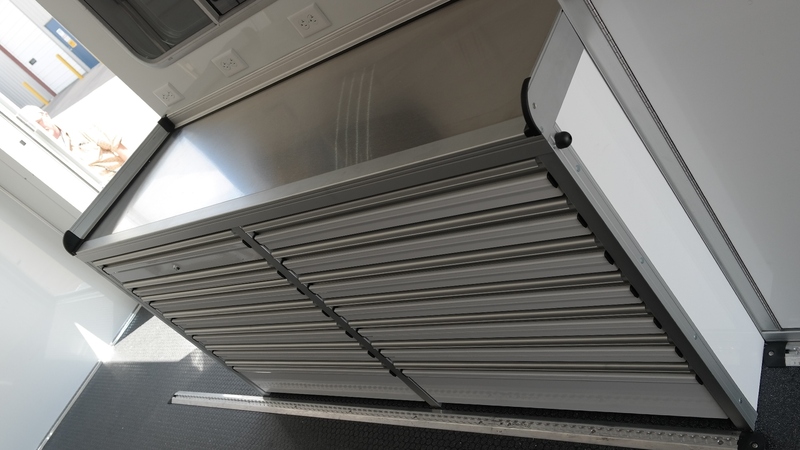 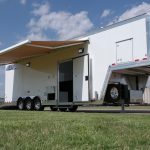 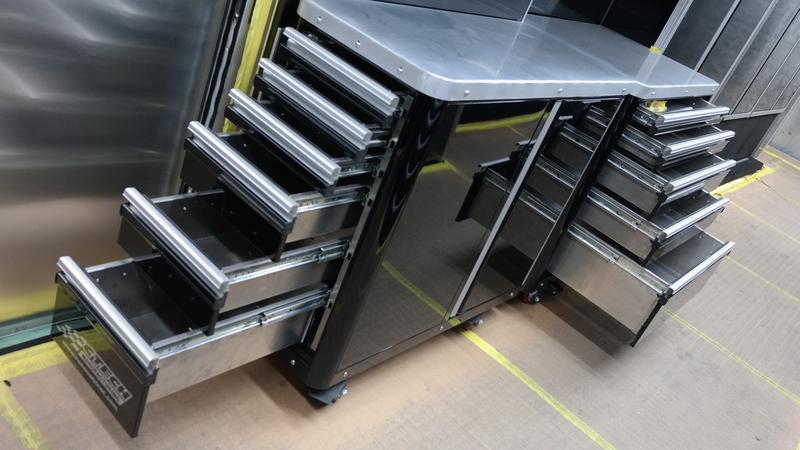 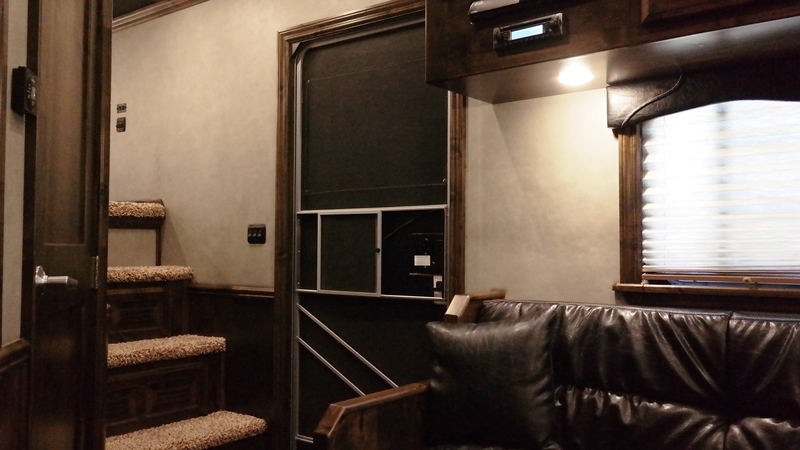 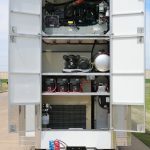 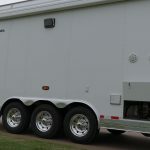 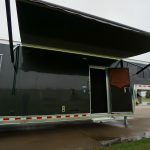 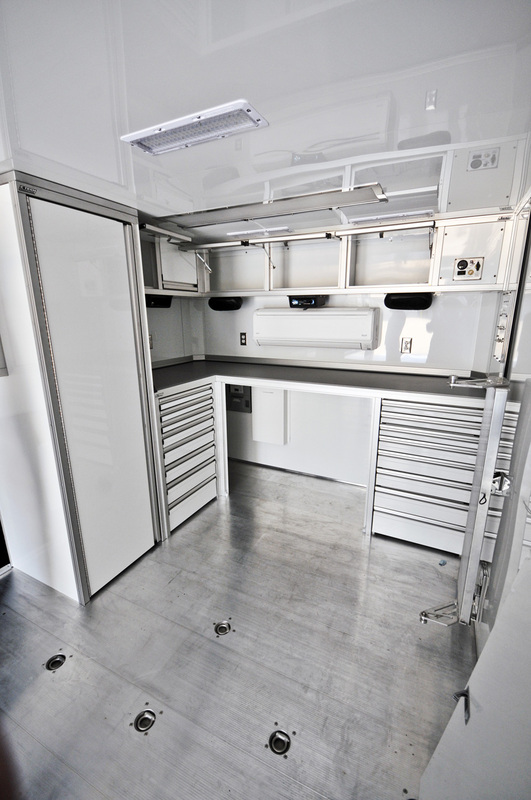 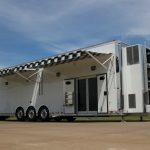 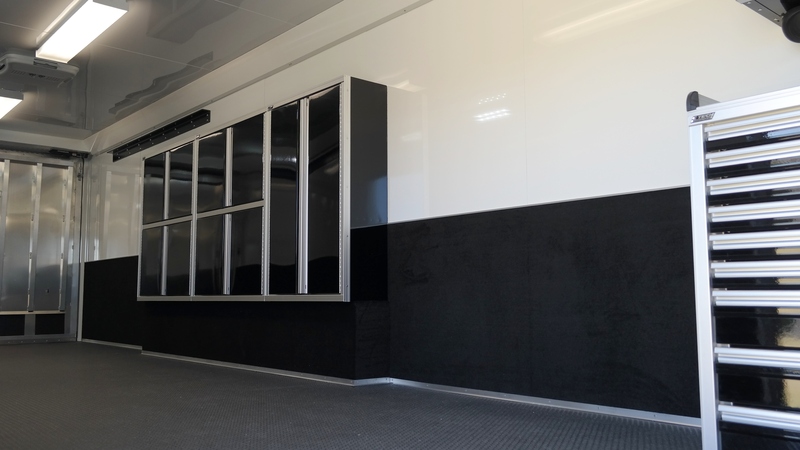 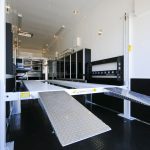 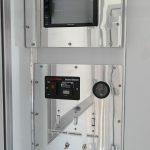 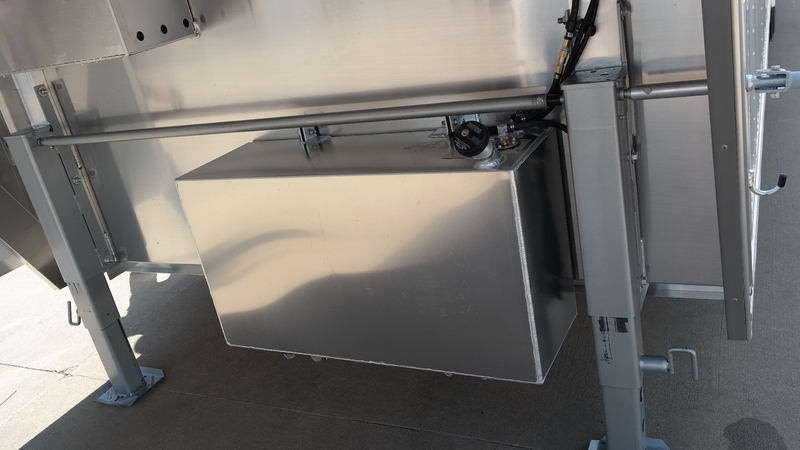 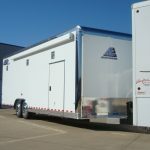 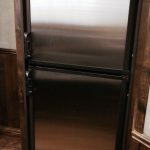 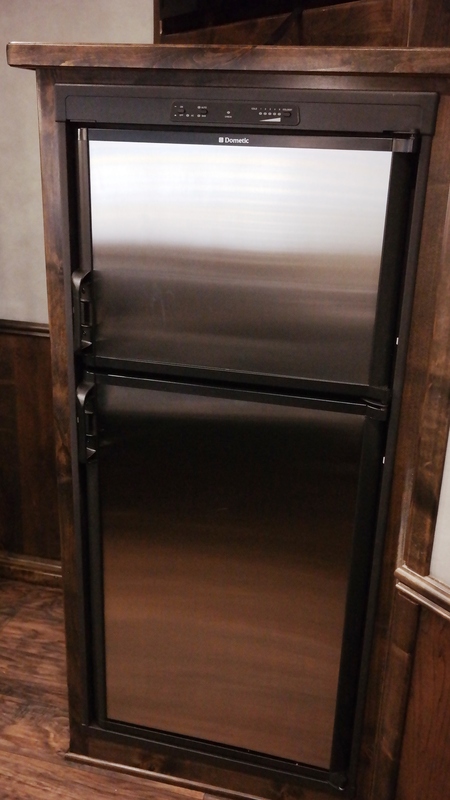 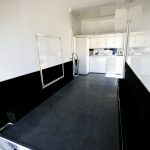 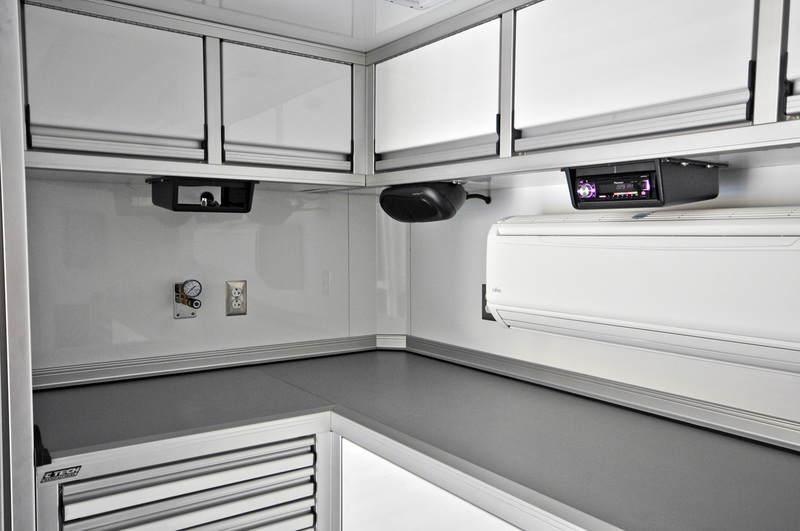 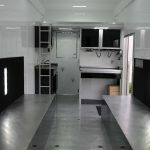 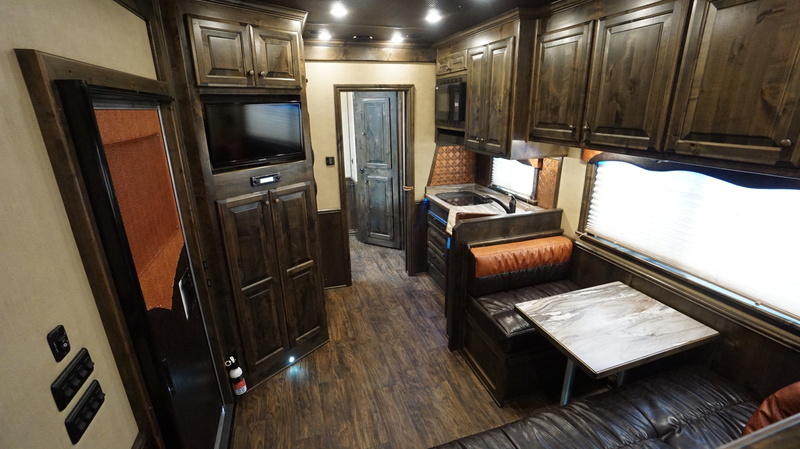 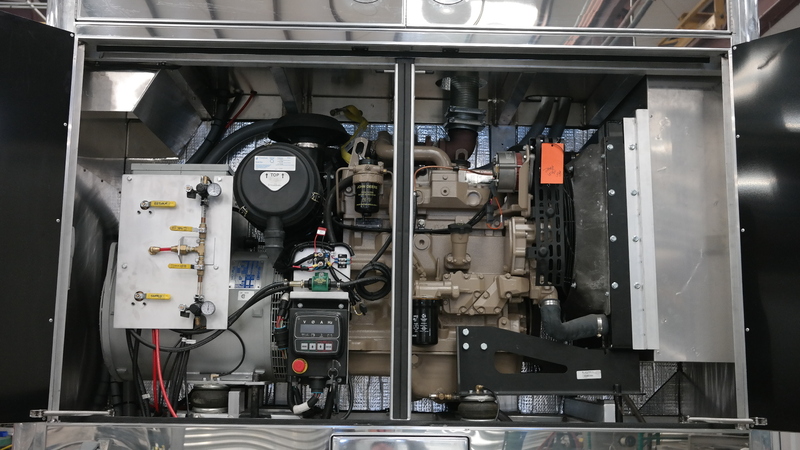 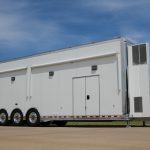 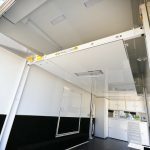 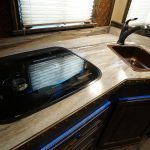 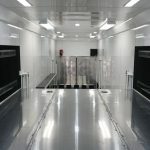 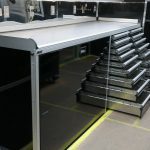 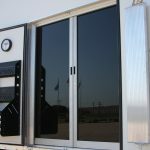 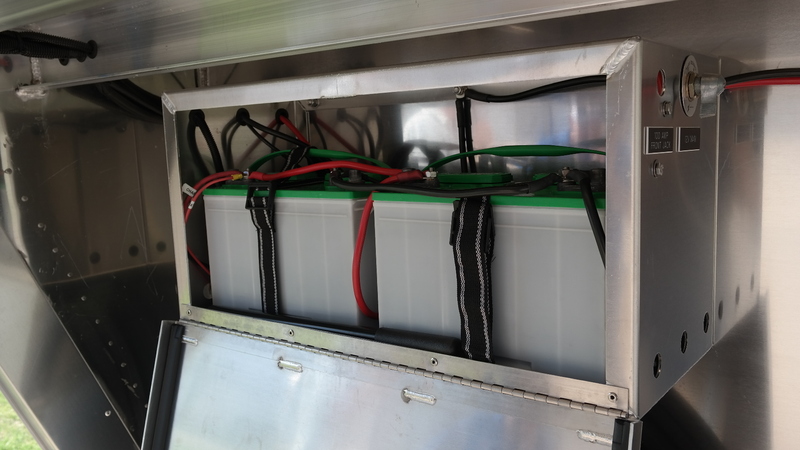 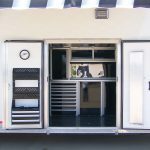 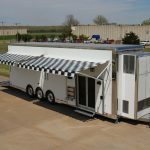 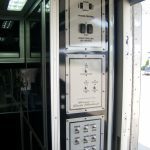 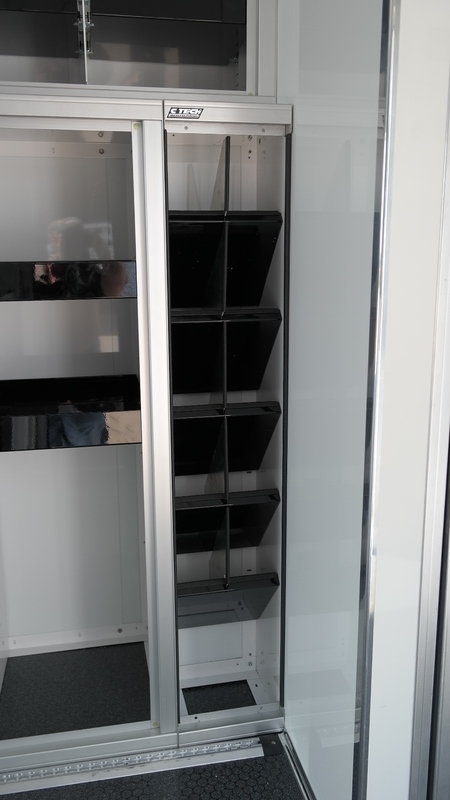 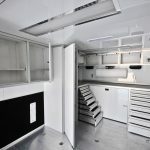 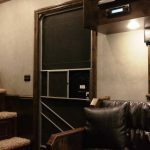 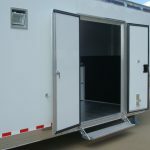 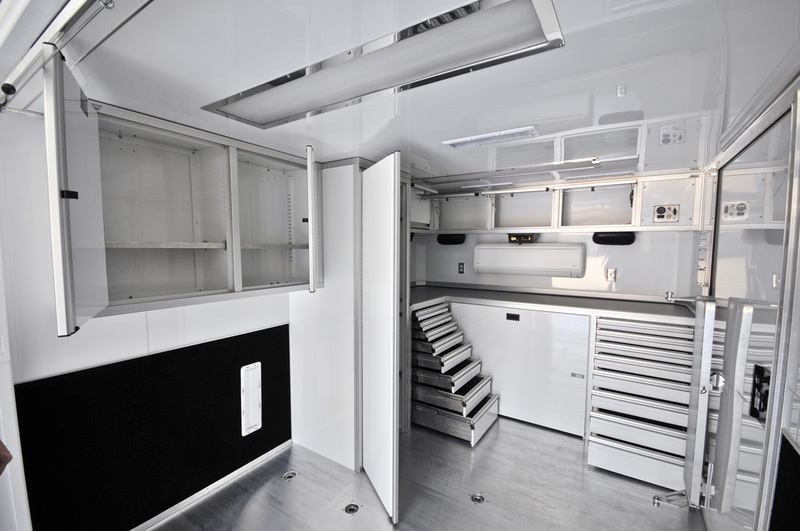 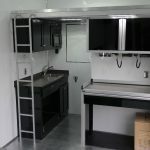 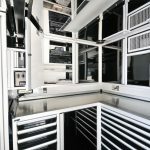 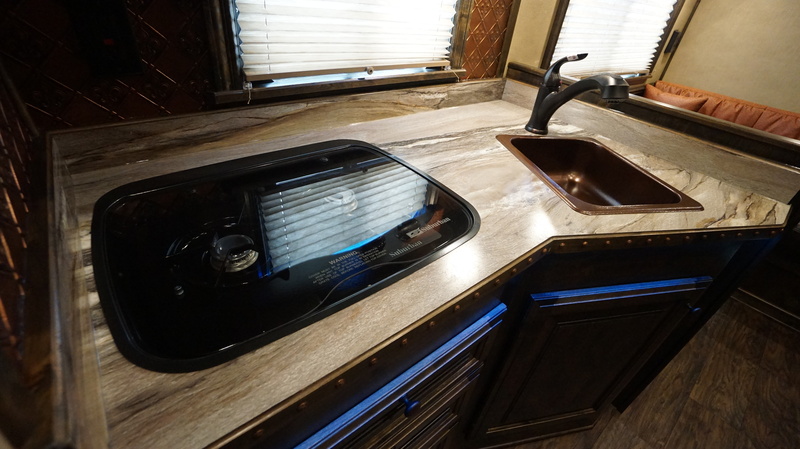 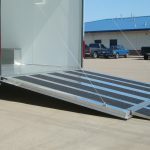 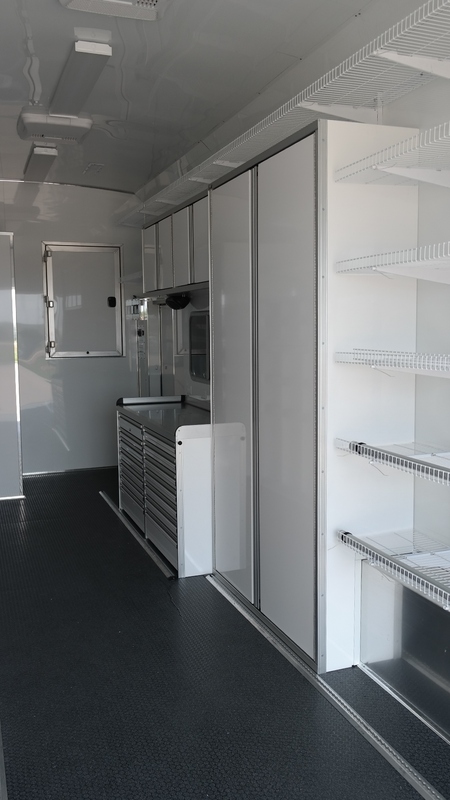 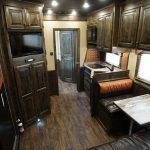 Our designers, engineers and custom interior builders are capable of turning a trailer into a complete, well organized workshop or machine shop on wheels, including living quarters with all the comforts of home. 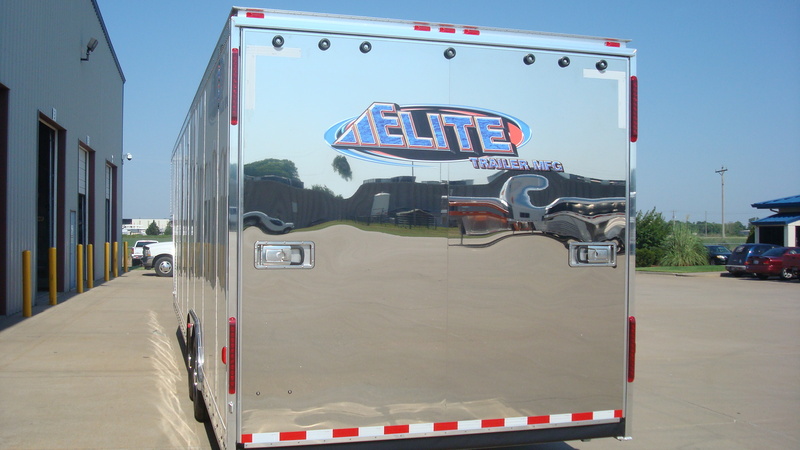 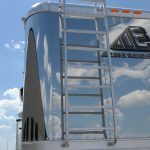 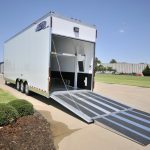 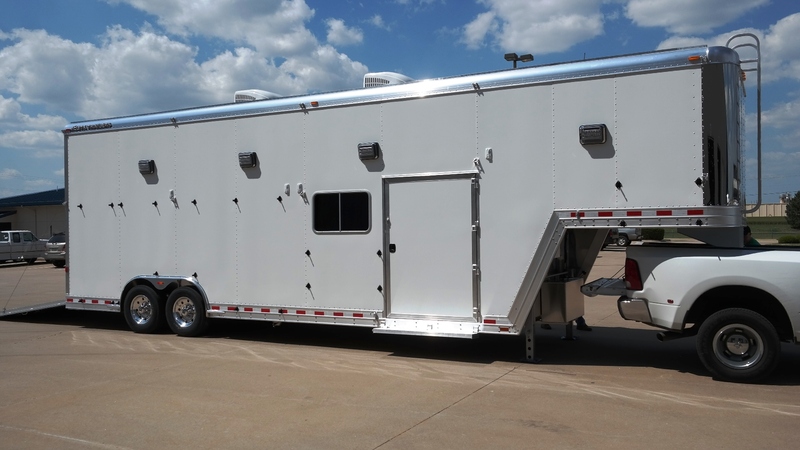 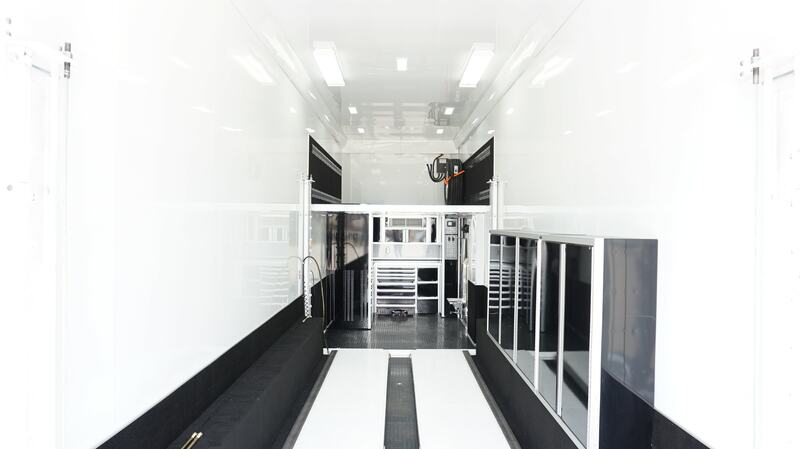 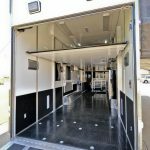 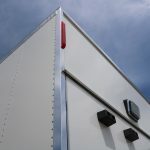 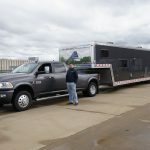 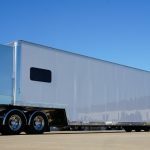 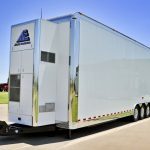 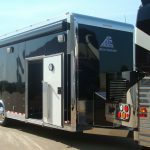 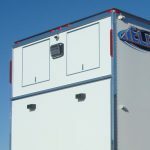 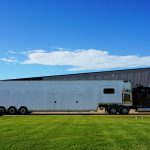 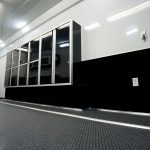 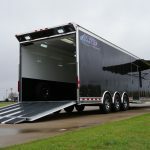 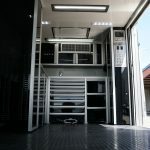 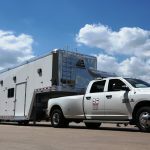 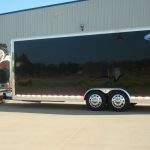 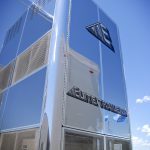 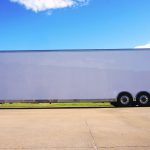 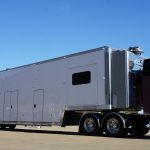 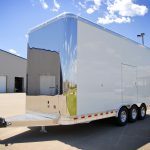 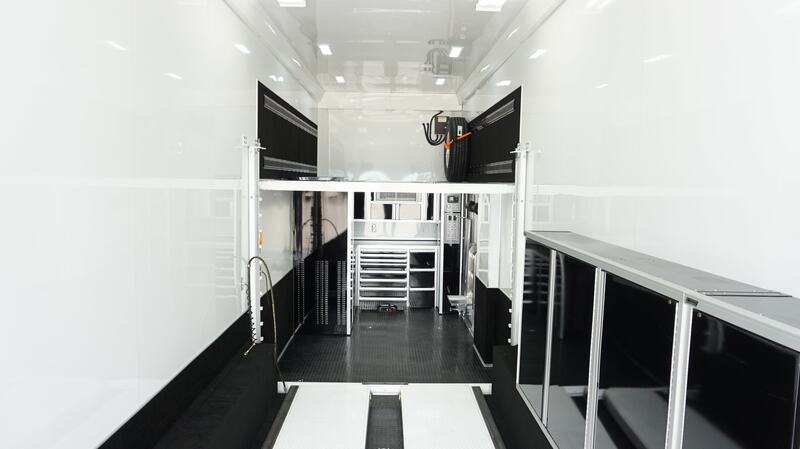 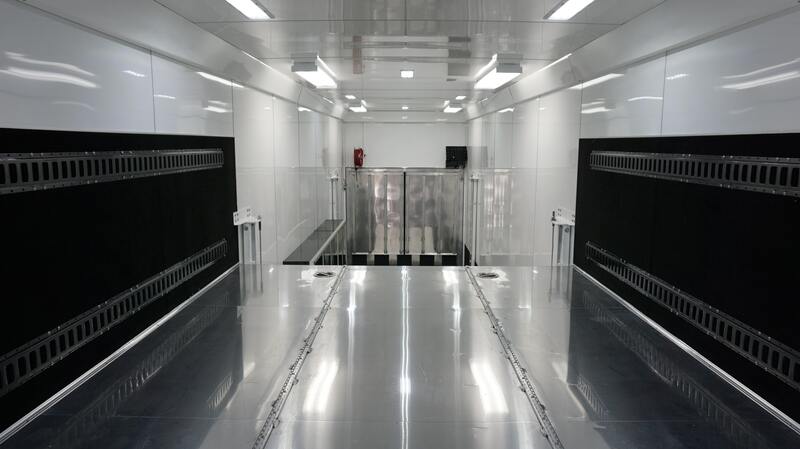 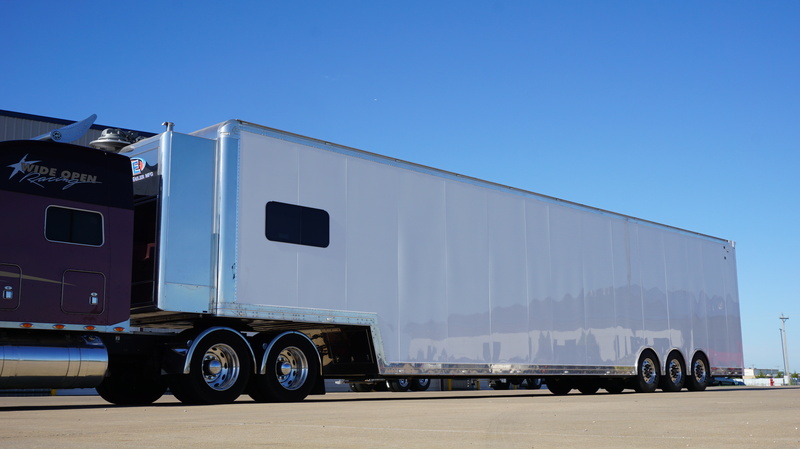 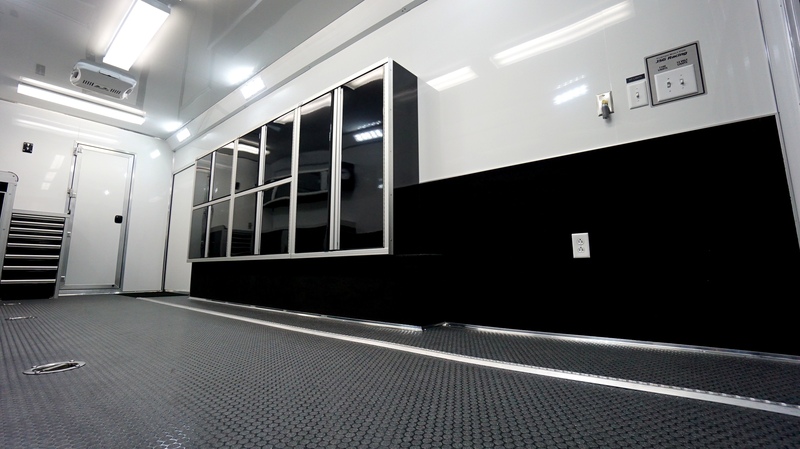 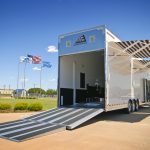 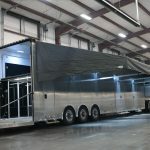 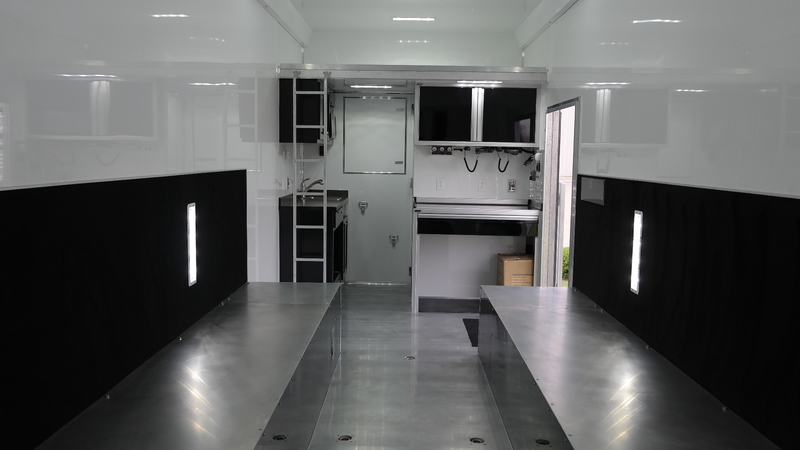 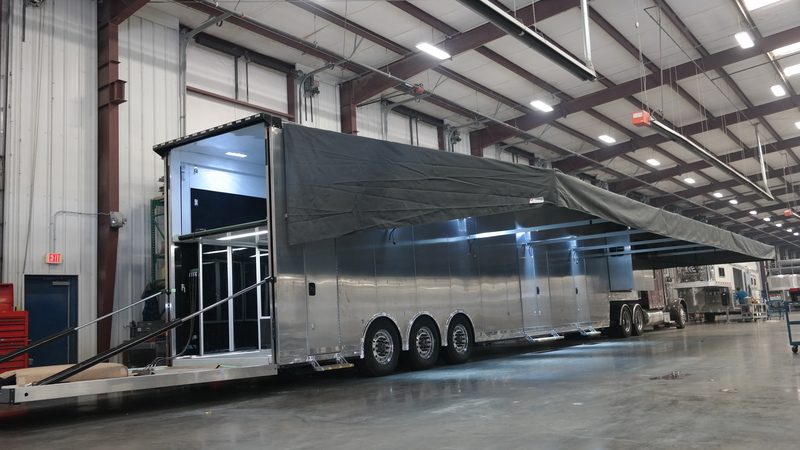 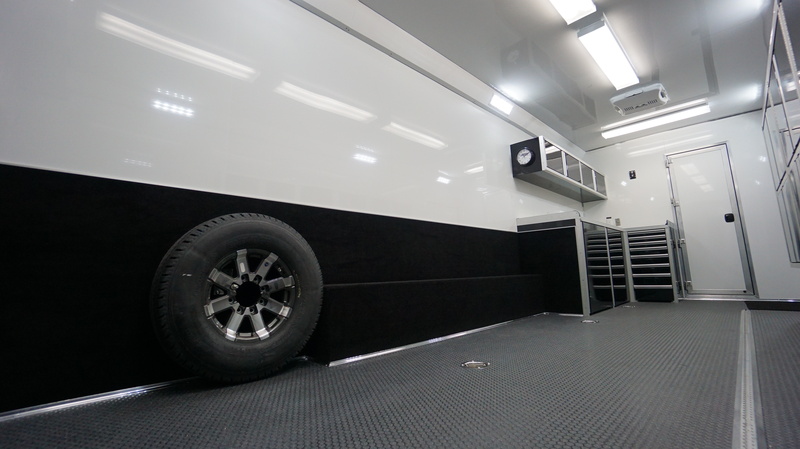 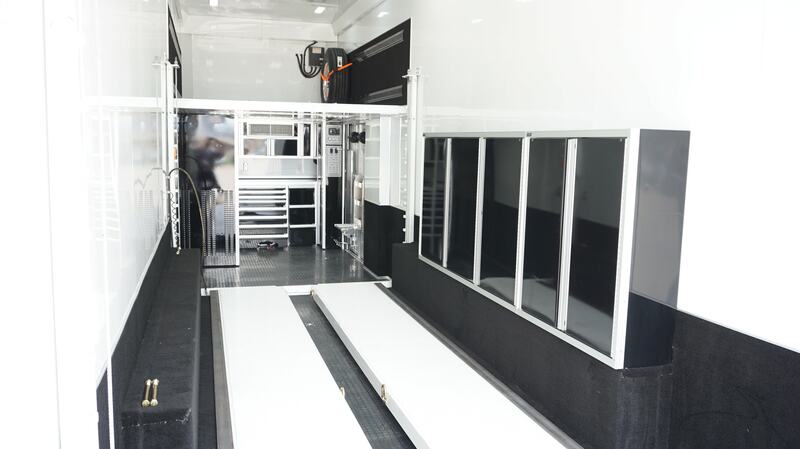 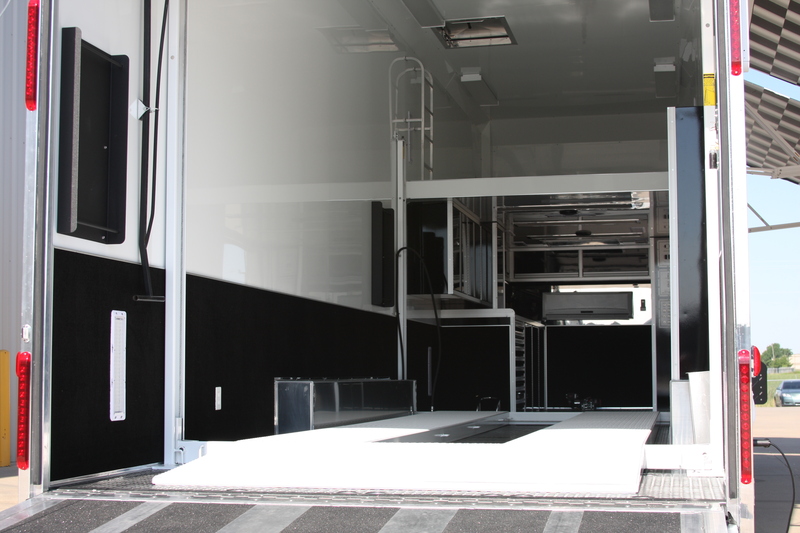 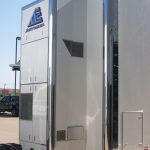 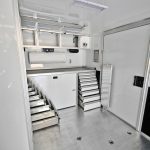 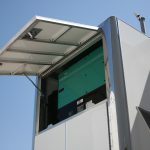 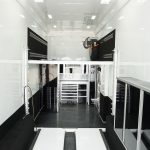 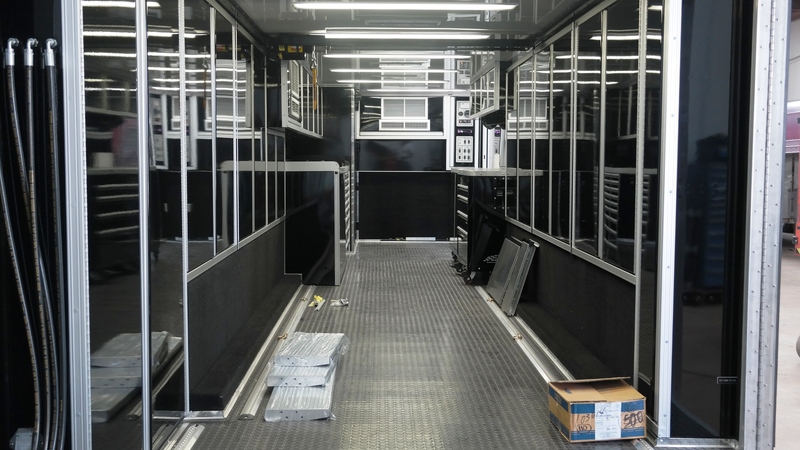 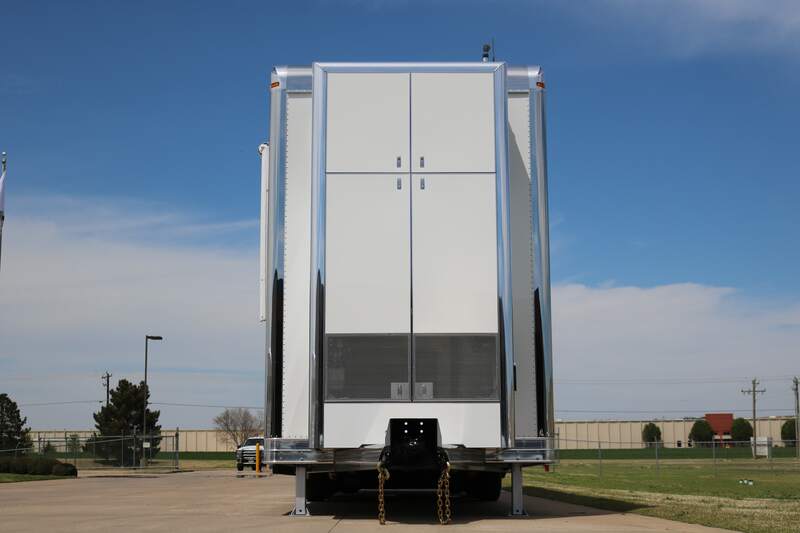 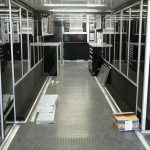 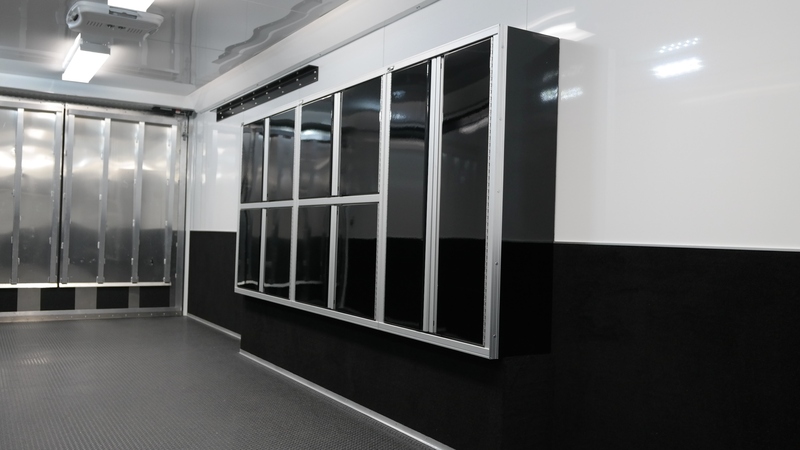 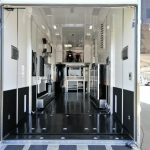 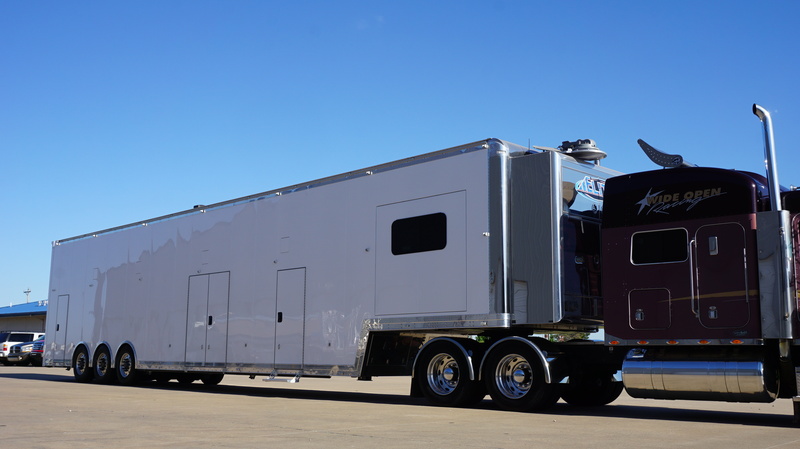 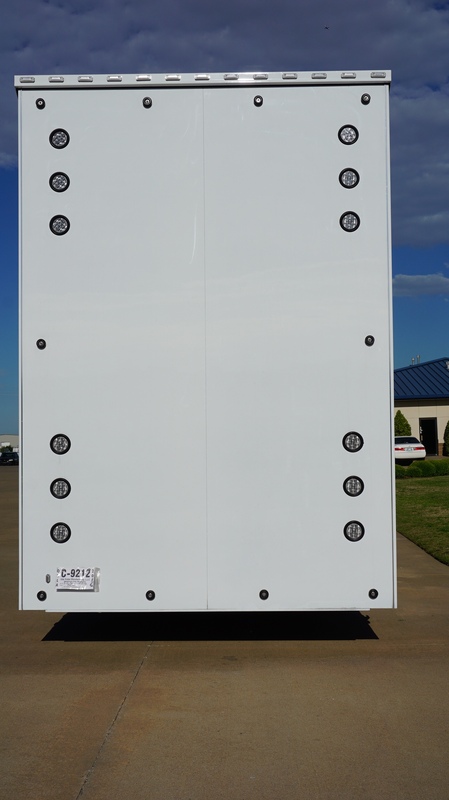 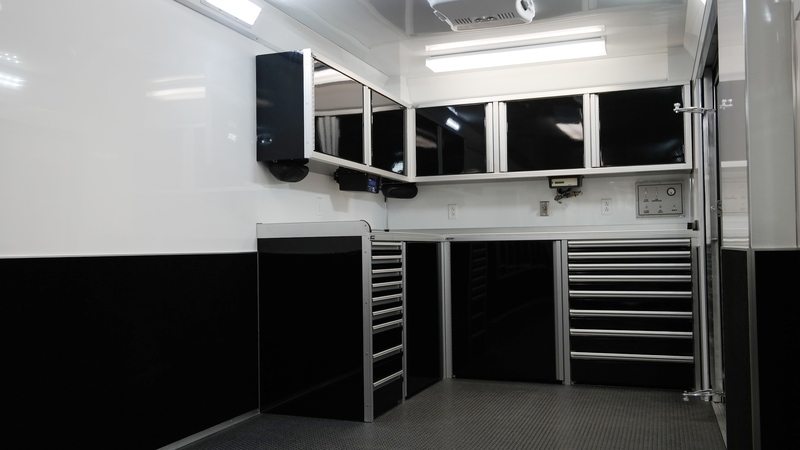 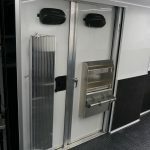 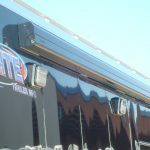 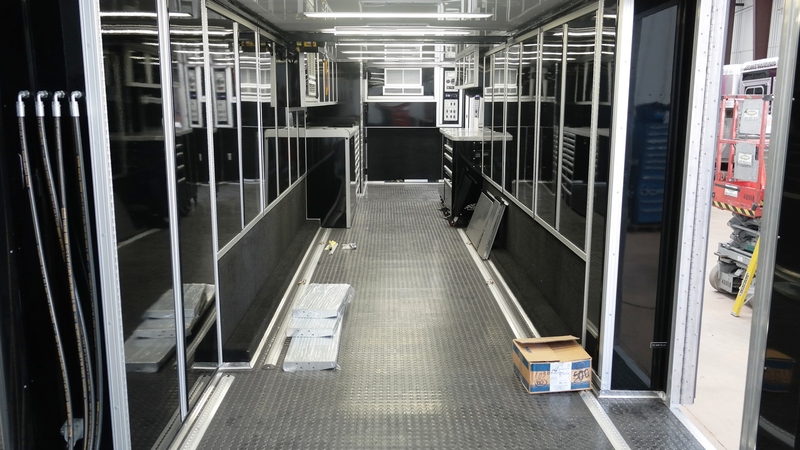 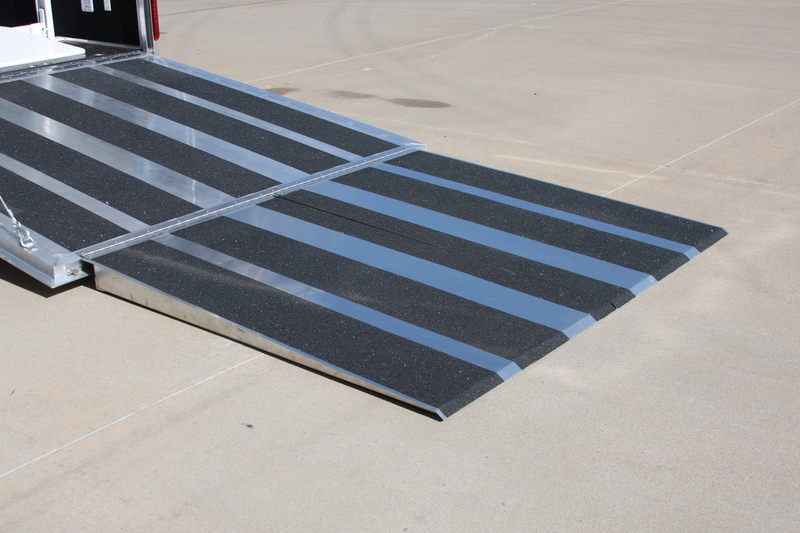 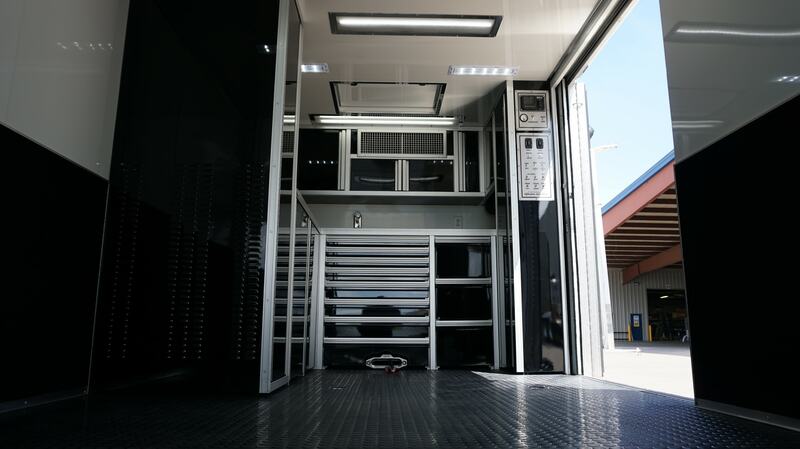 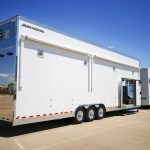 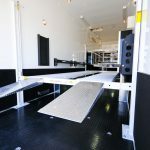 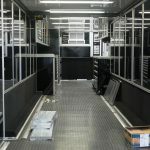 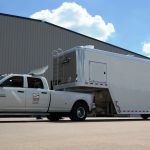 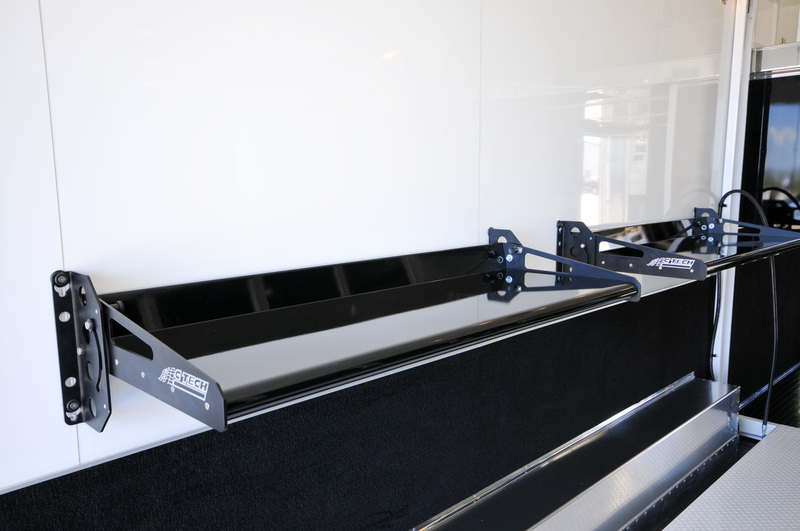 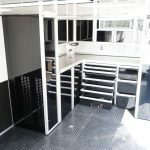 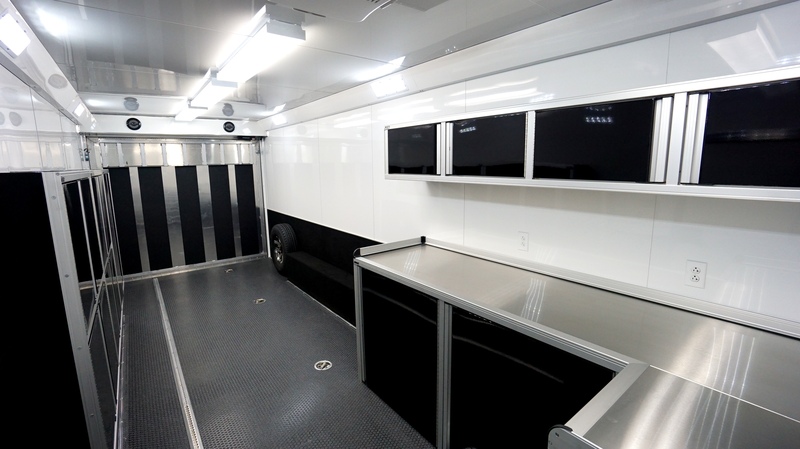 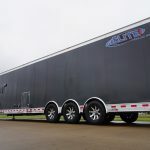 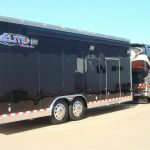 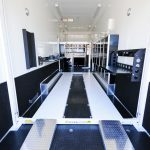 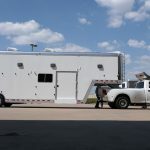 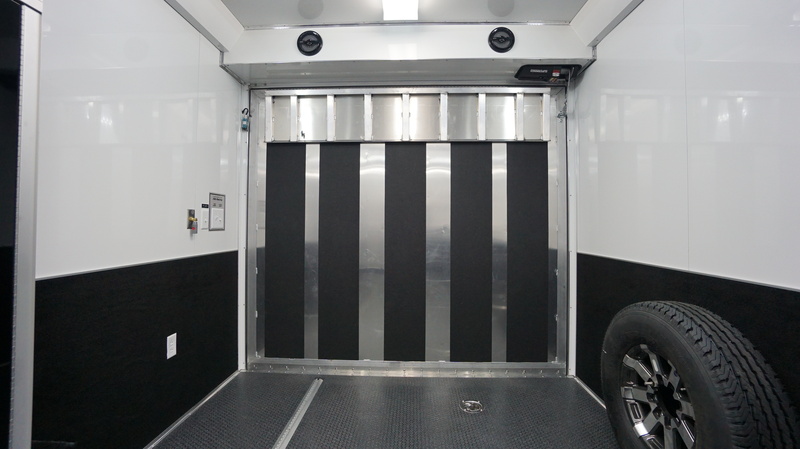 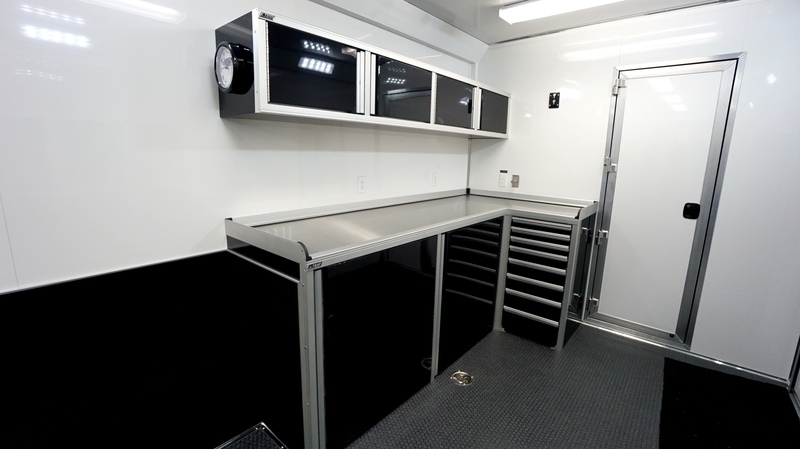 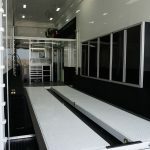 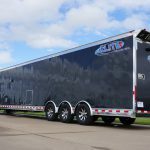 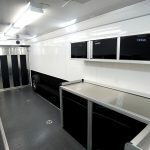 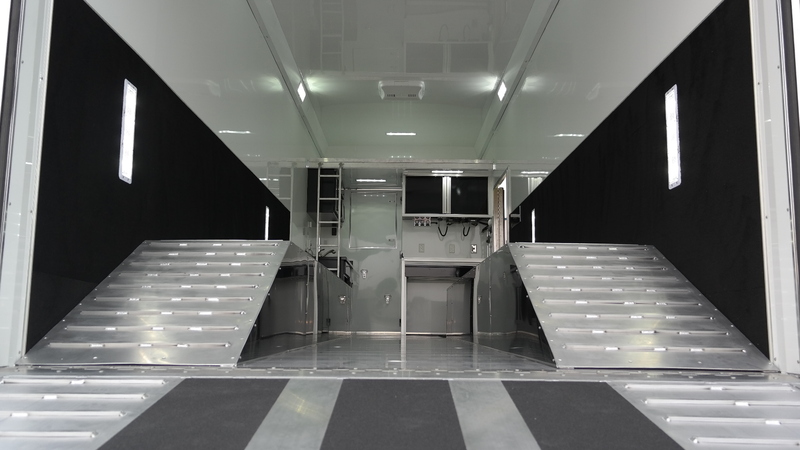 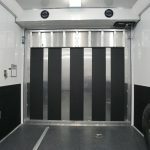 Road ability, aerodynamics and custom exterior graphics are all taken into account and designed to make Elite Custom Aluminum Motorsports Trailers a complete combination of aesthetics and practical value. 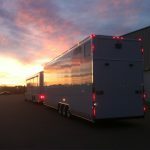 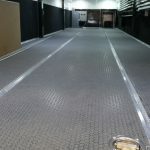 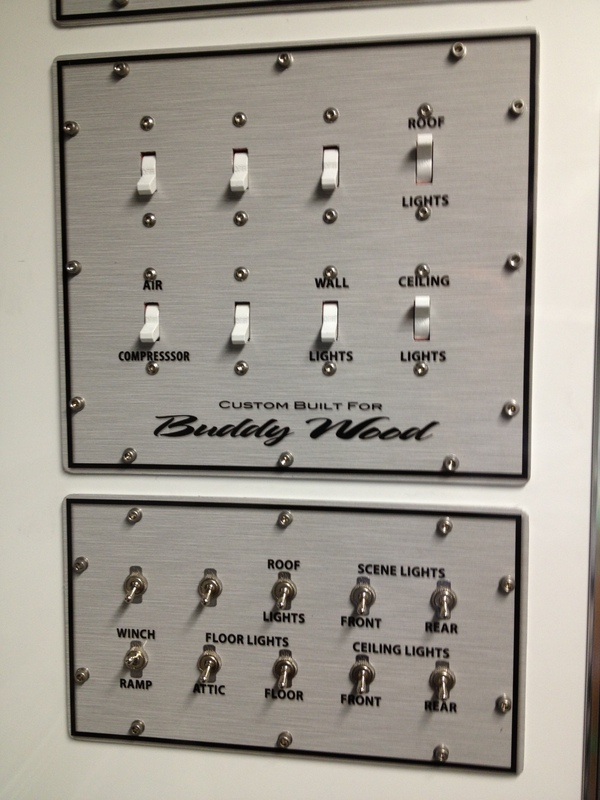 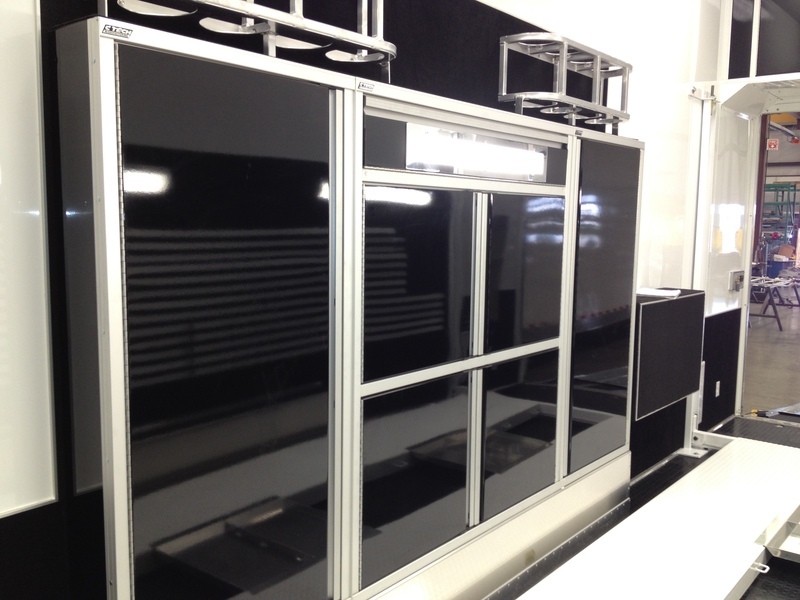 No matter what you do, from a sportsman to pro racer, if you can dream it; we can build it! 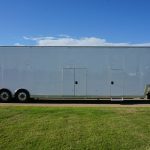 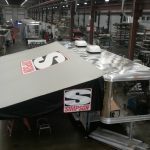 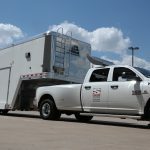 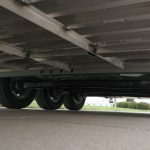 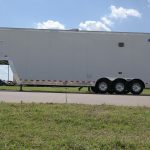 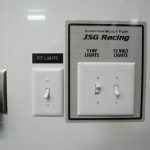 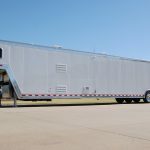 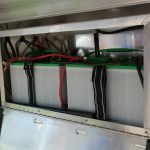 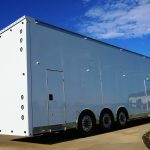 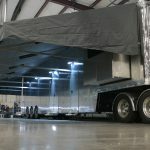 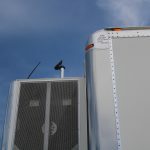 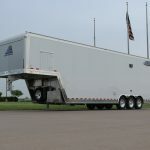 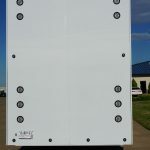 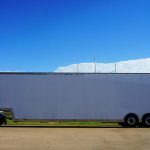 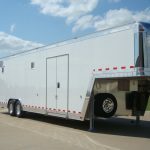 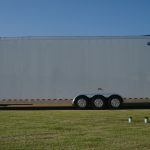 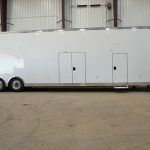 Tractor Pulling, Drag Racing, Sprint Cars, Baha, Classic Cars, we can build a unique, custom-designed trailer to suit both your personality and your needs. 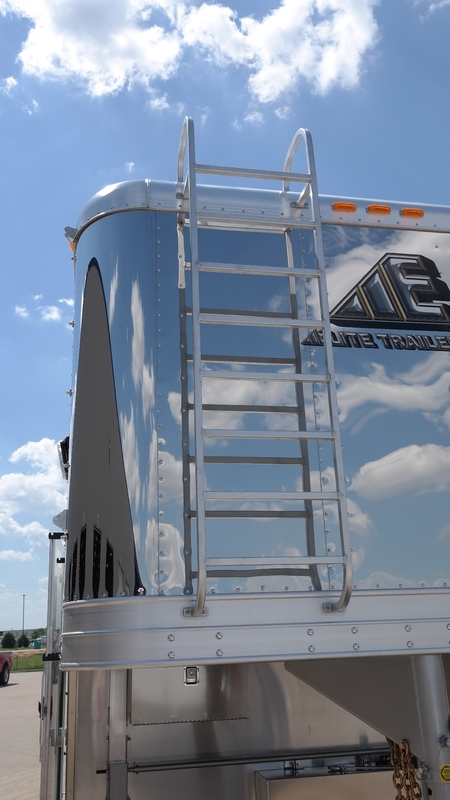 We urge you to compare our craftsmanship, our capability to deliver what you want and the performance of our trailers to anybody else. 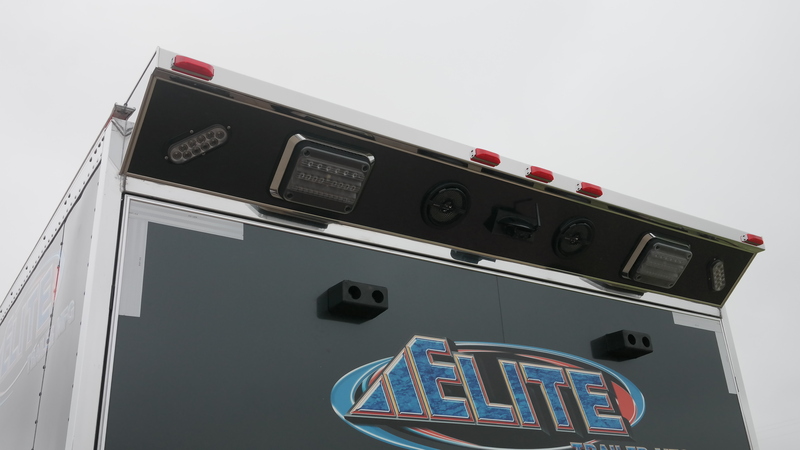 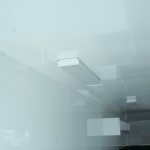 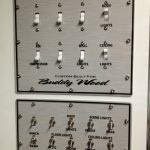 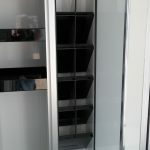 We think you'll agree there is a quality difference you can actually see. 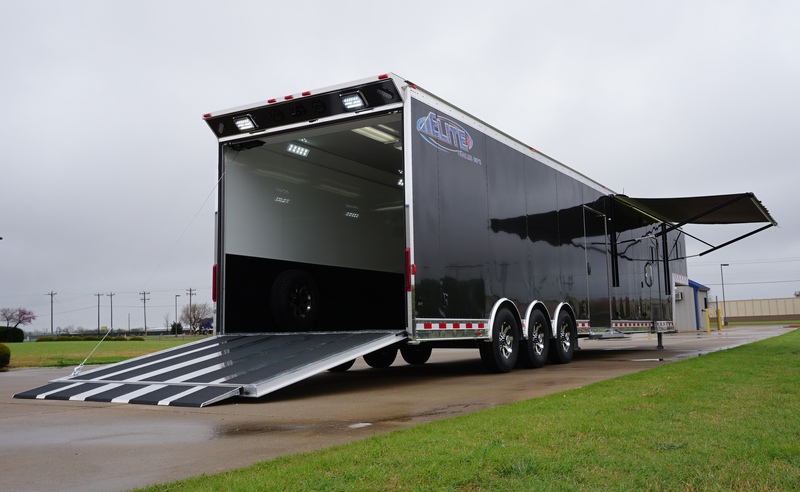 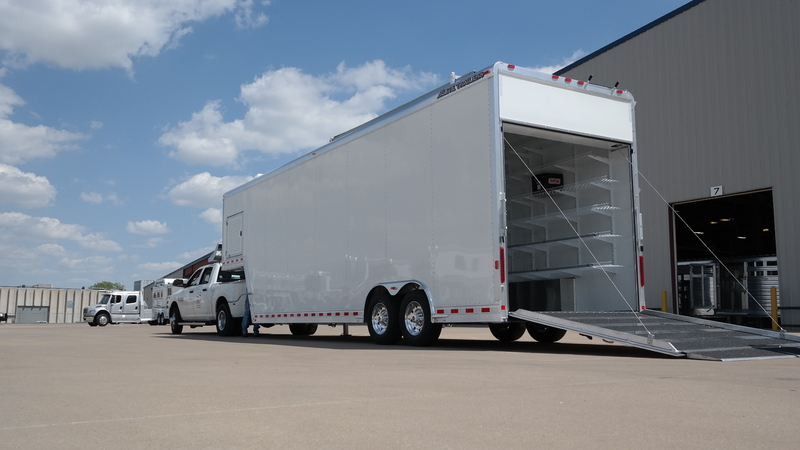 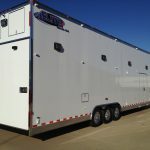 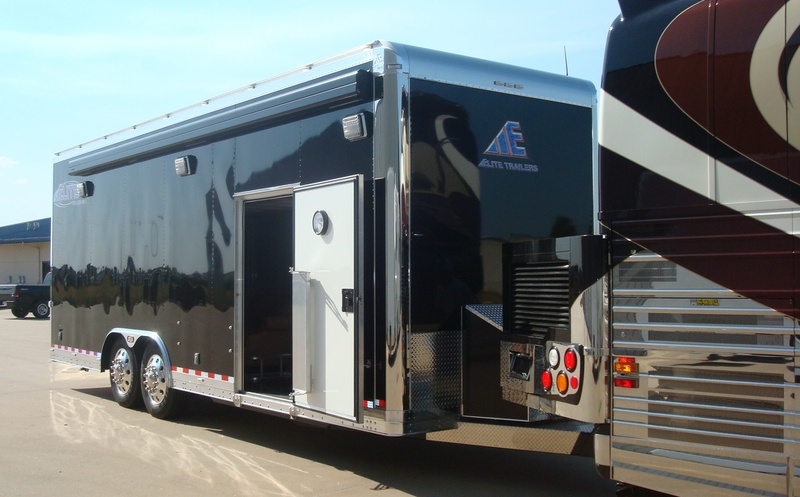 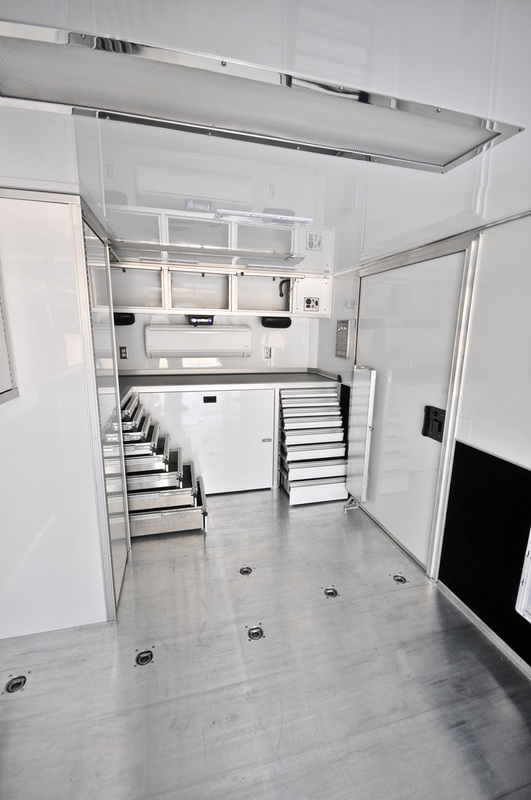 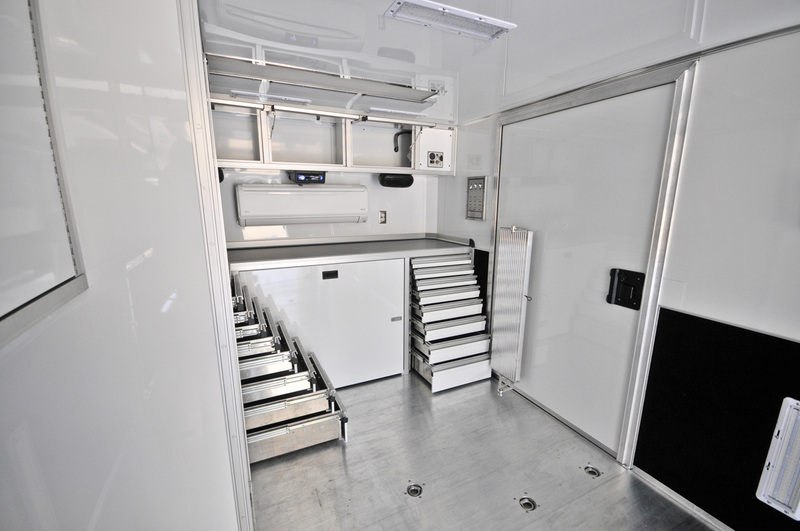 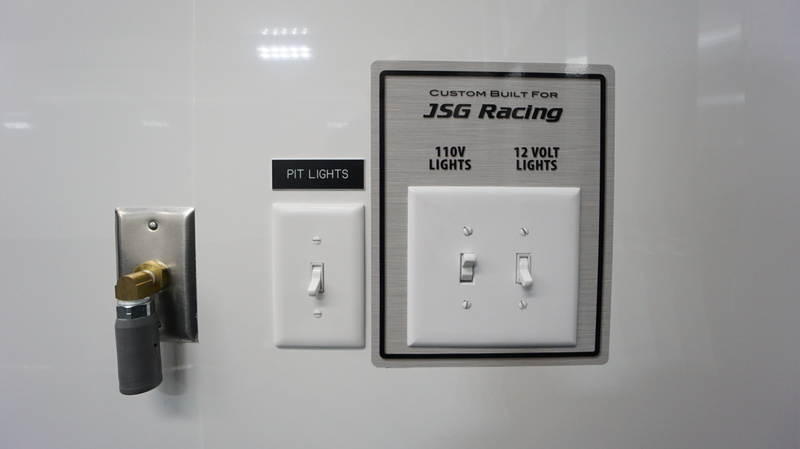 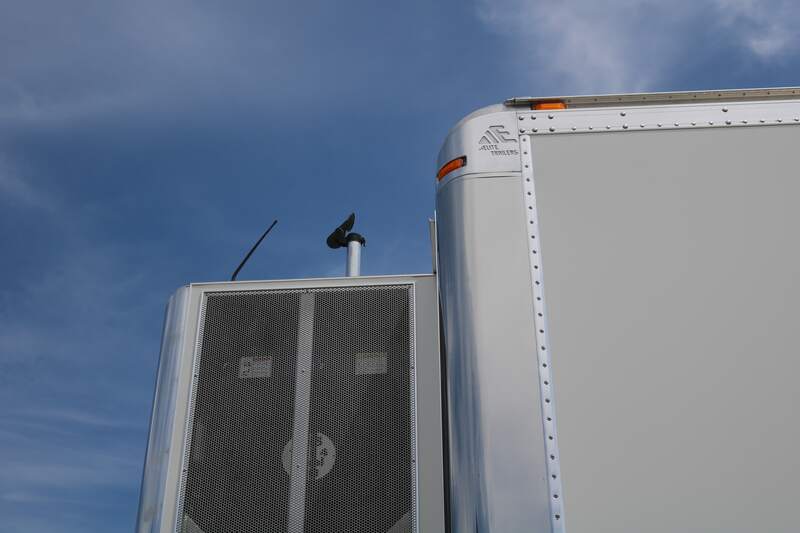 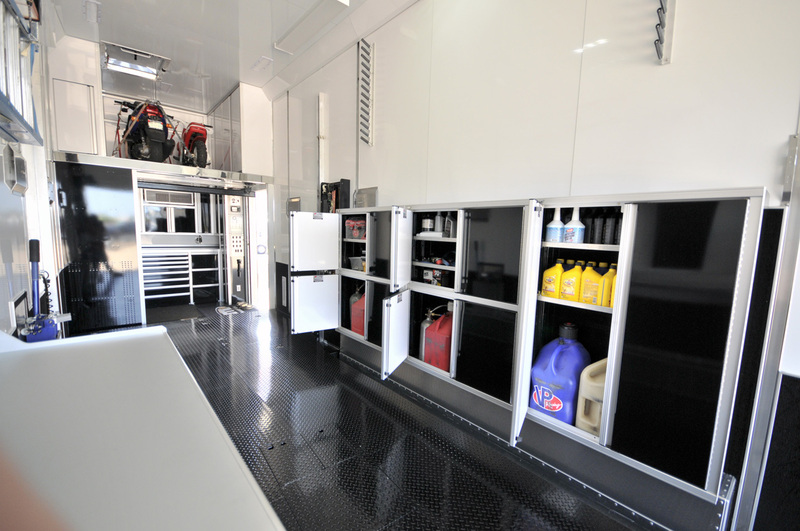 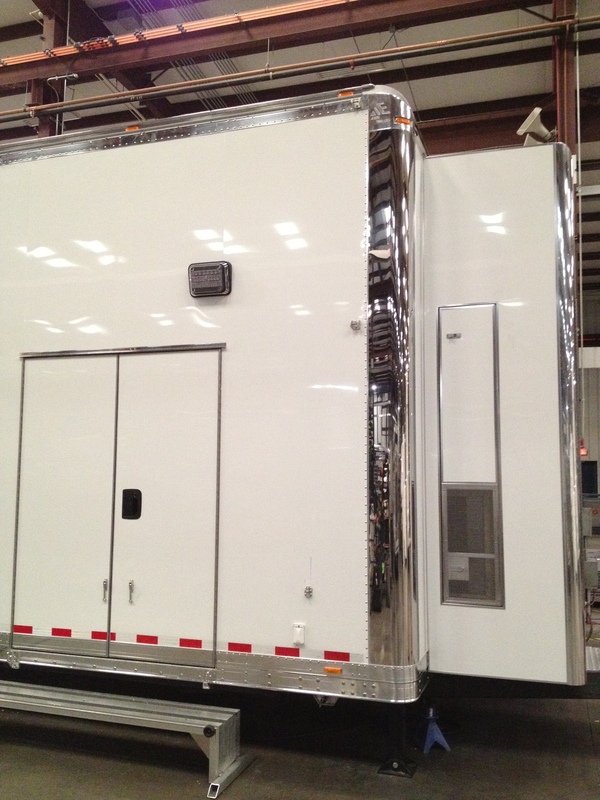 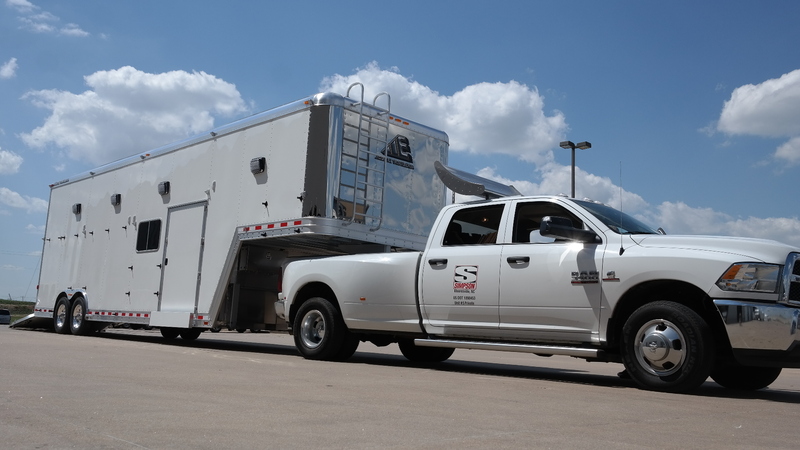 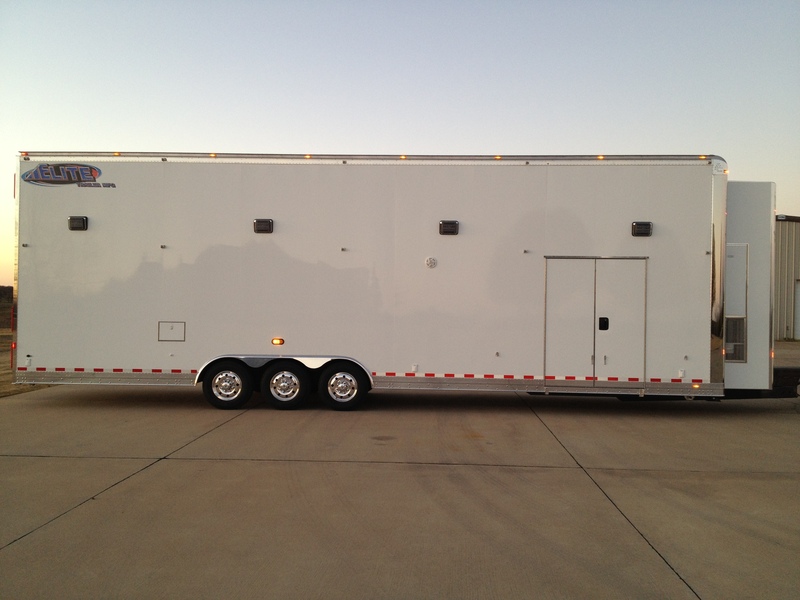 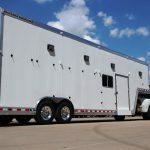 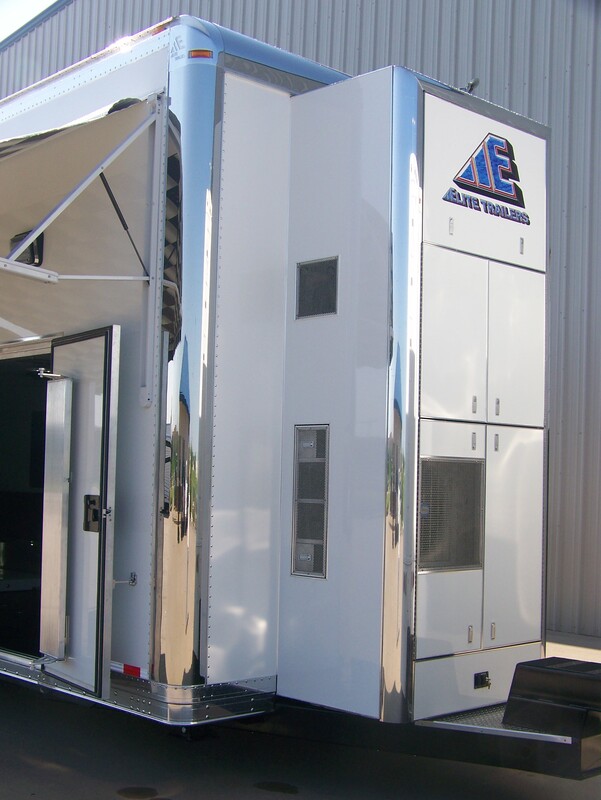 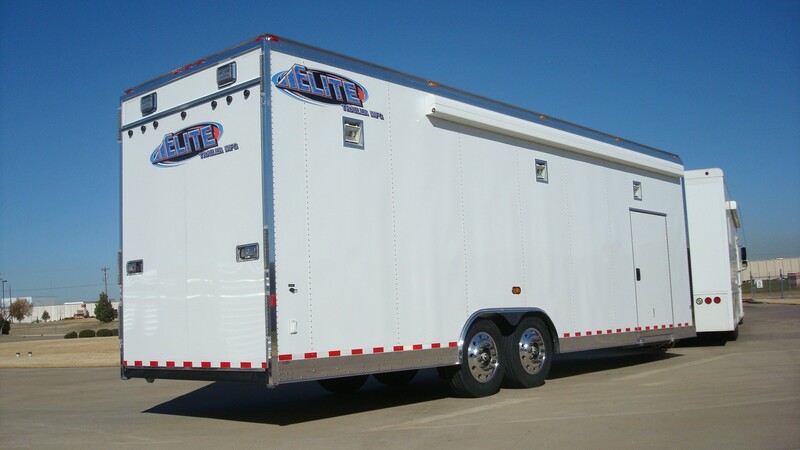 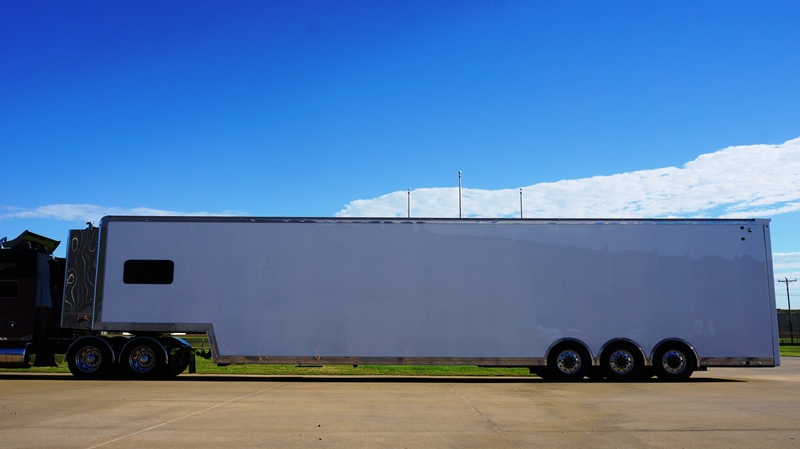 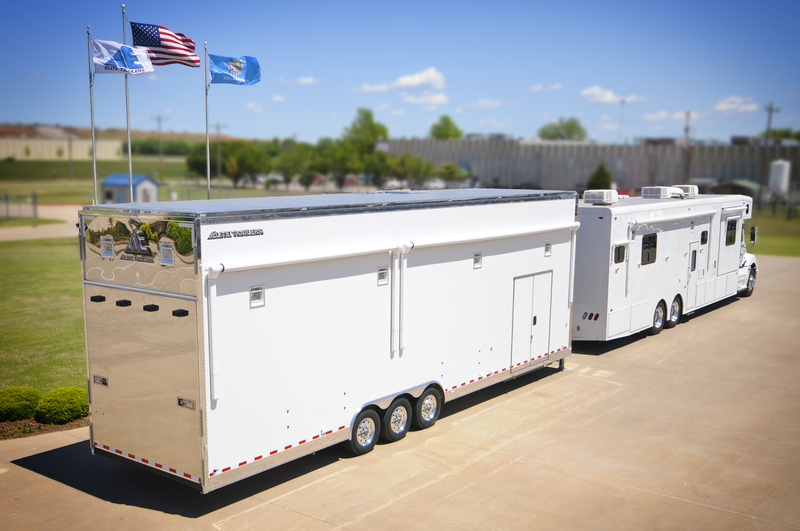 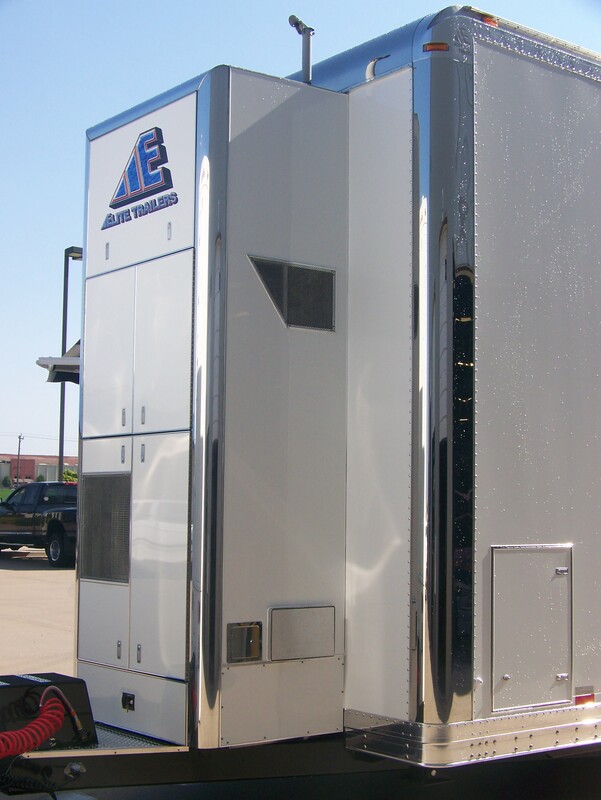 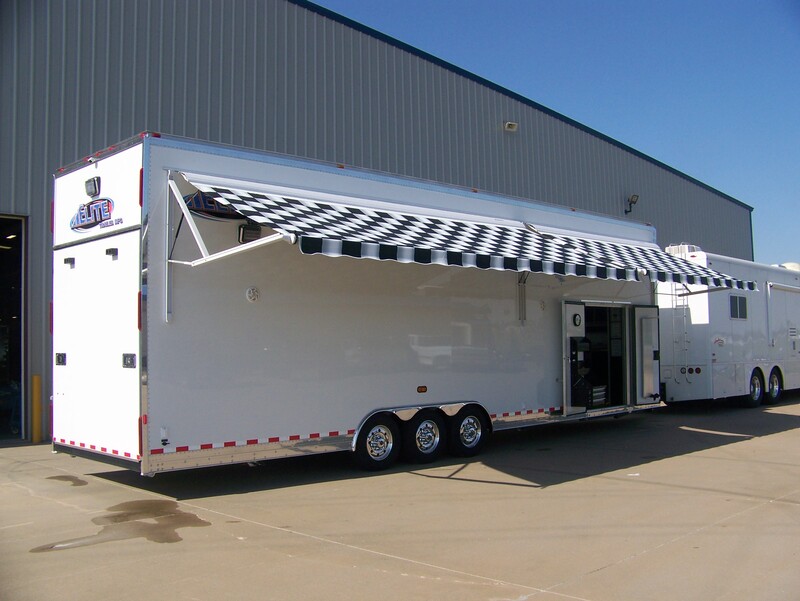 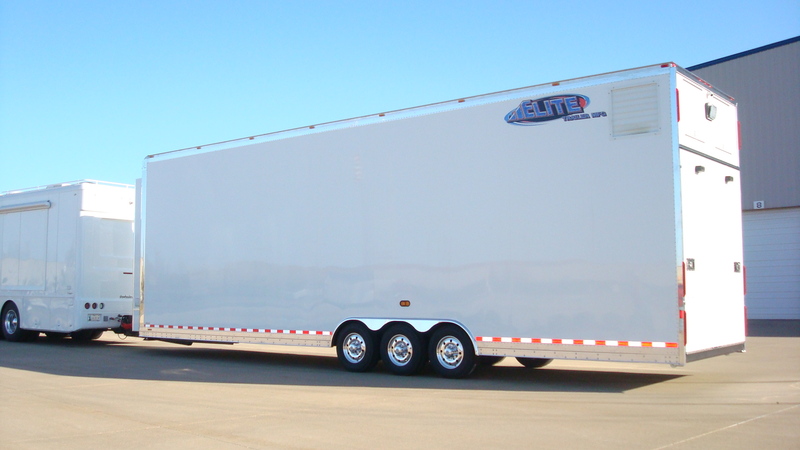 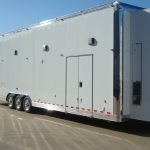 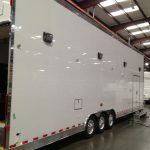 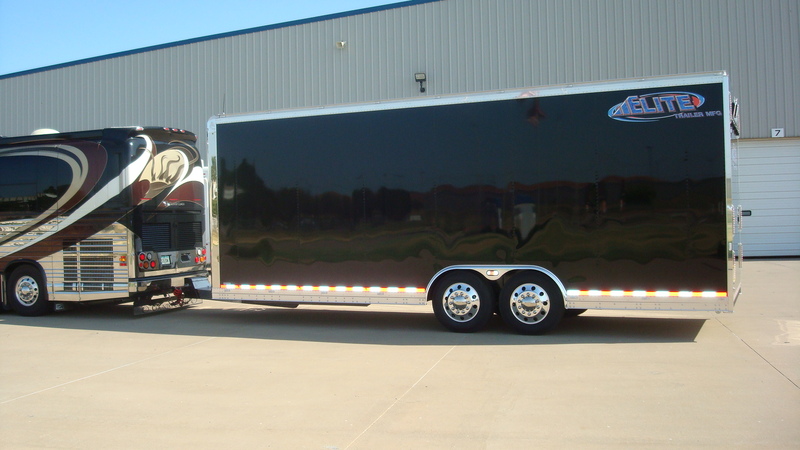 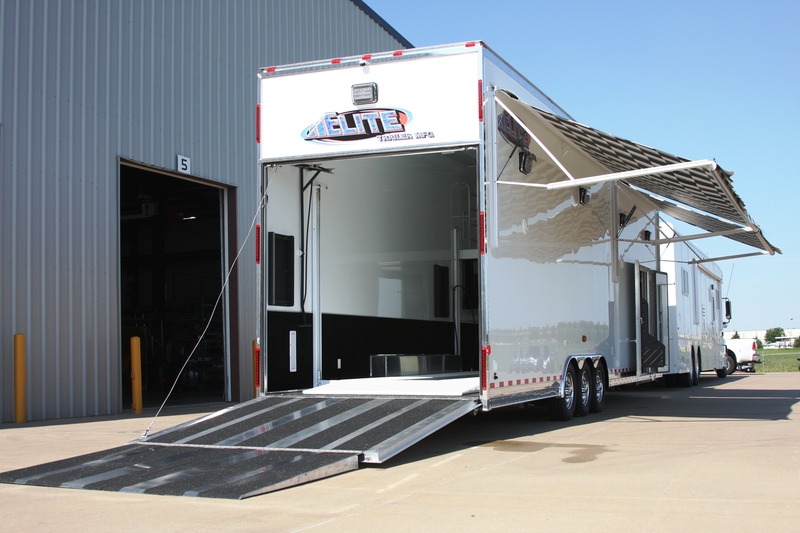 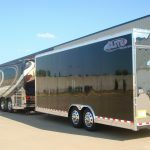 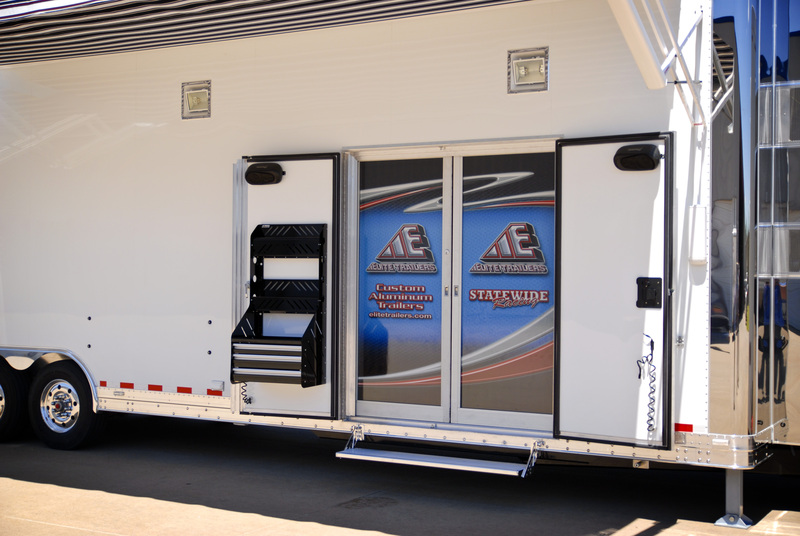 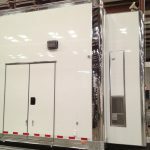 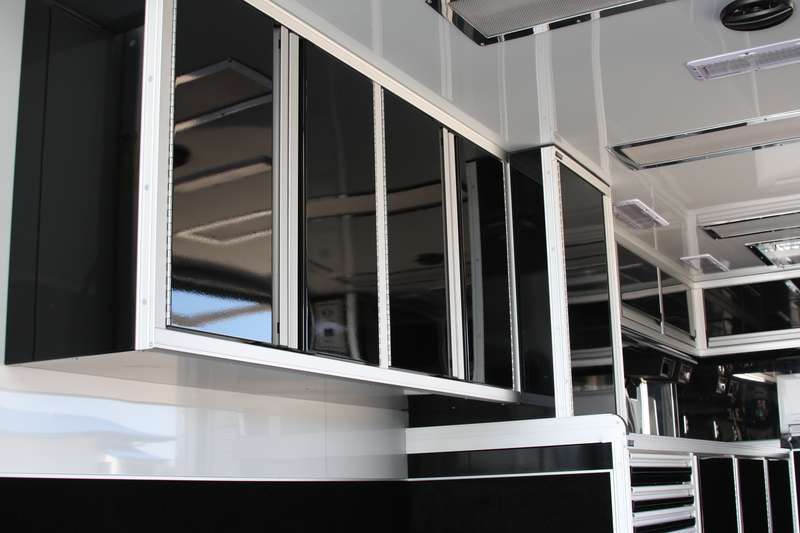 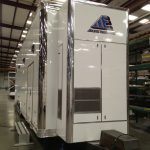 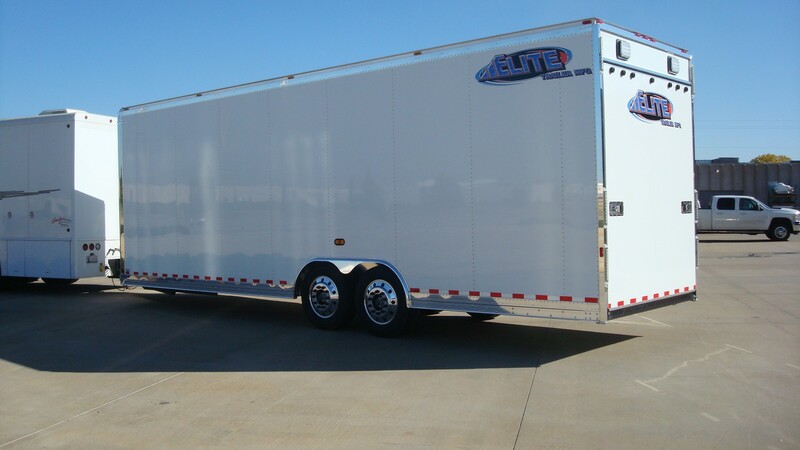 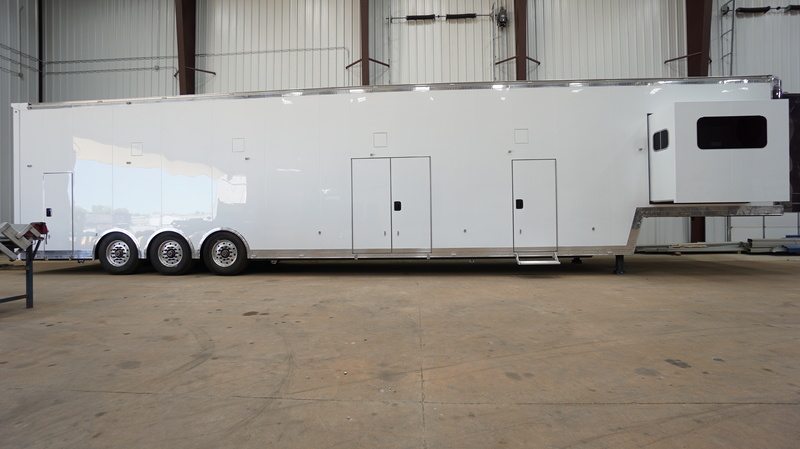 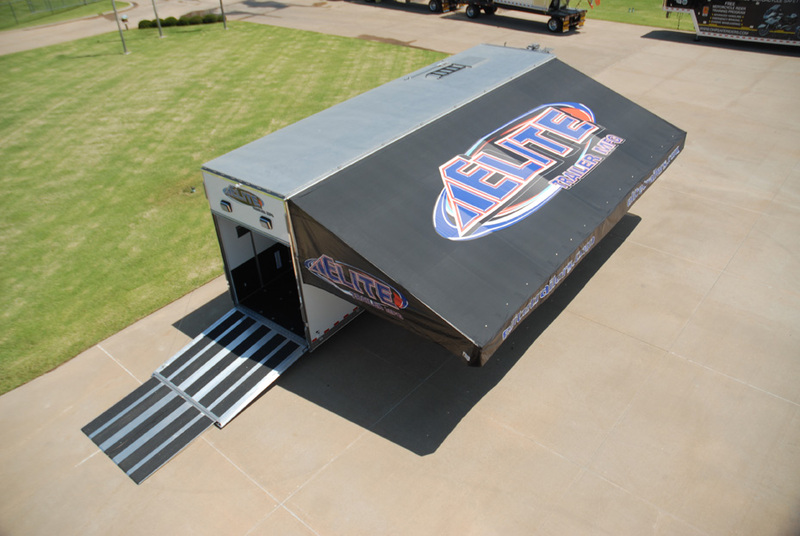 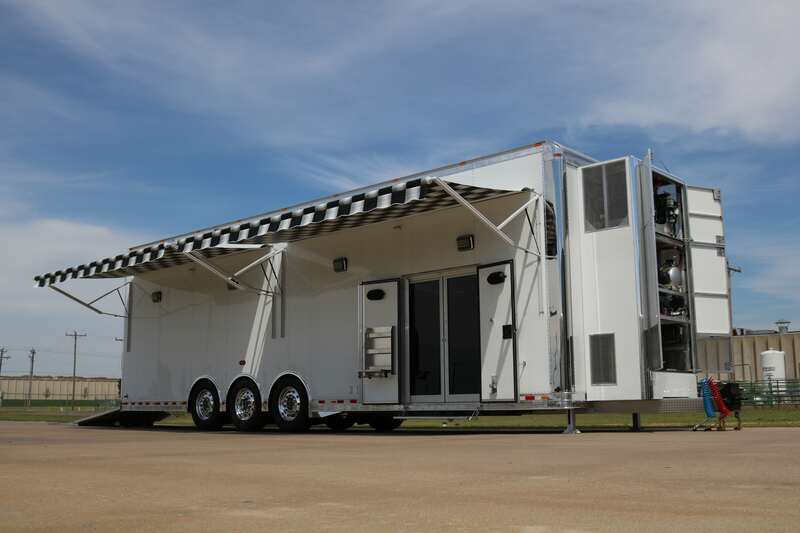 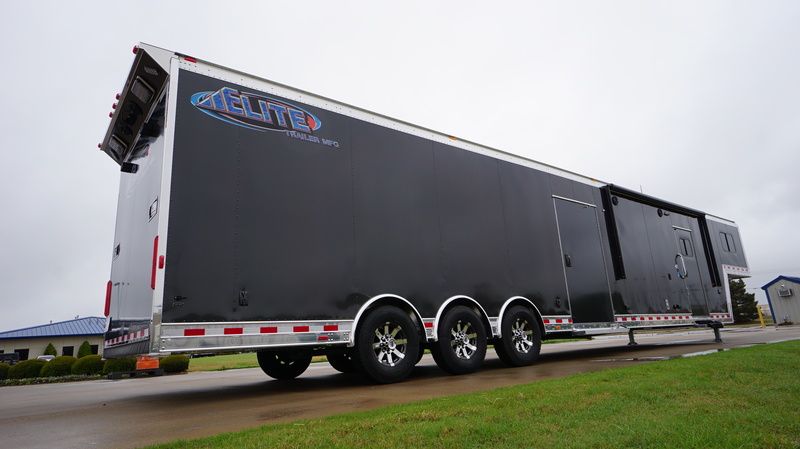 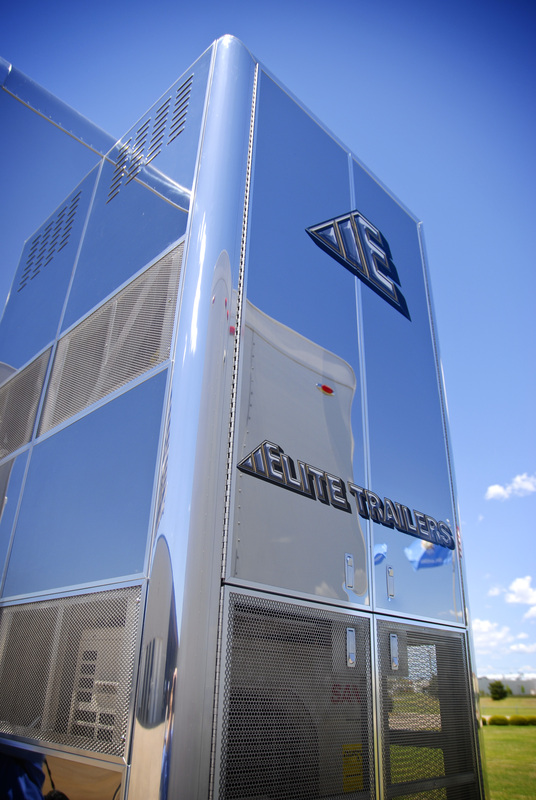 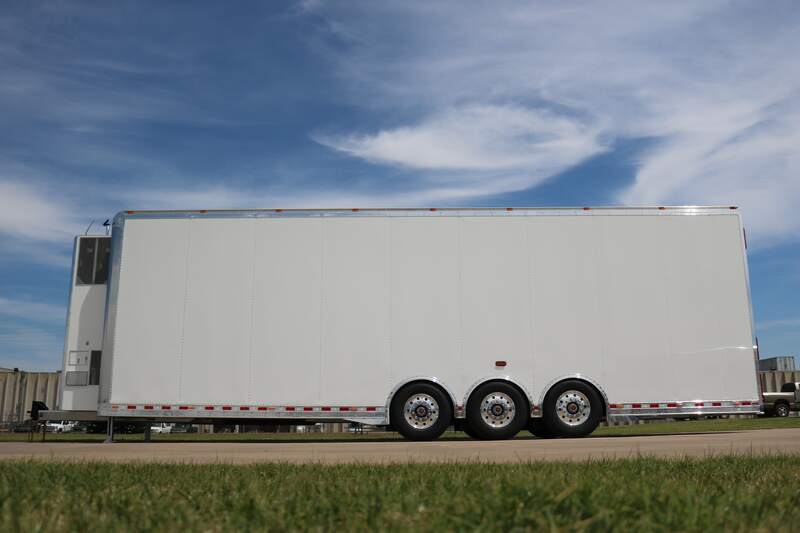 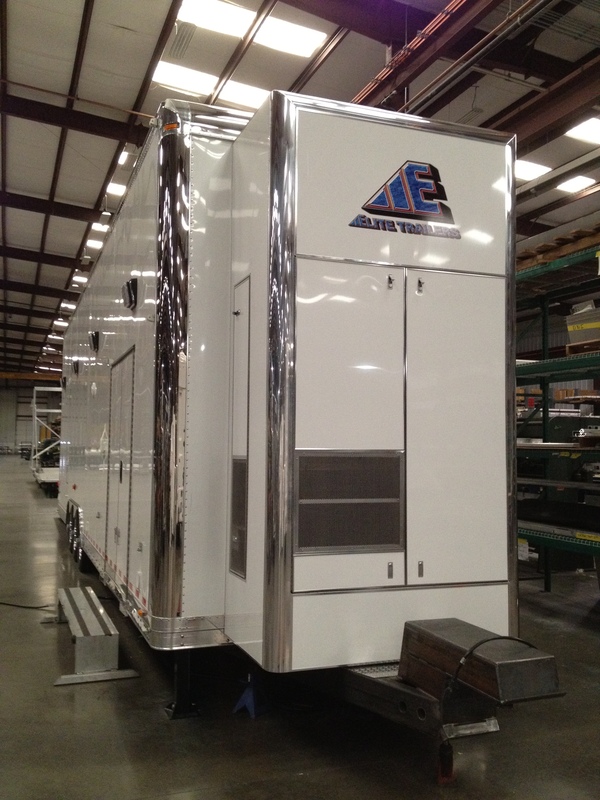 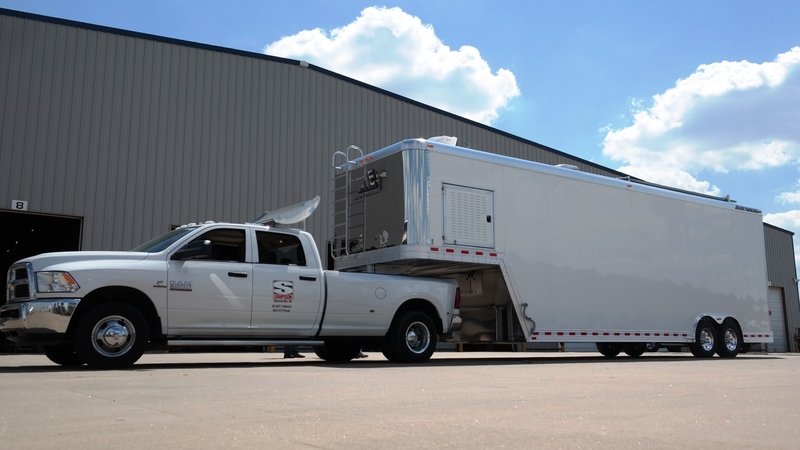 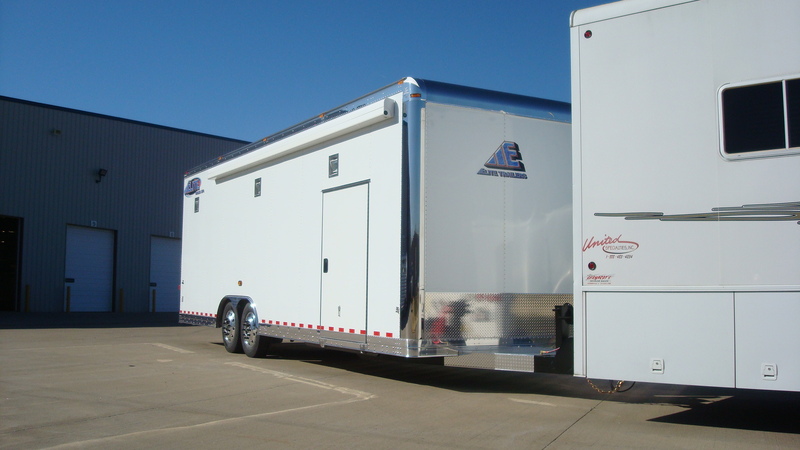 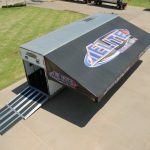 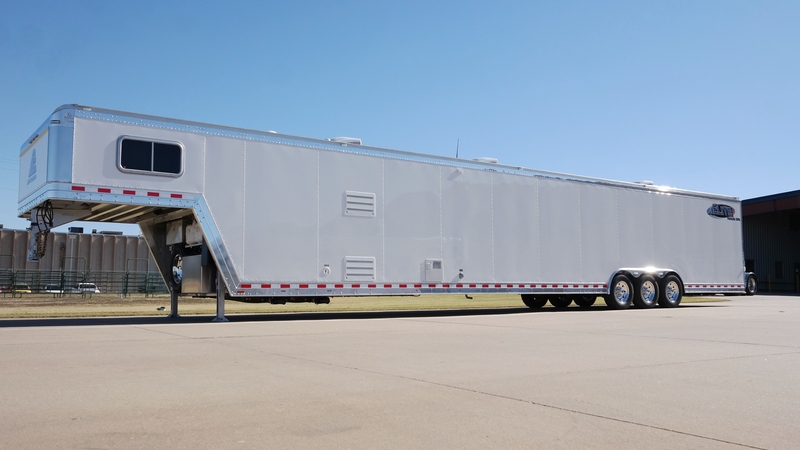 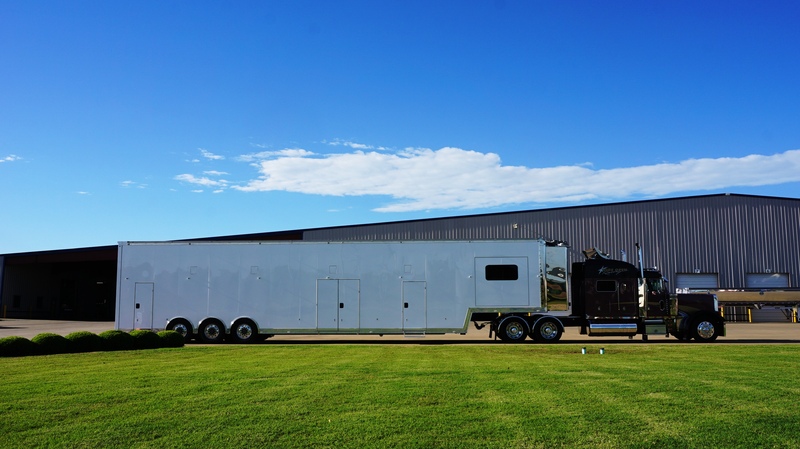 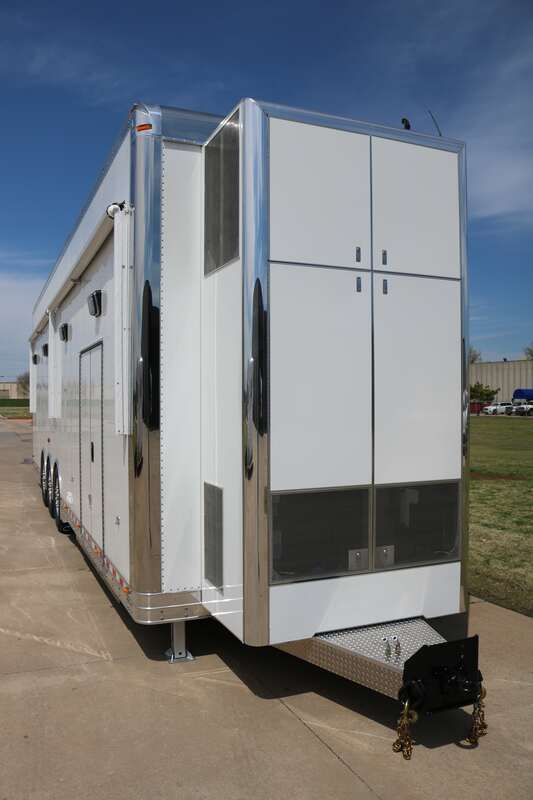 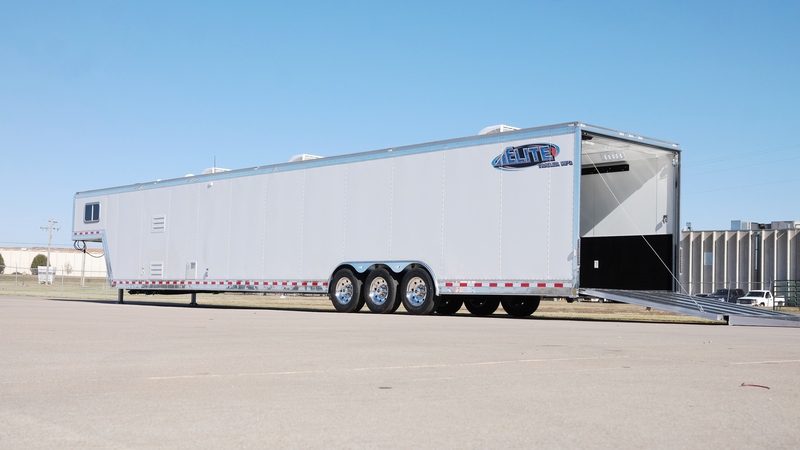 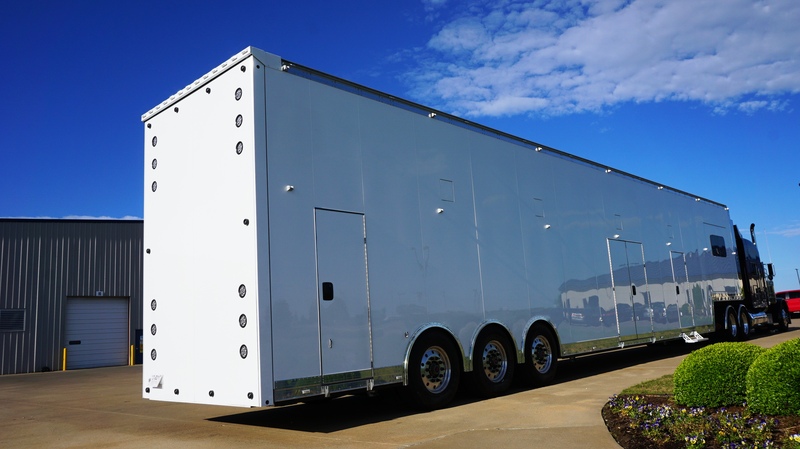 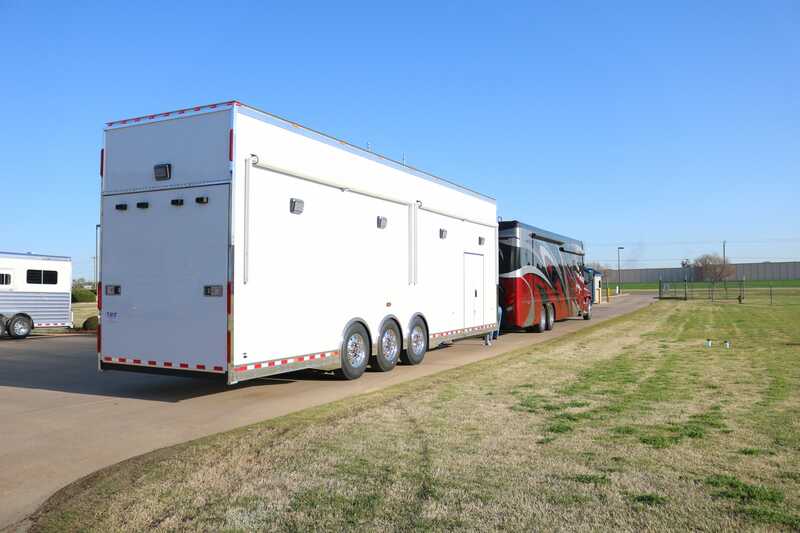 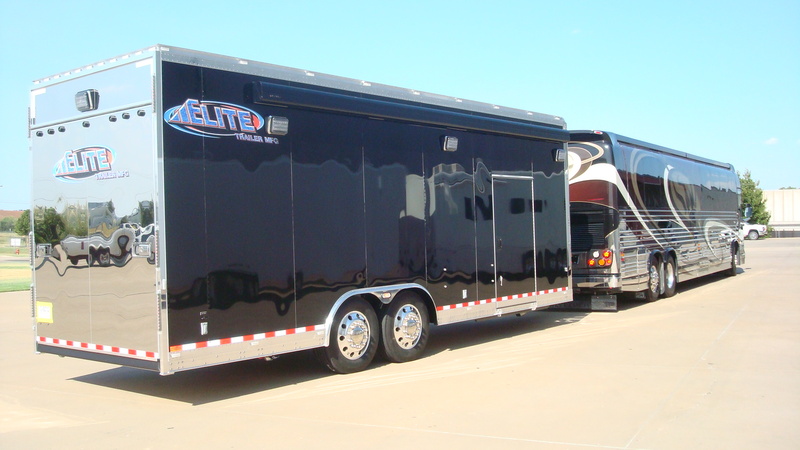 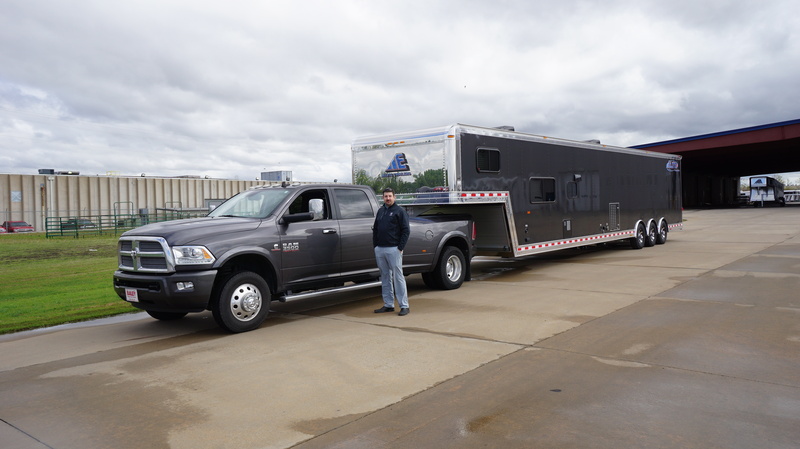 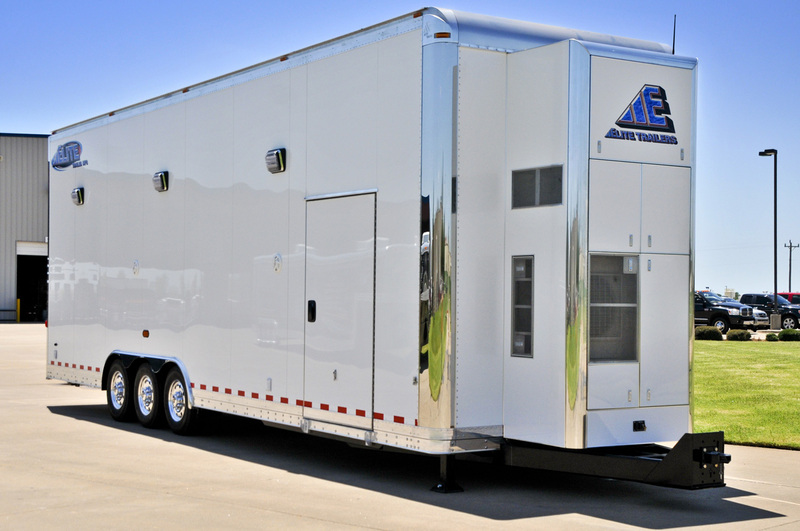 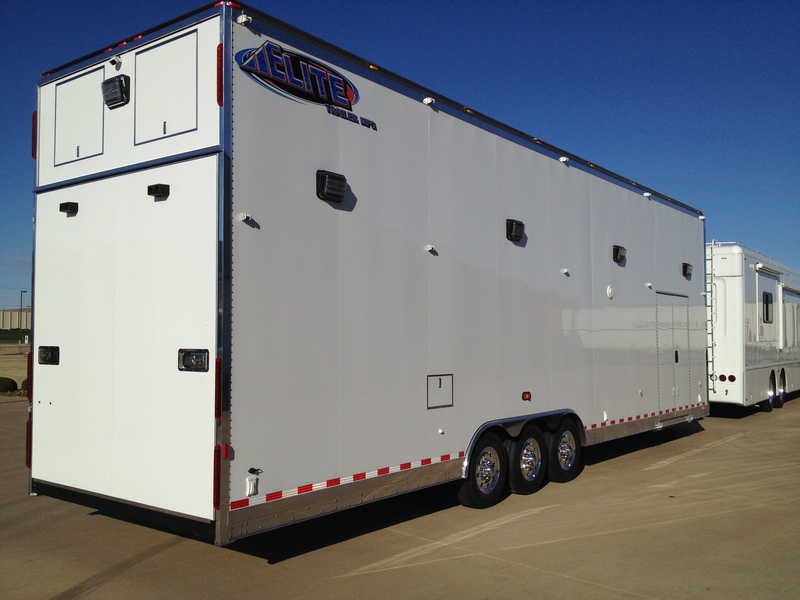 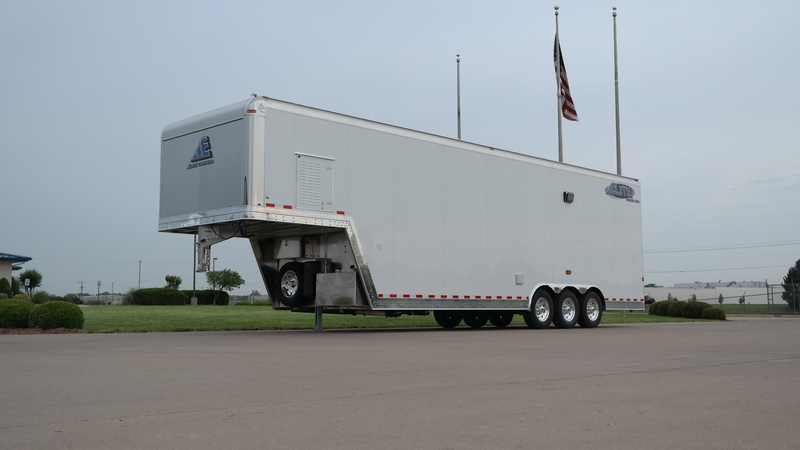 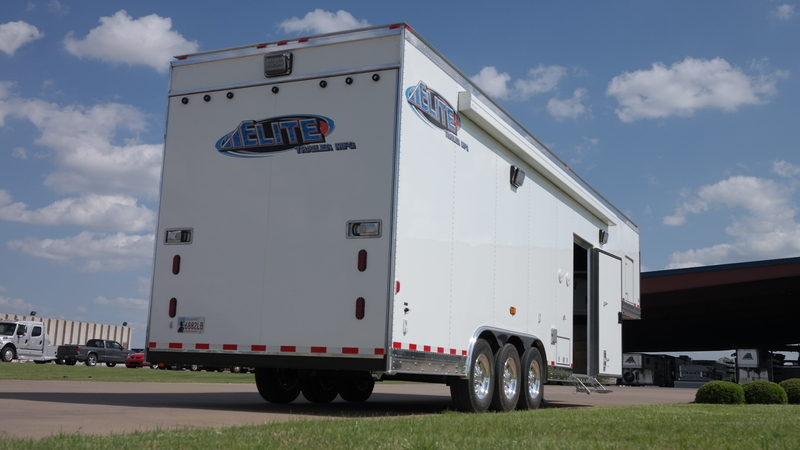 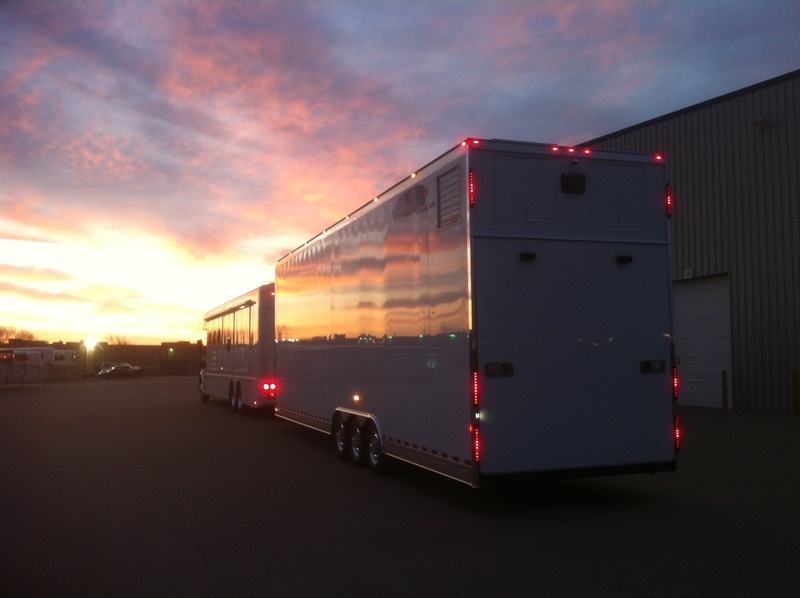 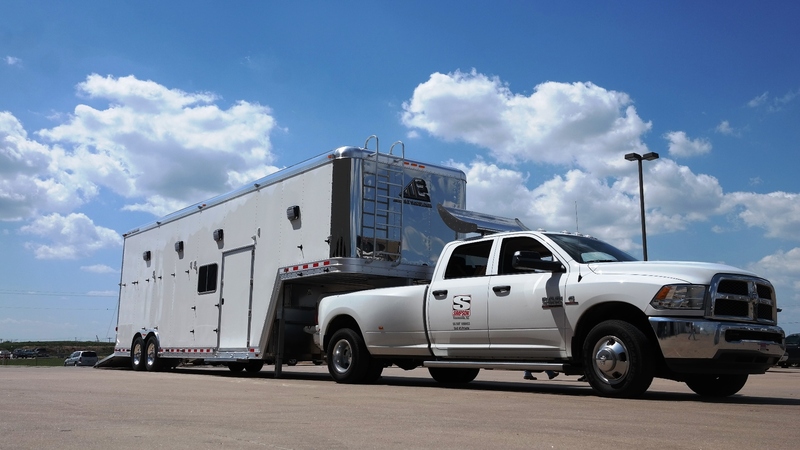 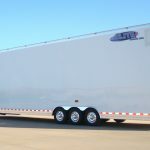 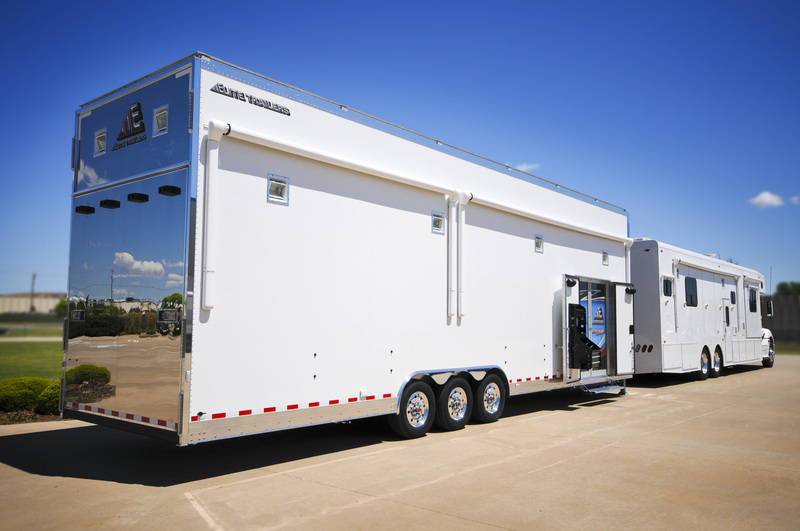 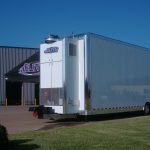 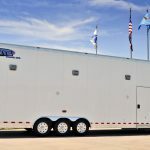 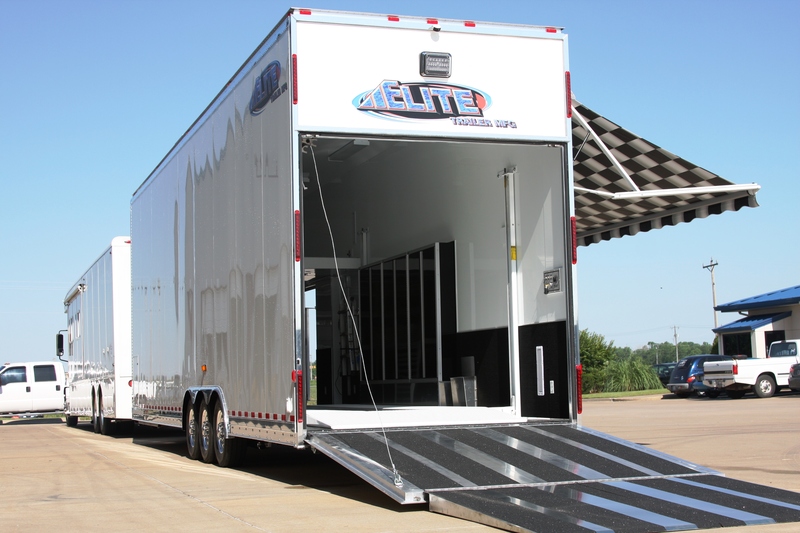 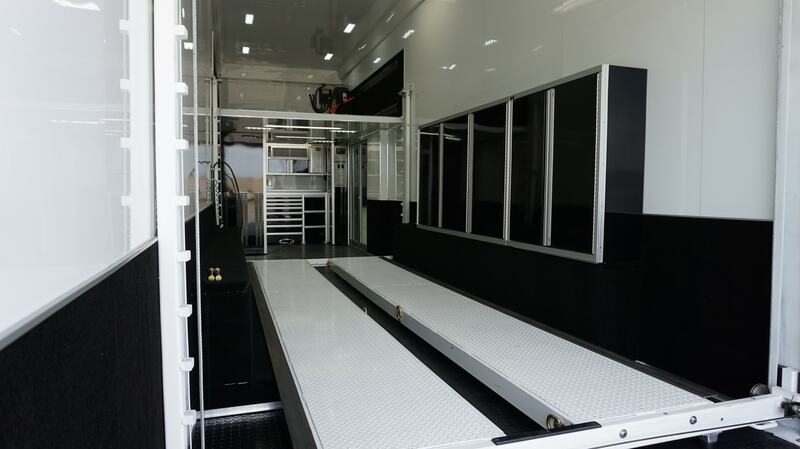 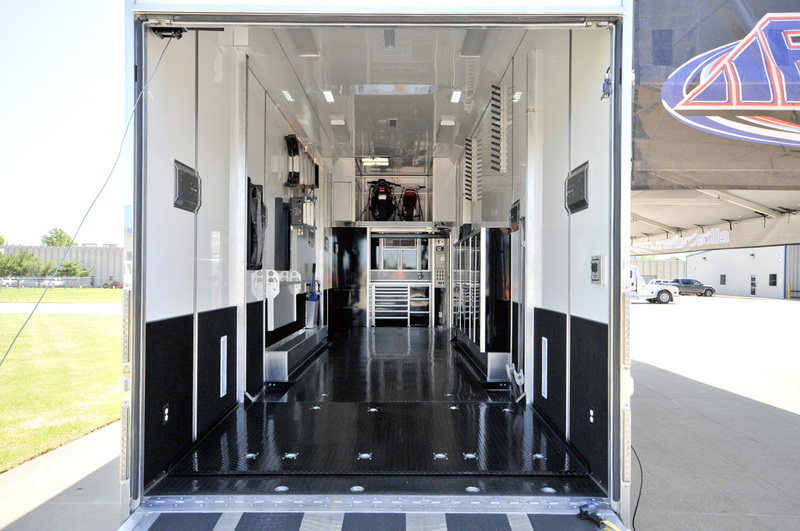 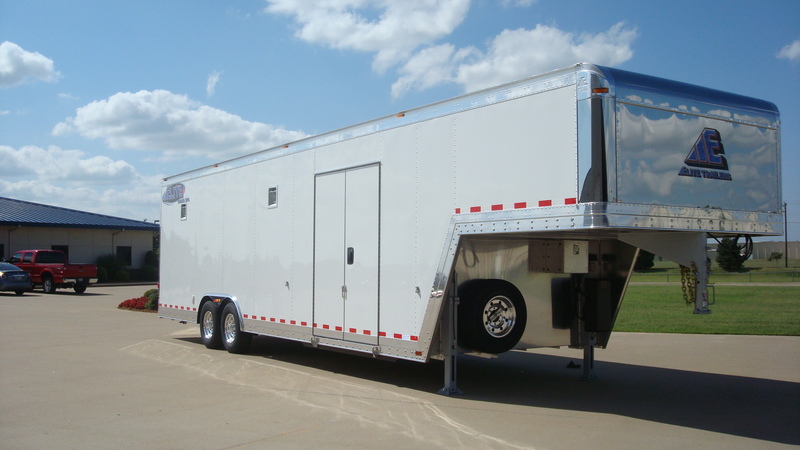 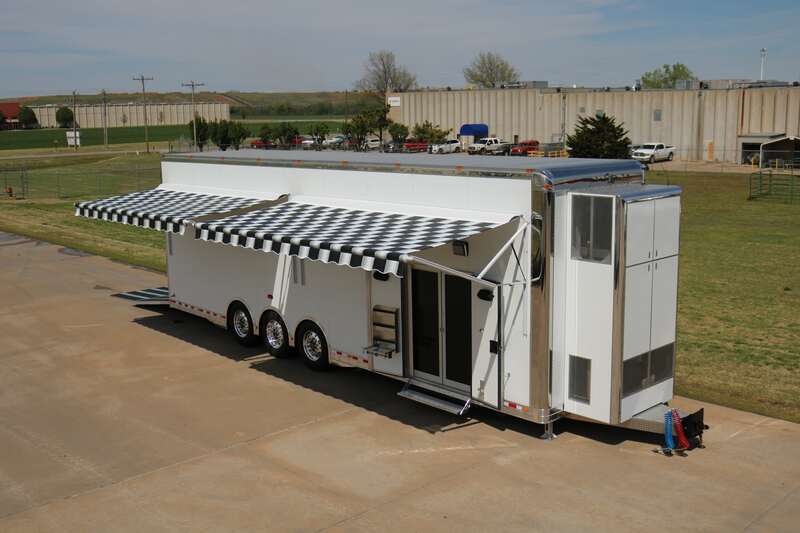 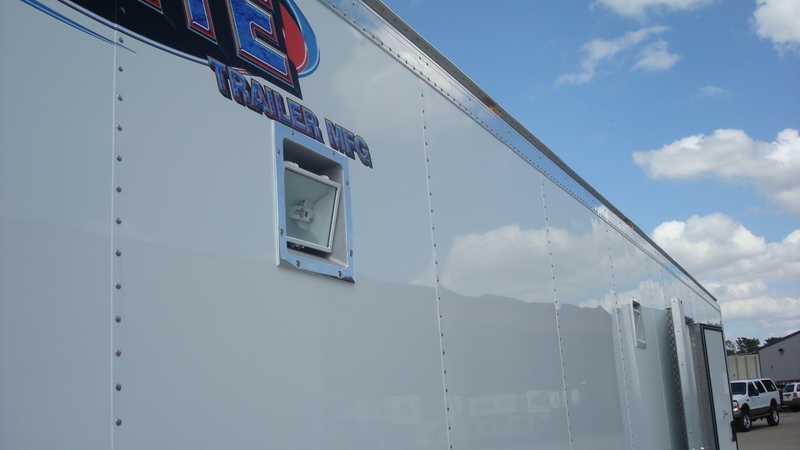 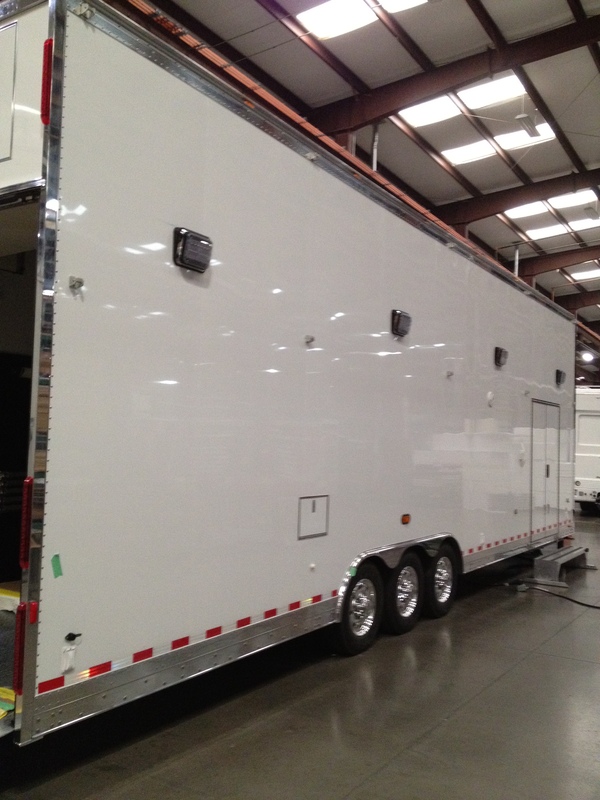 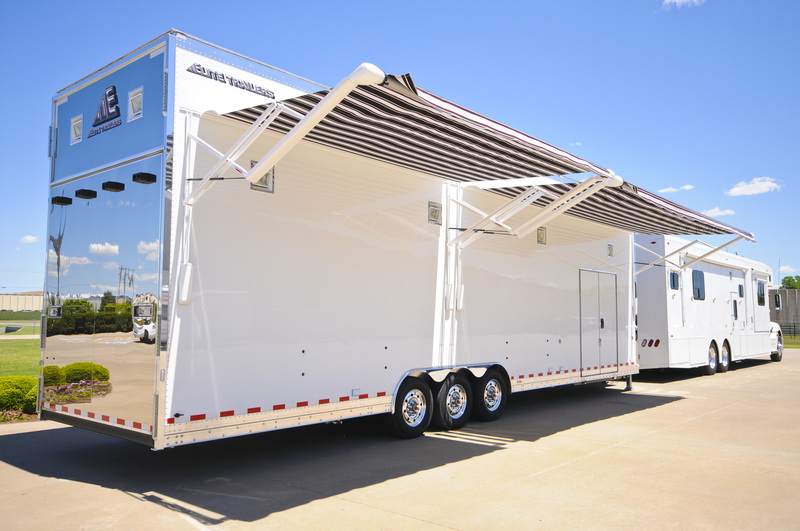 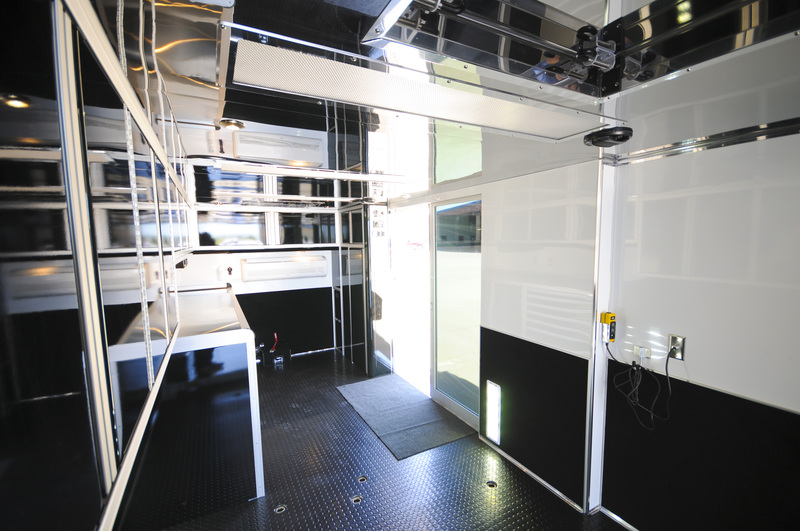 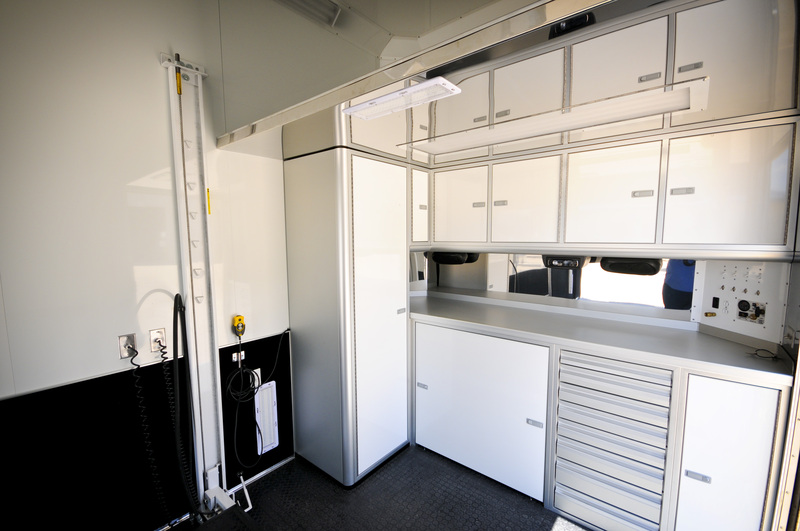 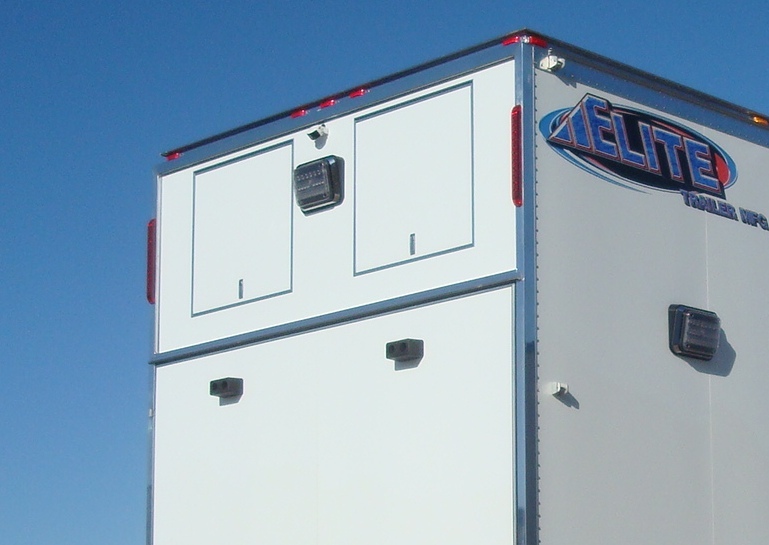 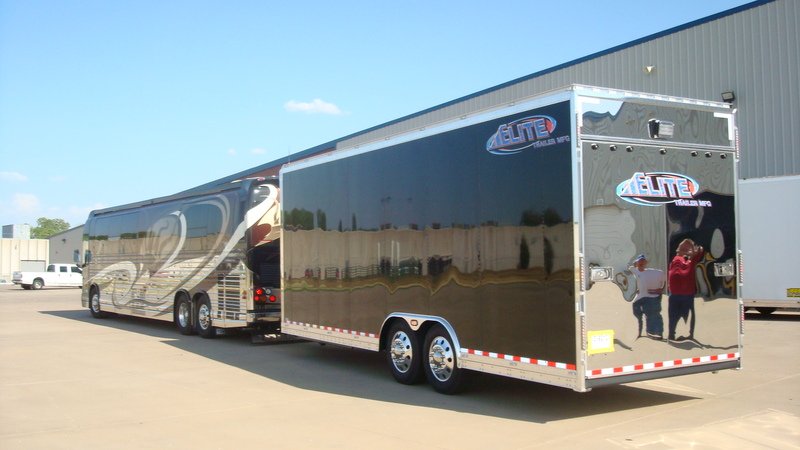 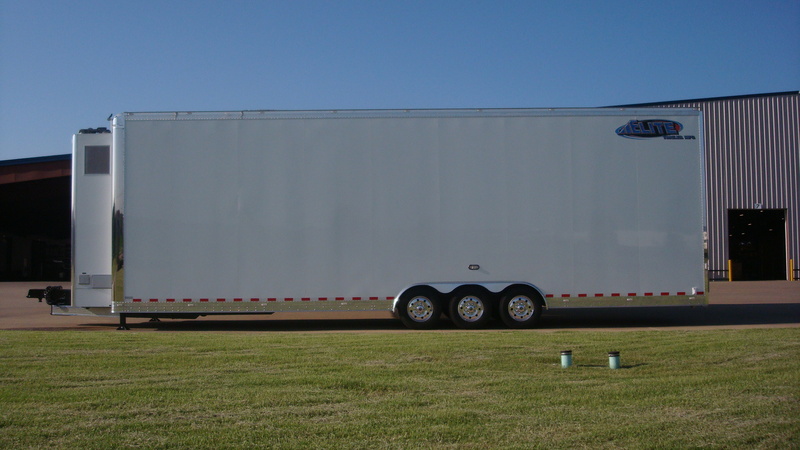 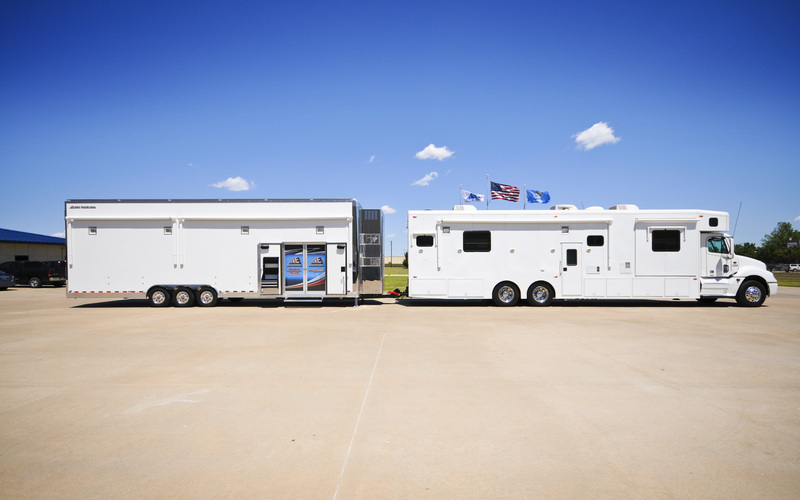 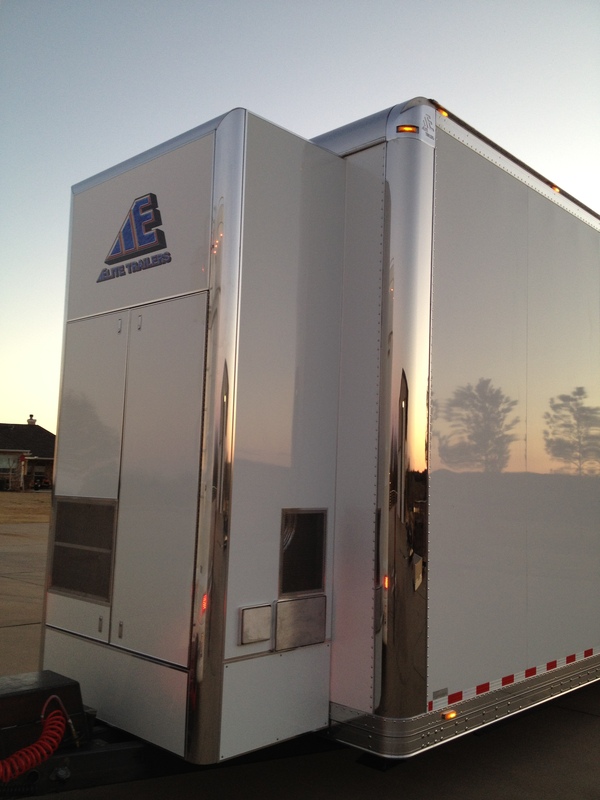 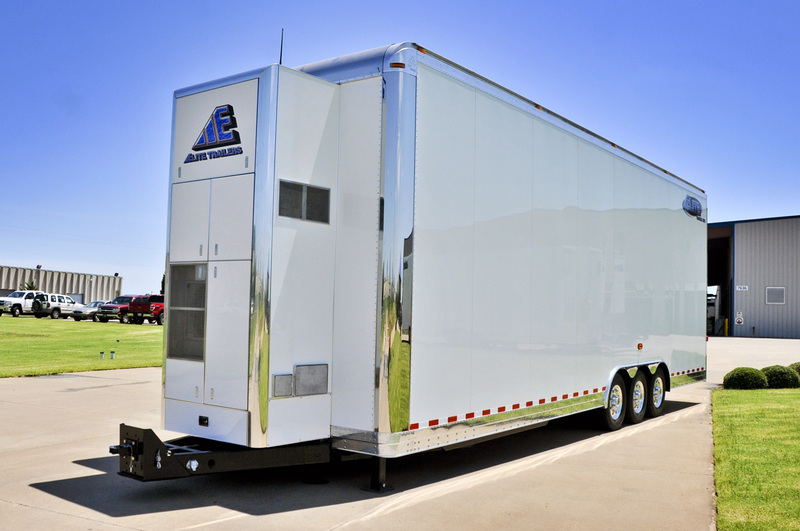 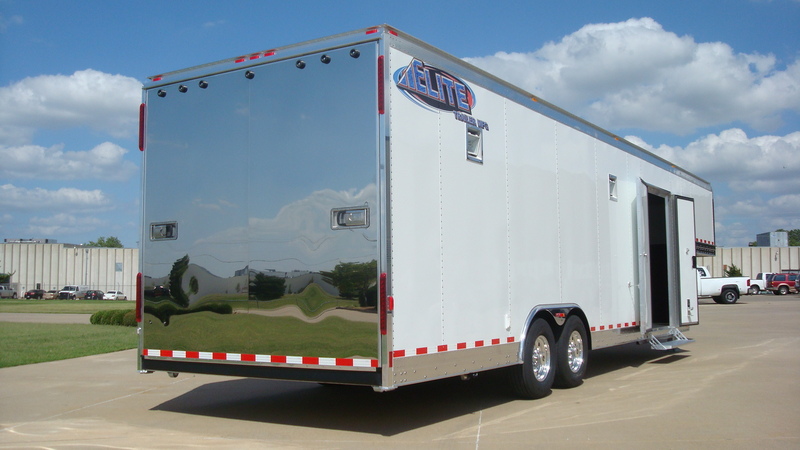 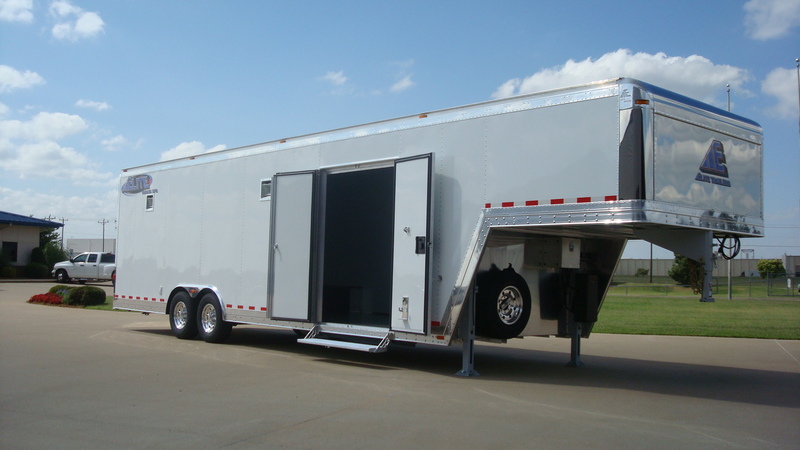 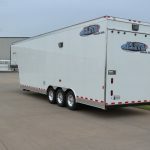 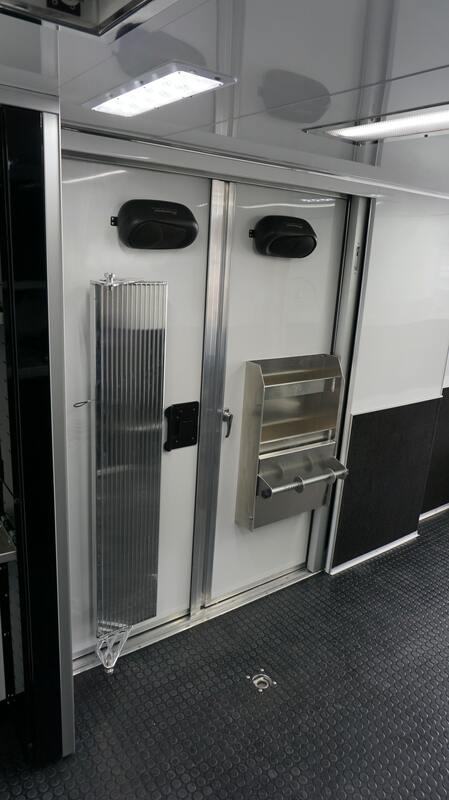 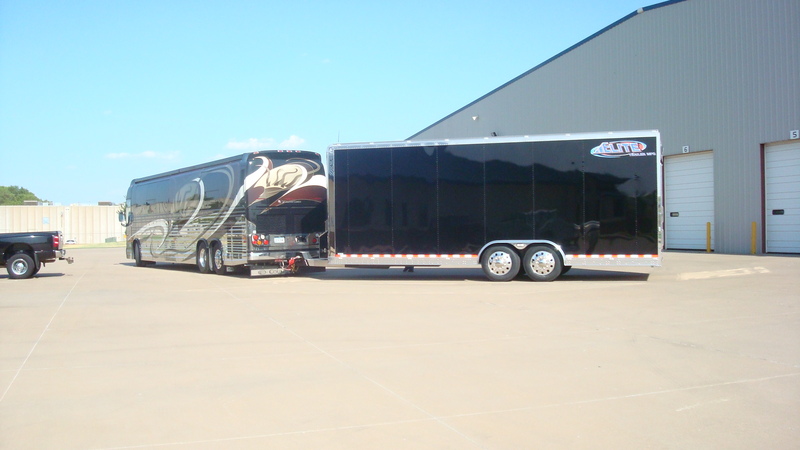 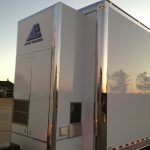 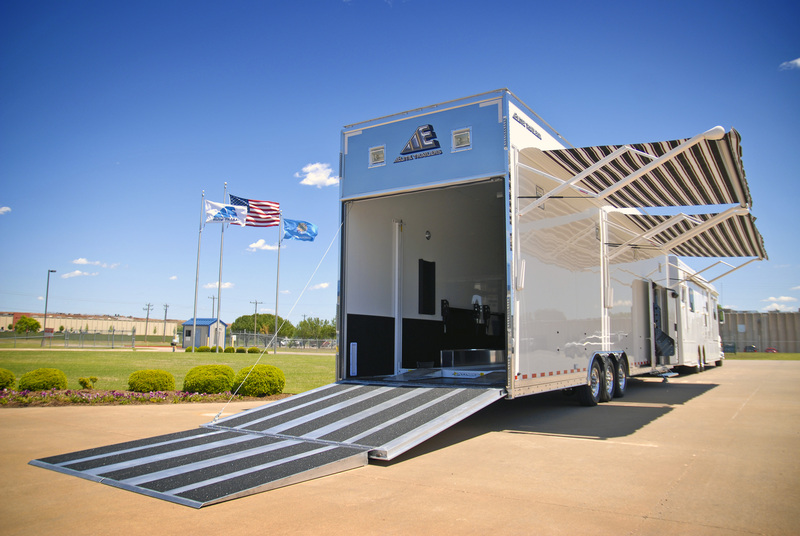 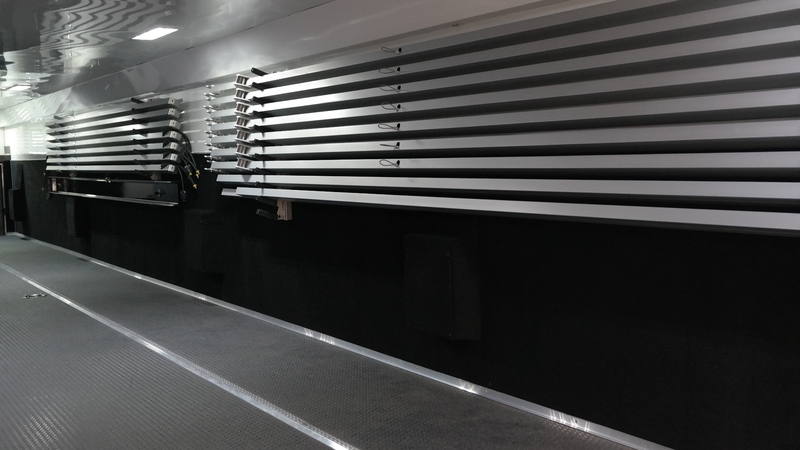 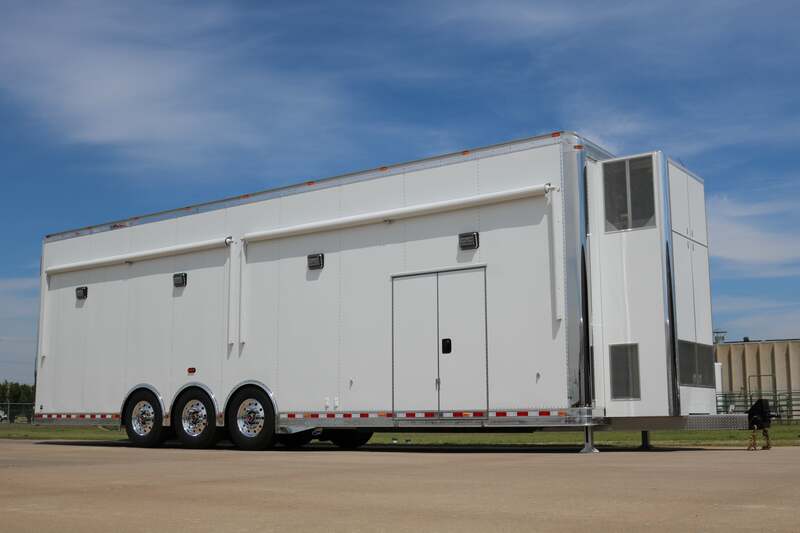 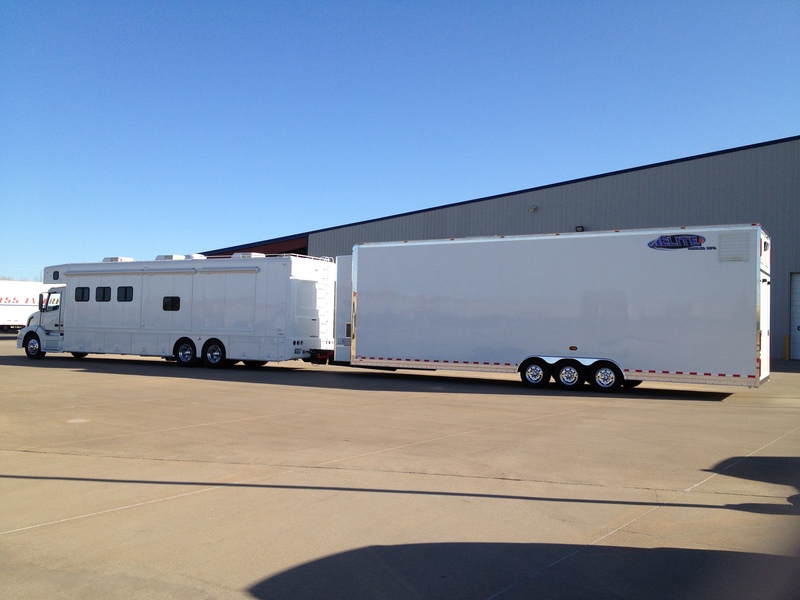 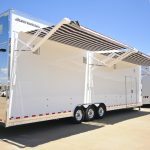 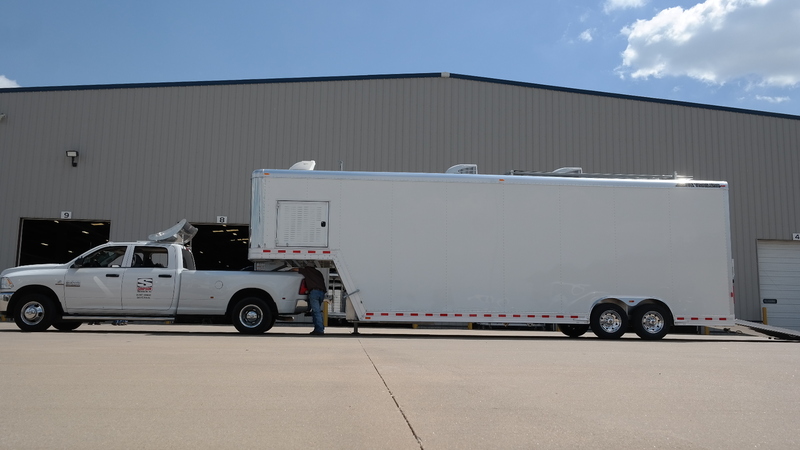 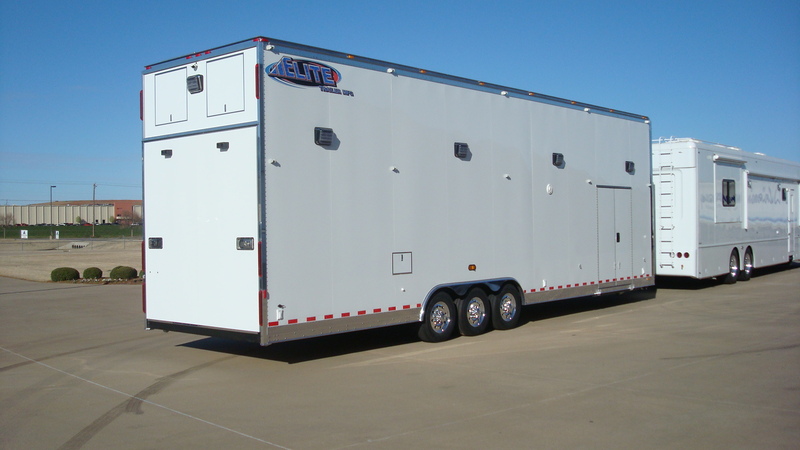 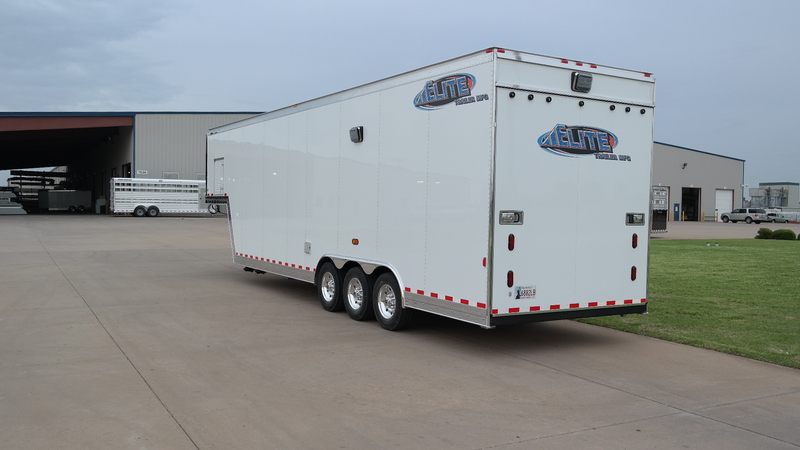 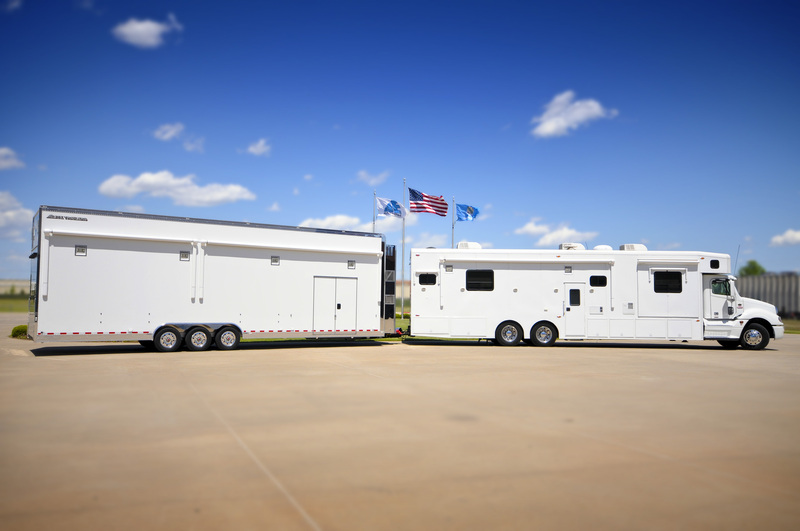 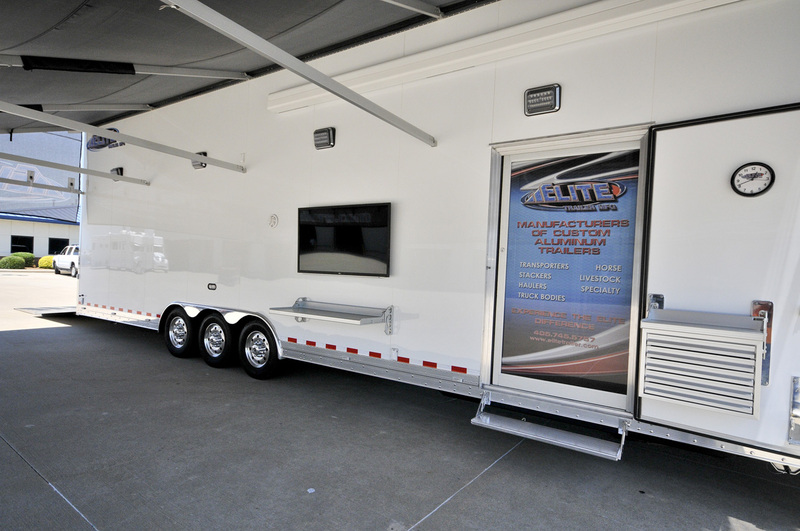 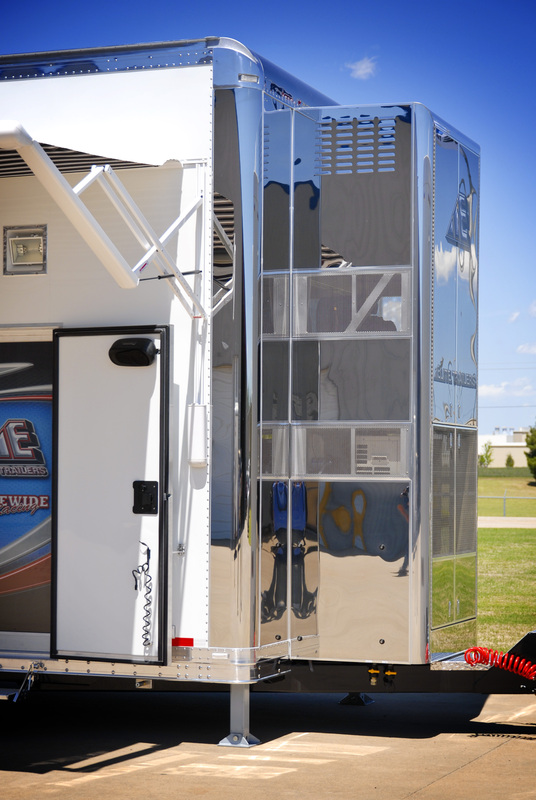 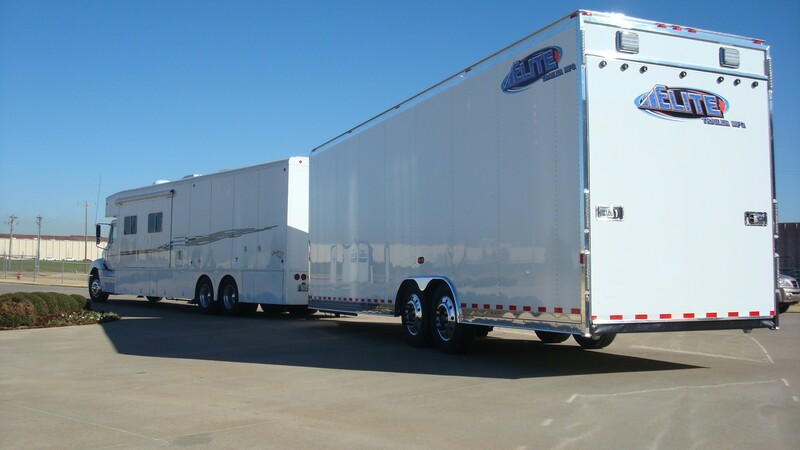 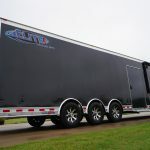 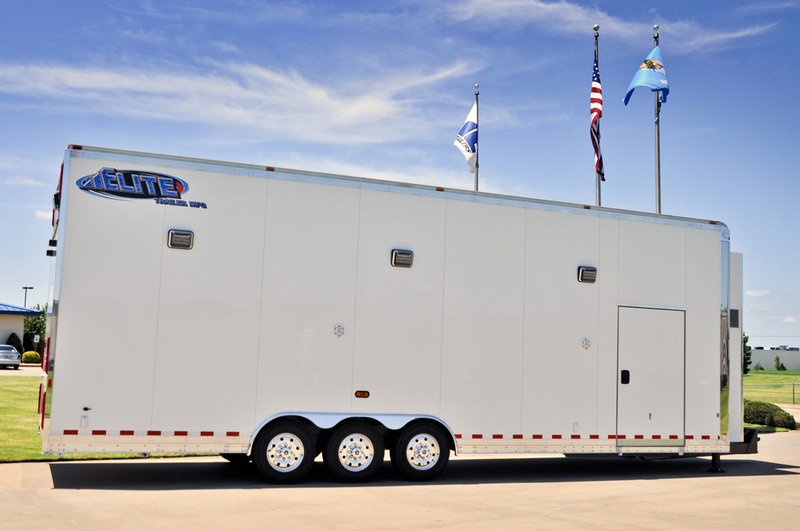 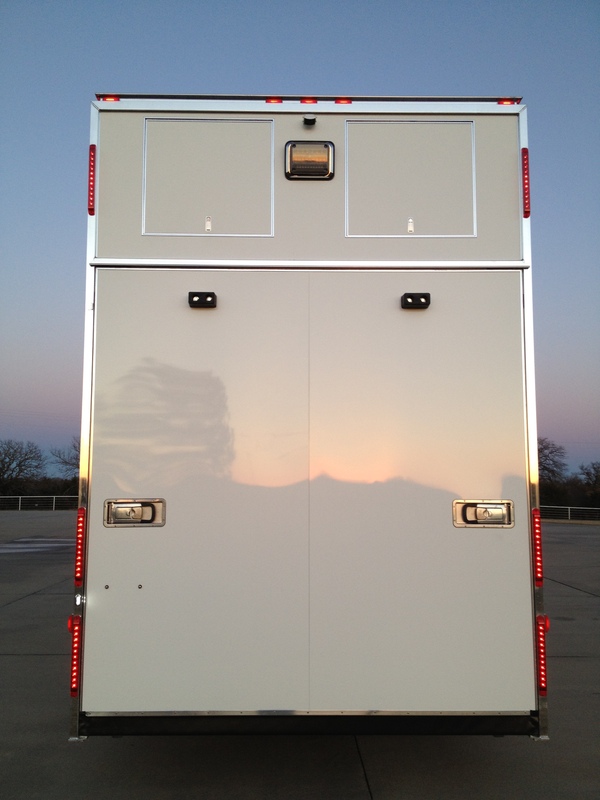 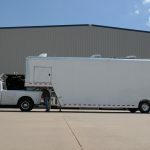 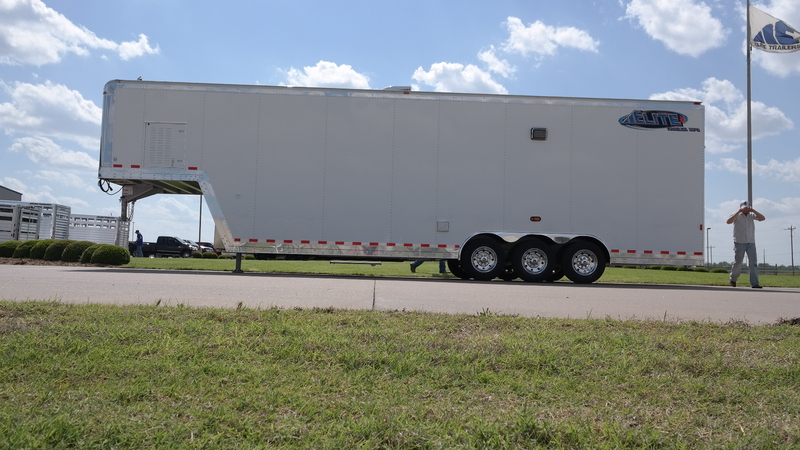 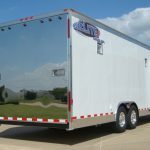 For More Information on Elite Custom Aluminum Racing and Motorsports Trailers, Contact Us Today!